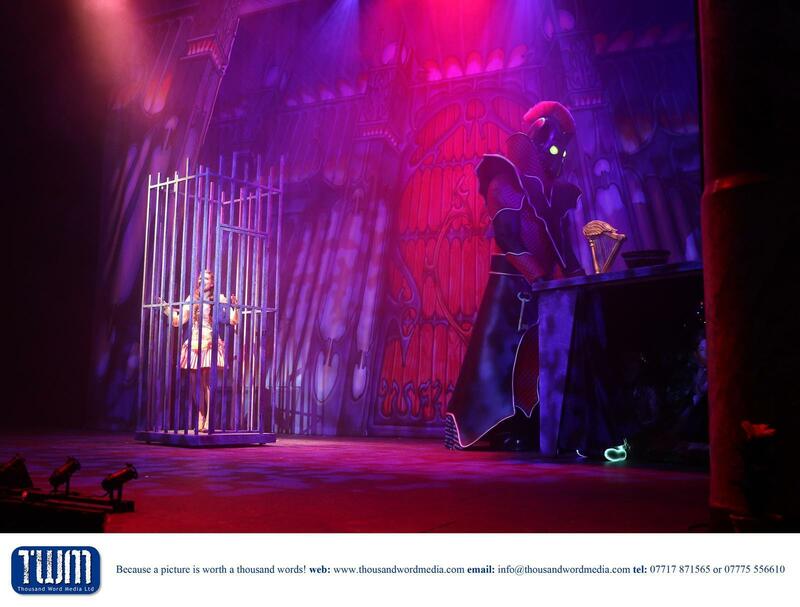 All pictures courtesy of Thousand Word Media. 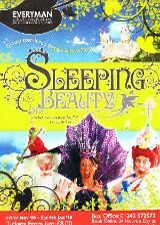 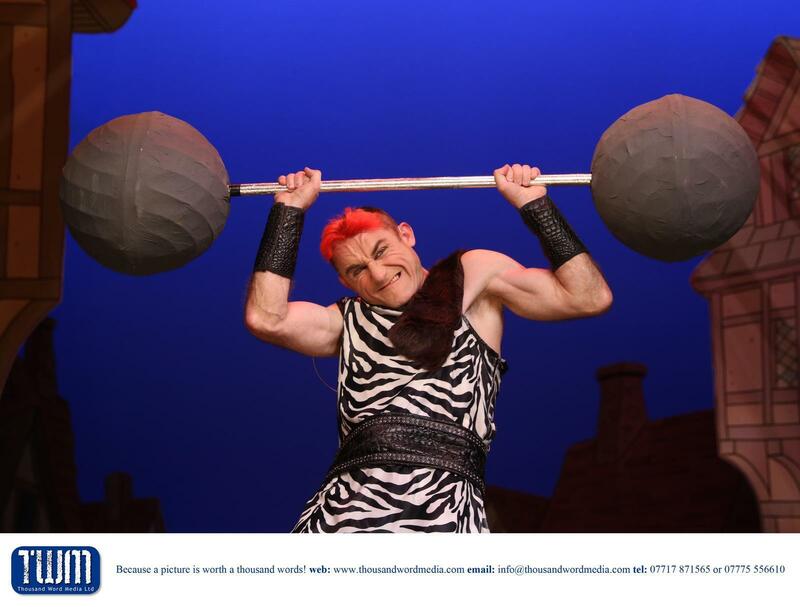 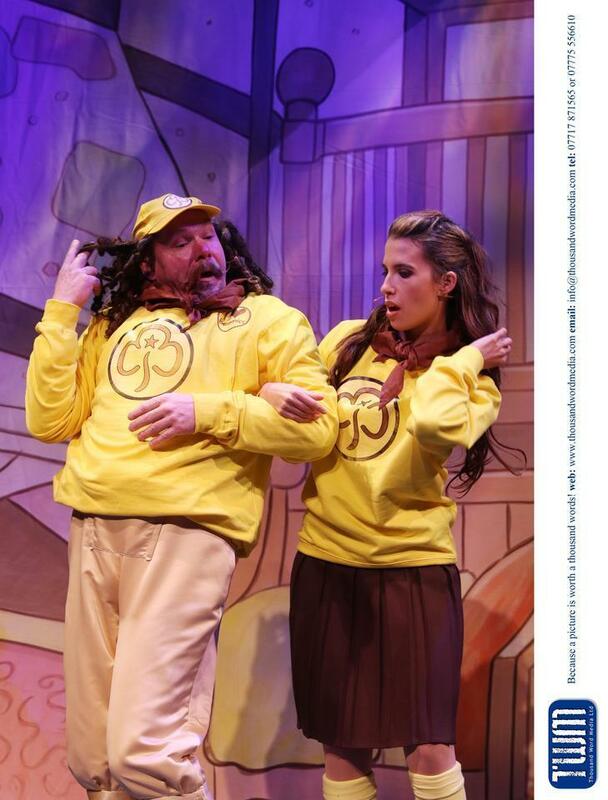 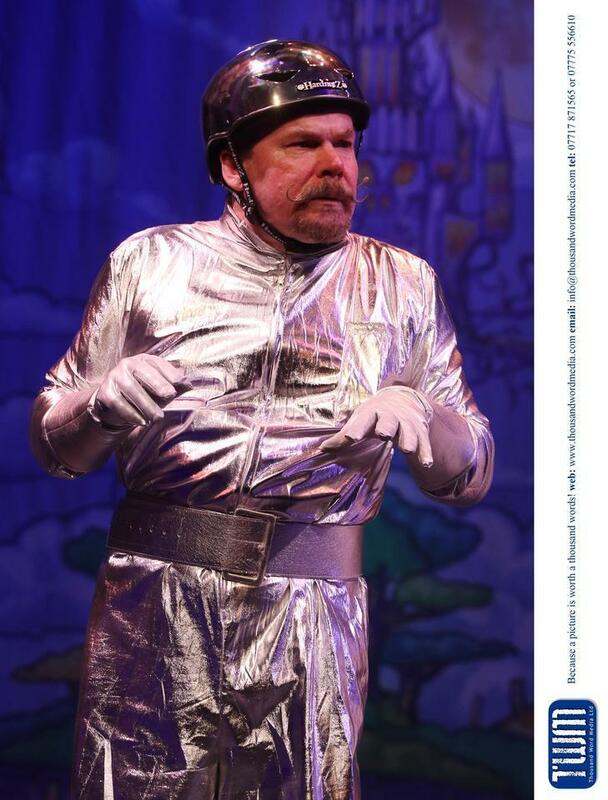 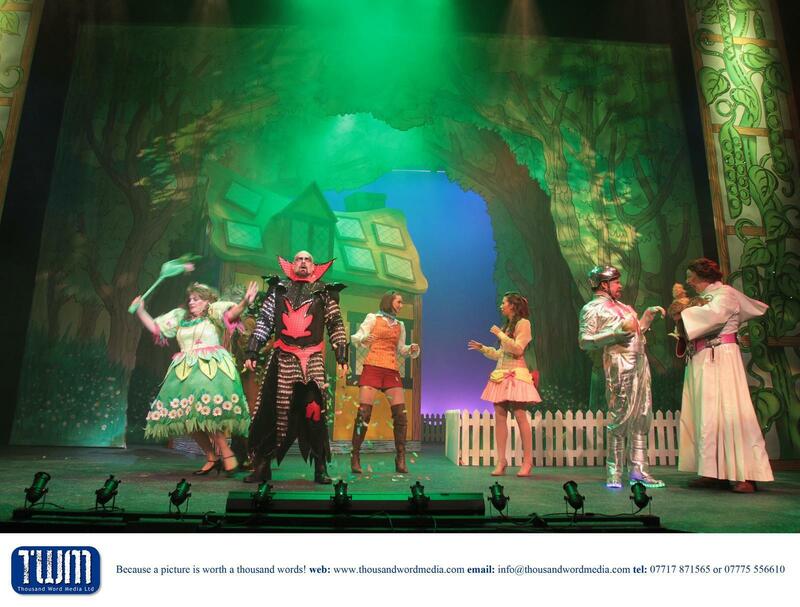 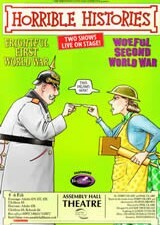 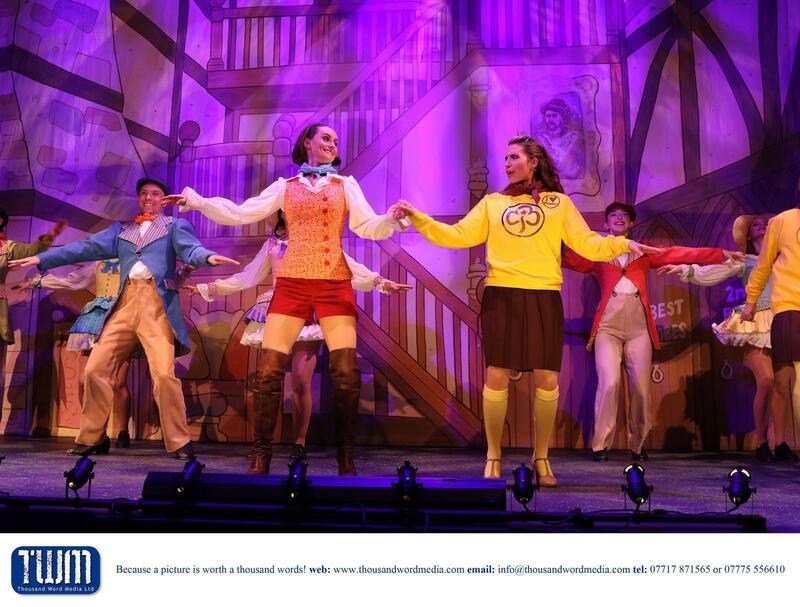 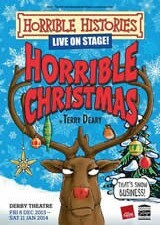 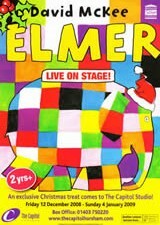 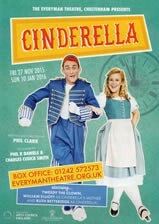 Panto season is upon us and yet again the Everyman Theatre have delivered a fantastic family friendly festive event. 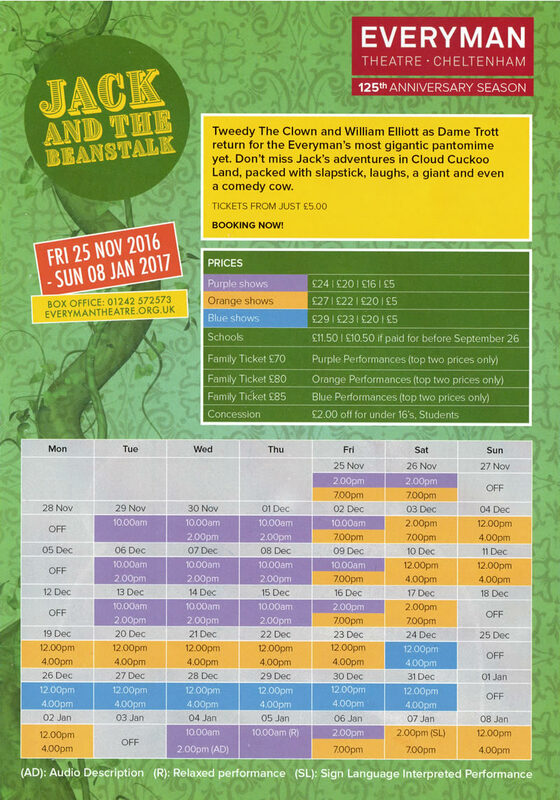 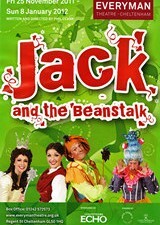 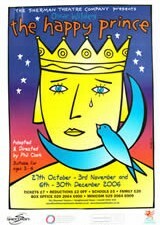 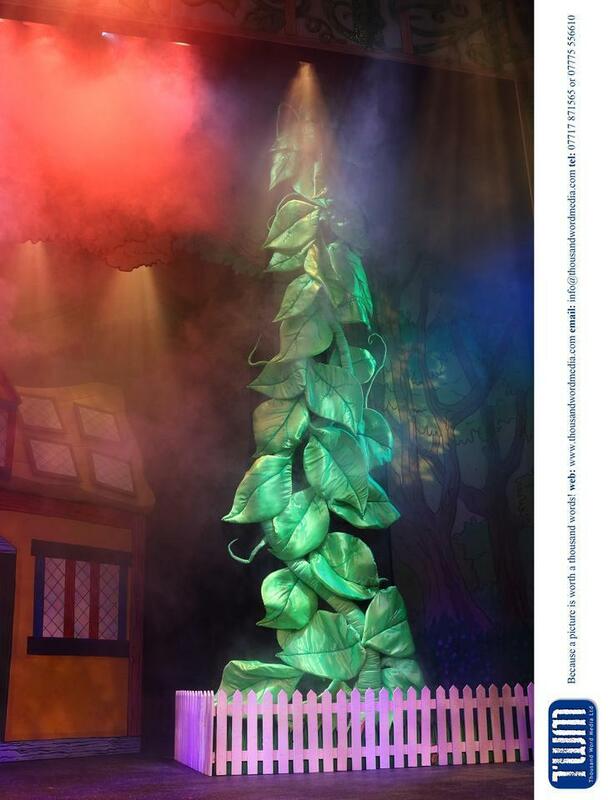 This year’s panto is Jack and the Beanstalk. 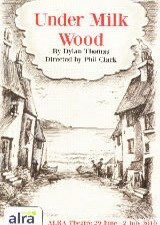 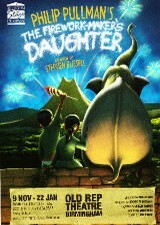 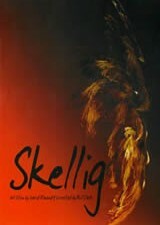 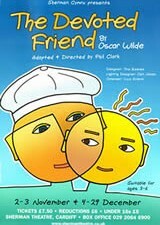 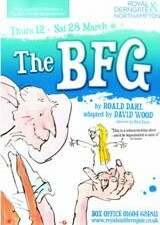 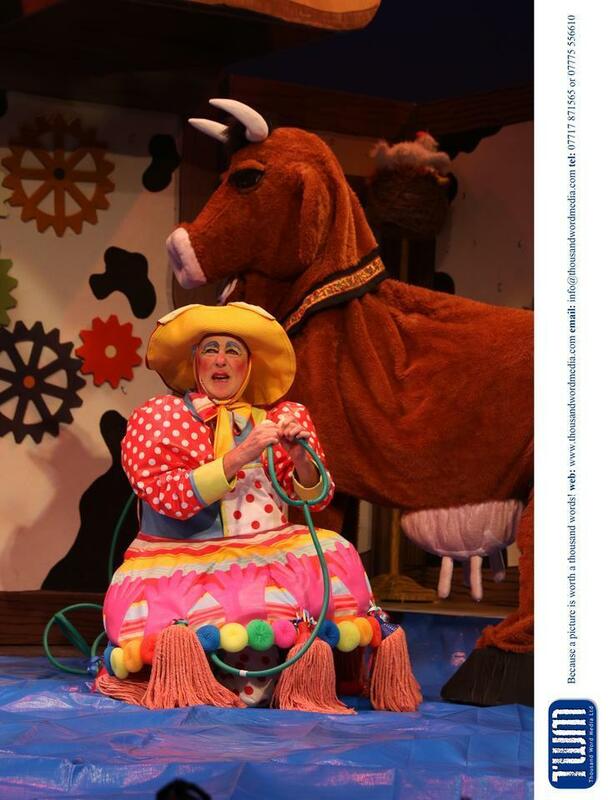 The classic story of Jack who is forced to sell the family cow Buttercup in order to pay the family taxes. 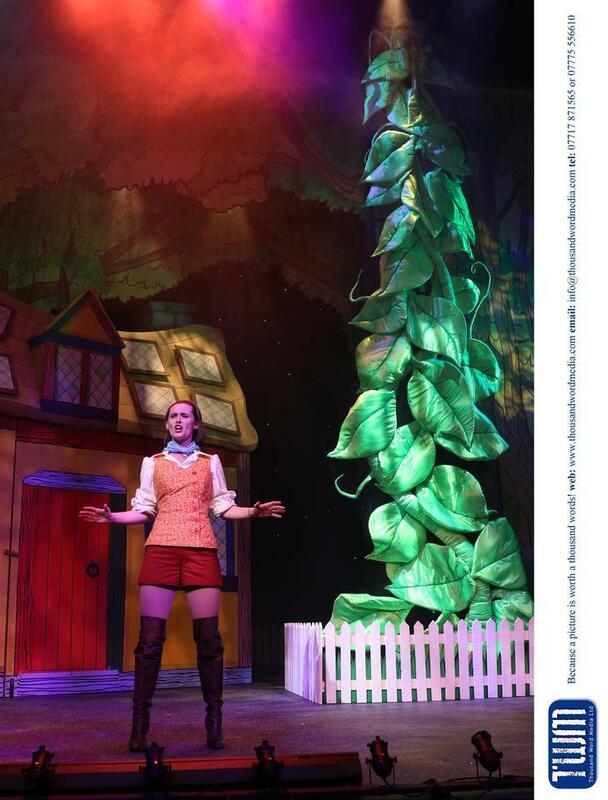 He returns home after unwittingly exchanging the cow for a handful of magic beans which grow into a sky-scraping giant beanstalk overnight. 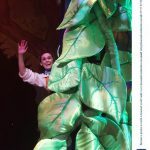 The beanstalk paves the way for our hero to climb up to No Mans Land, rescue his sweetheart Jill from the clasps of the evil Giant Blunderbore, and restore harmony to his home village. 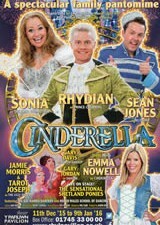 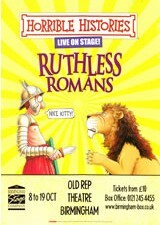 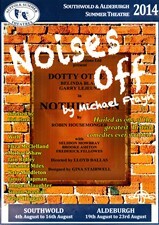 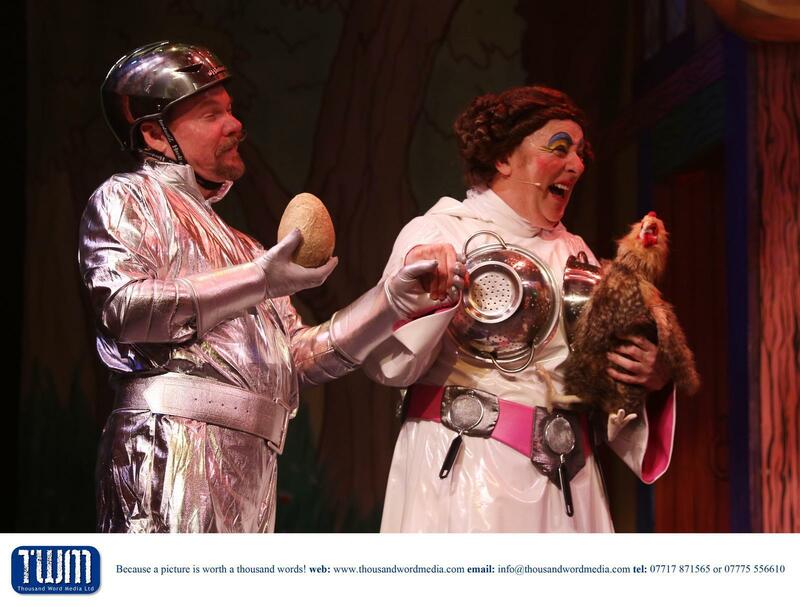 Everyman panto favourites are back. 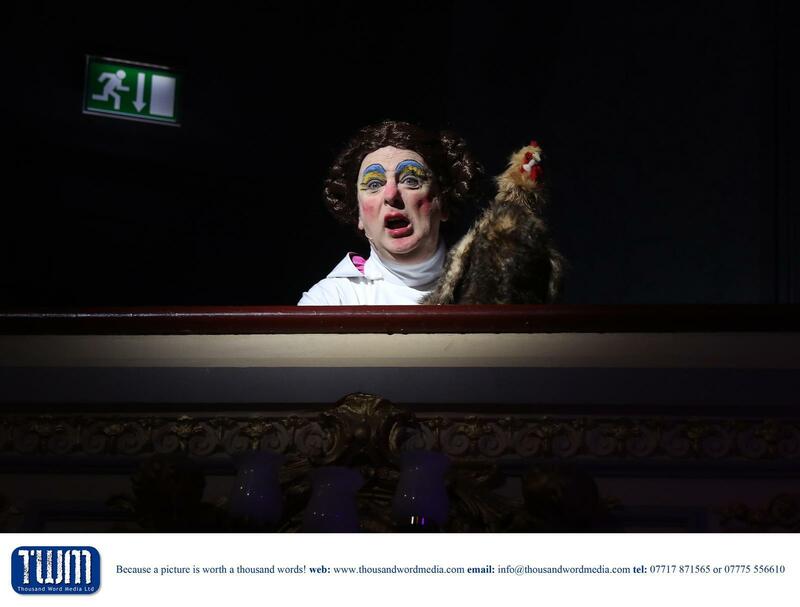 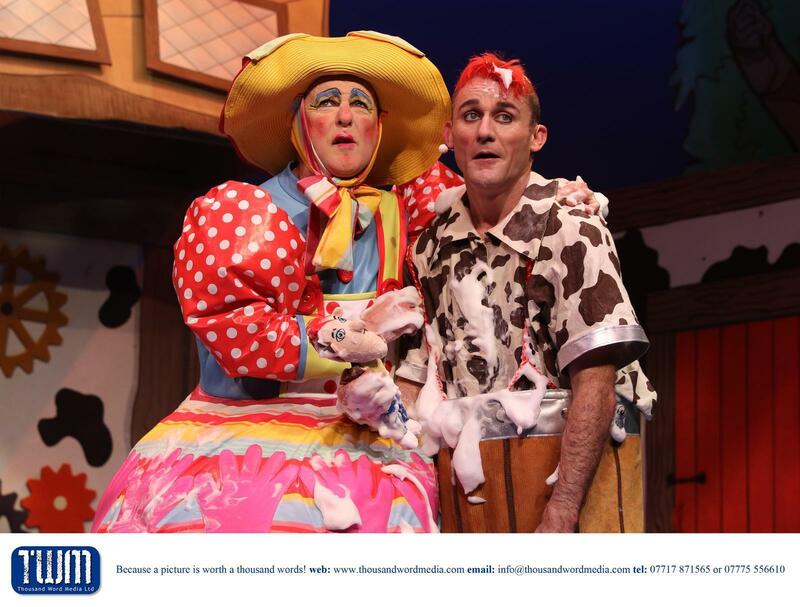 Tweedy the Clown playing Sillie Billie Tweedy and William Elliot as his mother Dame Trott are the perfect comedy duo and the banter bounces back and forth between the two with ease. 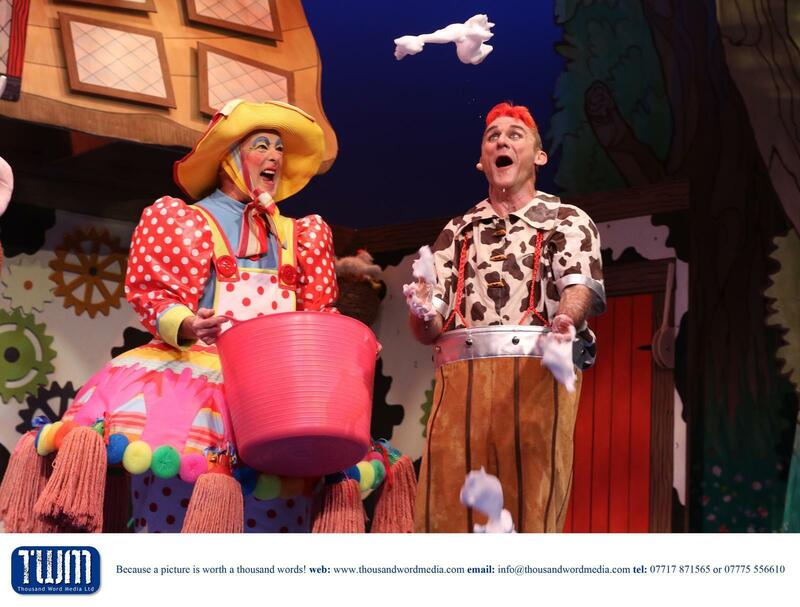 Children absolutely love them but there are also some great innuendos and laughs for the adults. 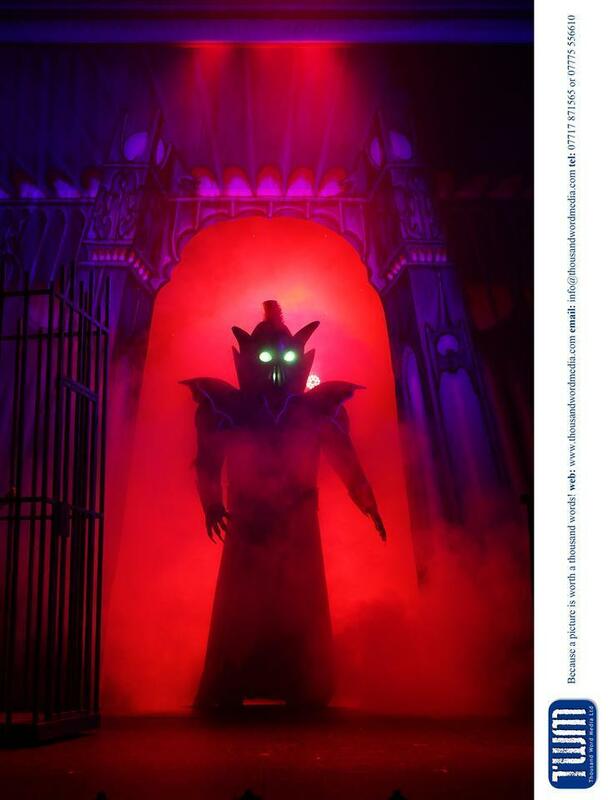 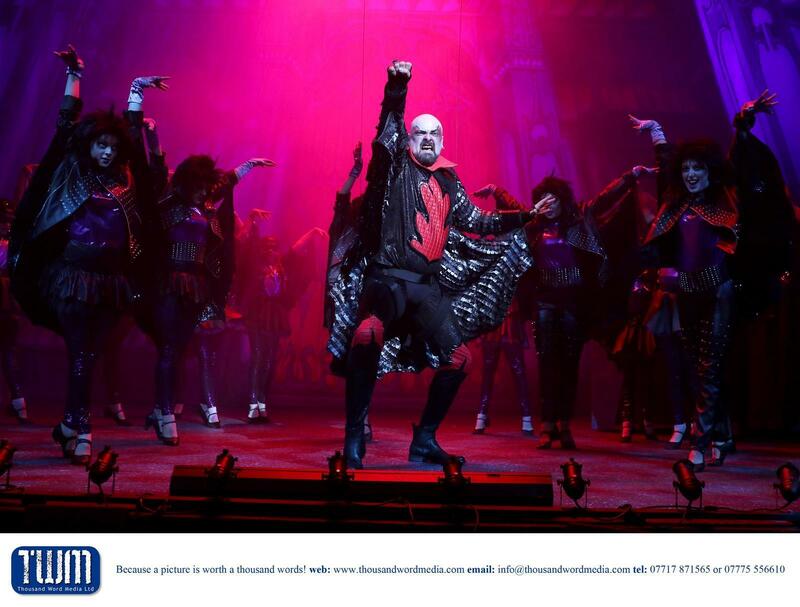 We had lots of thigh slapping from Jack played by Frankie Jones, and the villain Fleshcreep played by Andrew Westfield was the recipient of the boos and hisses this year. 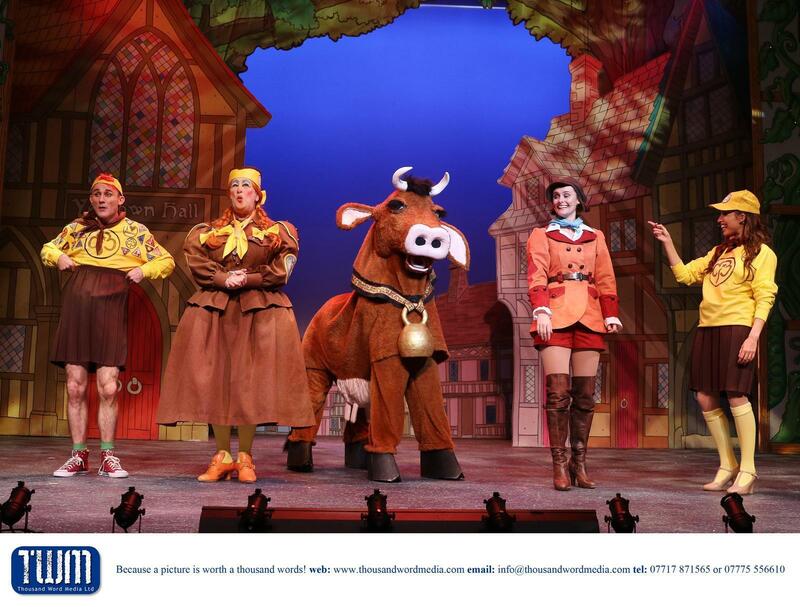 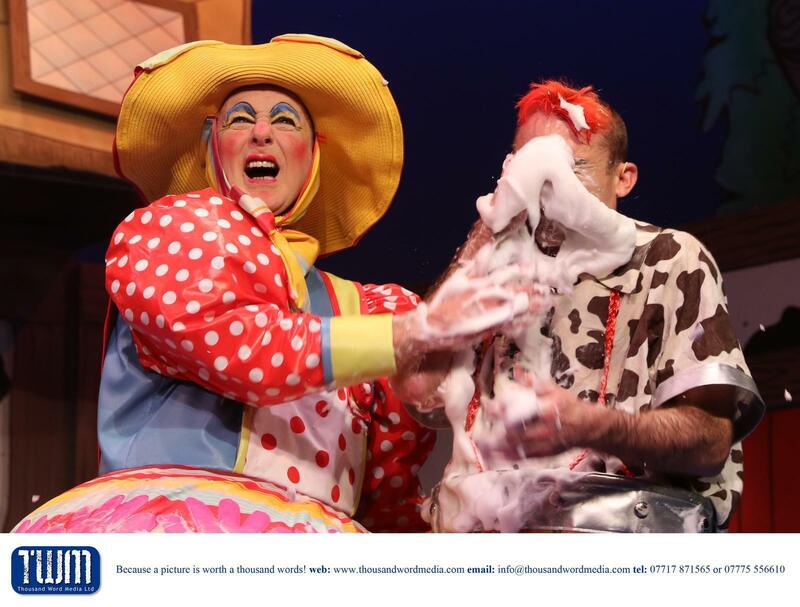 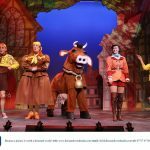 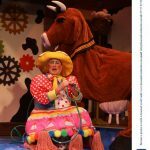 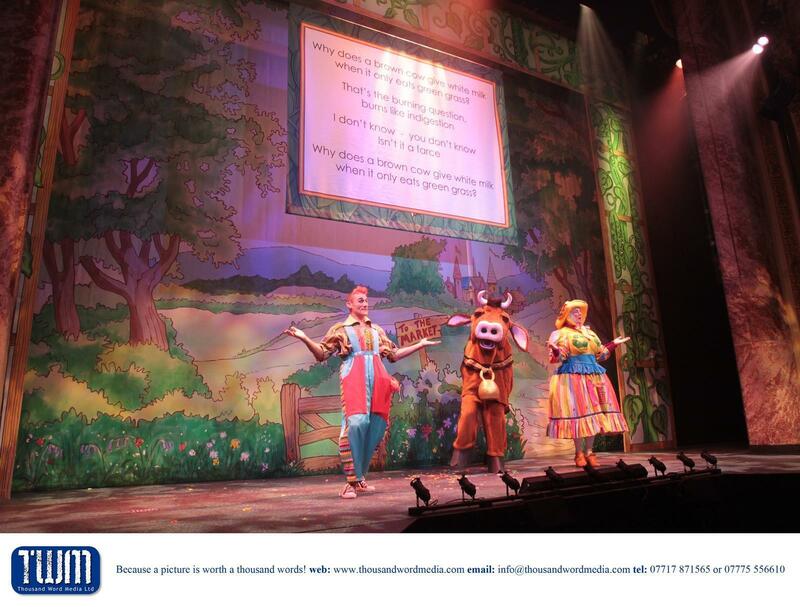 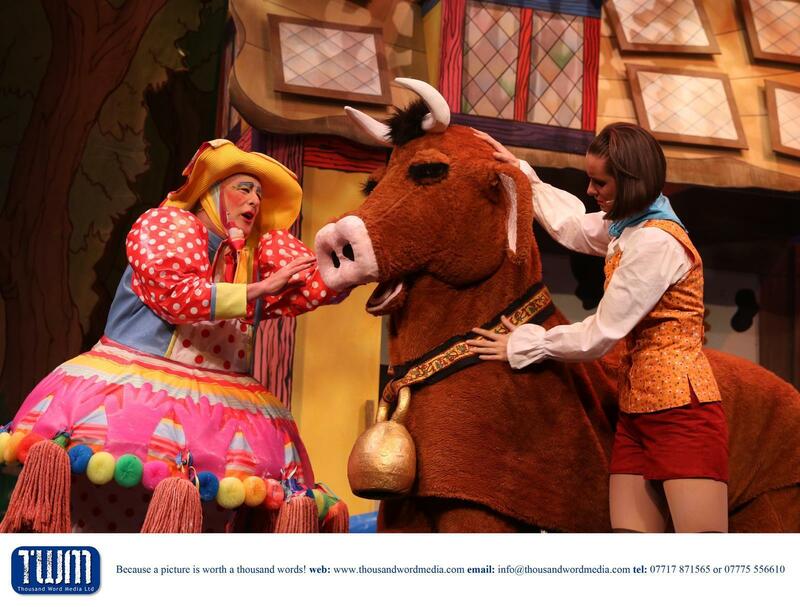 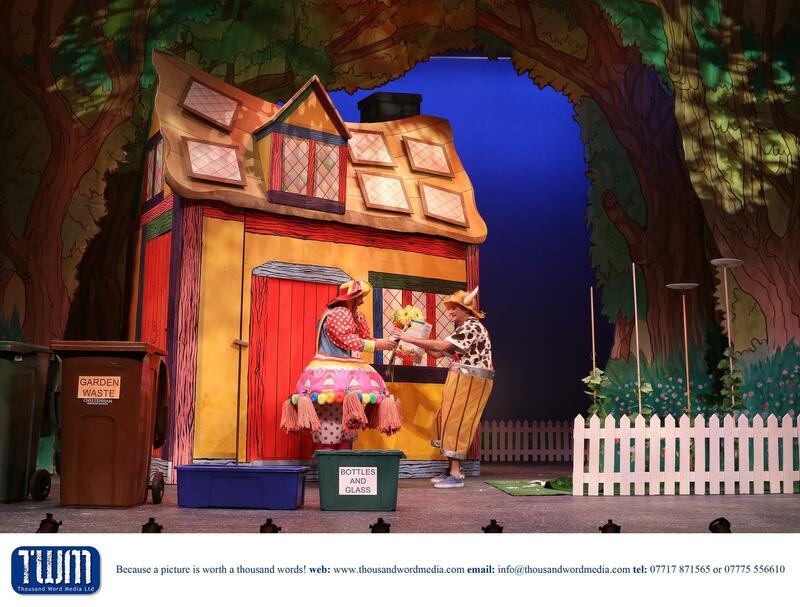 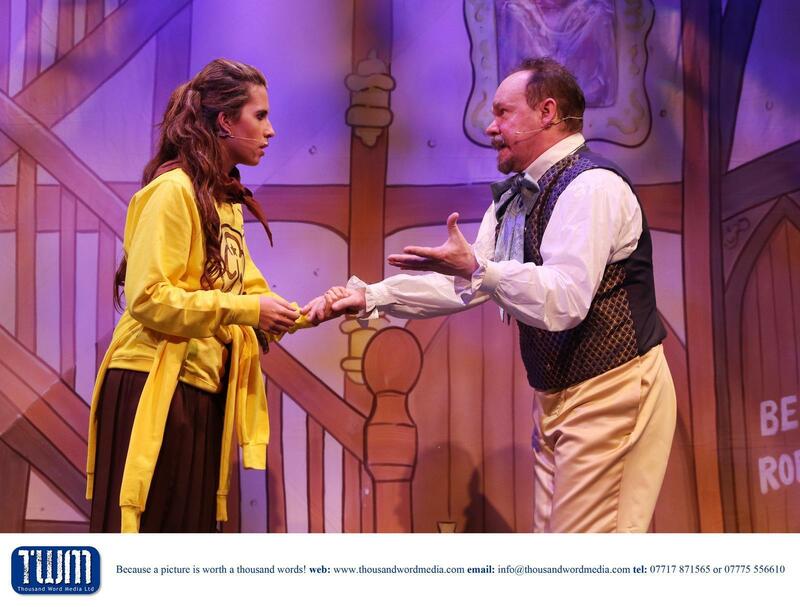 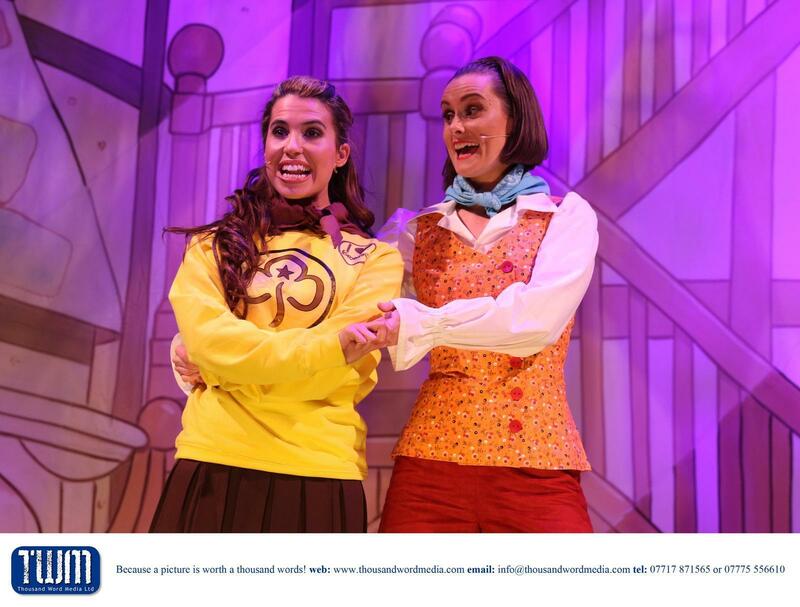 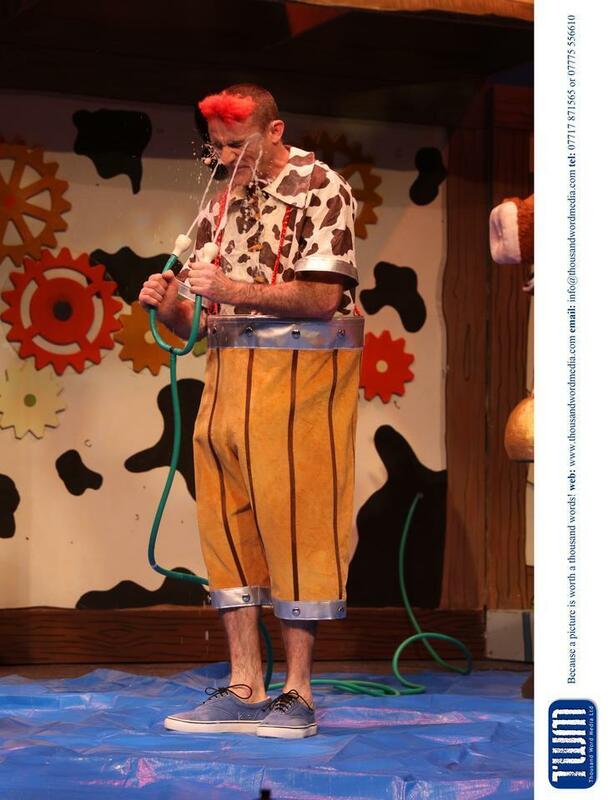 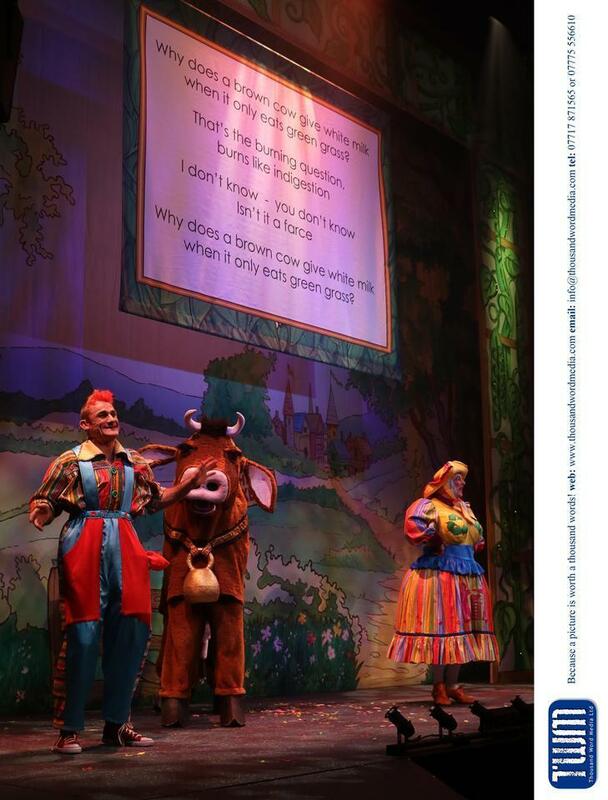 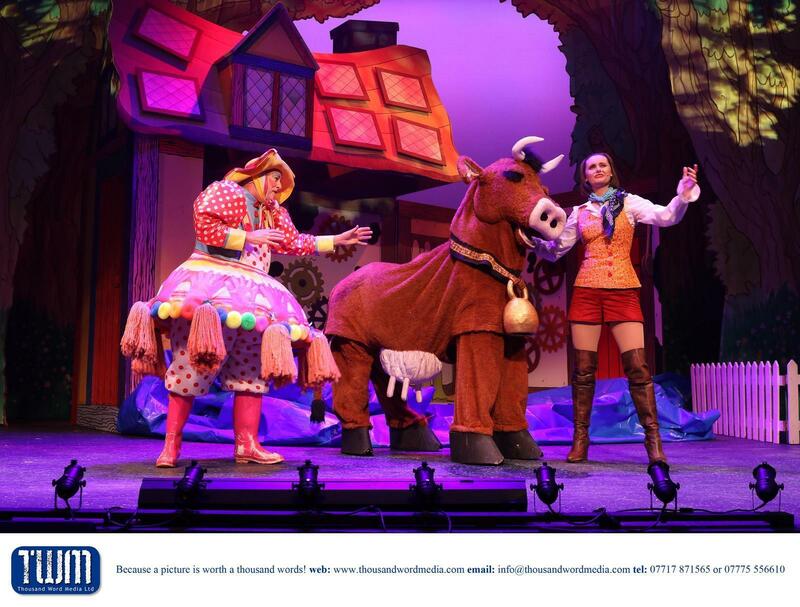 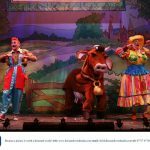 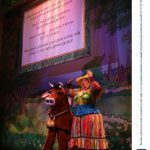 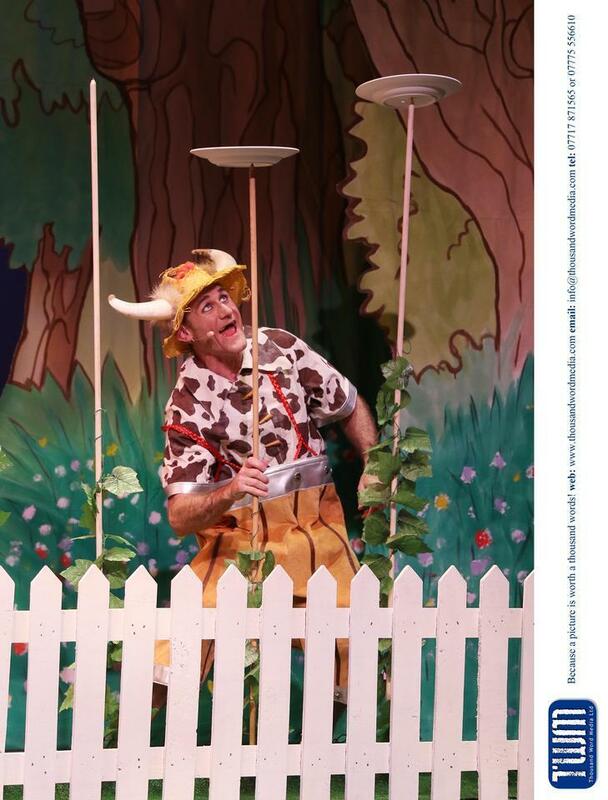 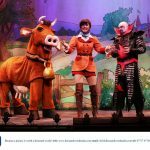 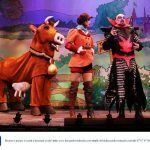 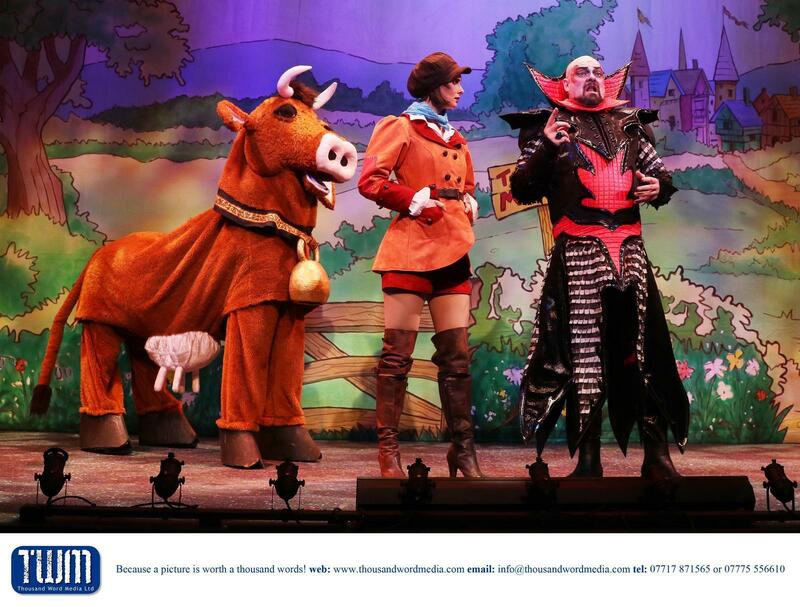 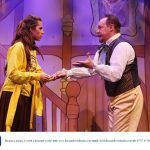 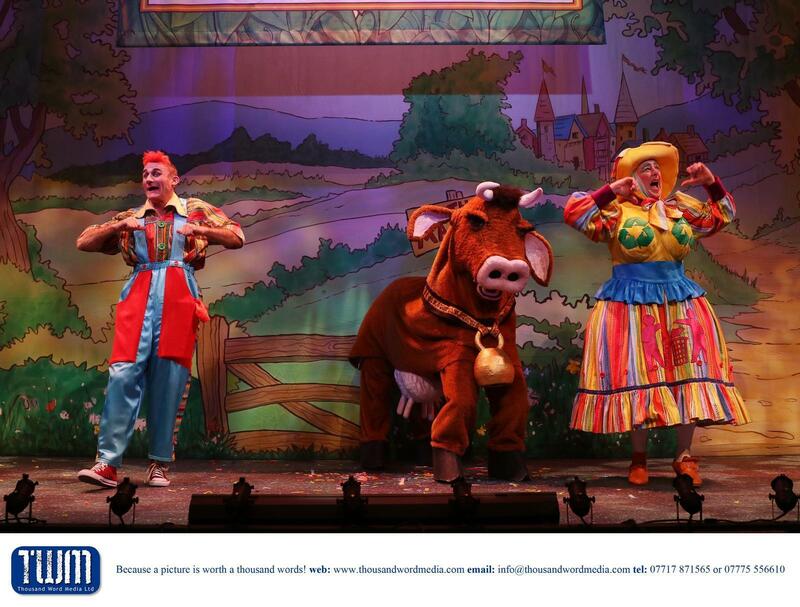 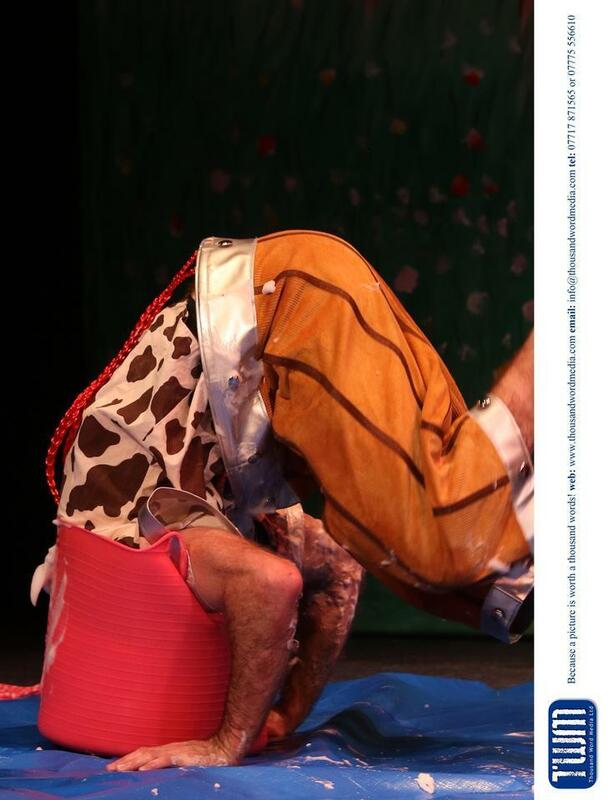 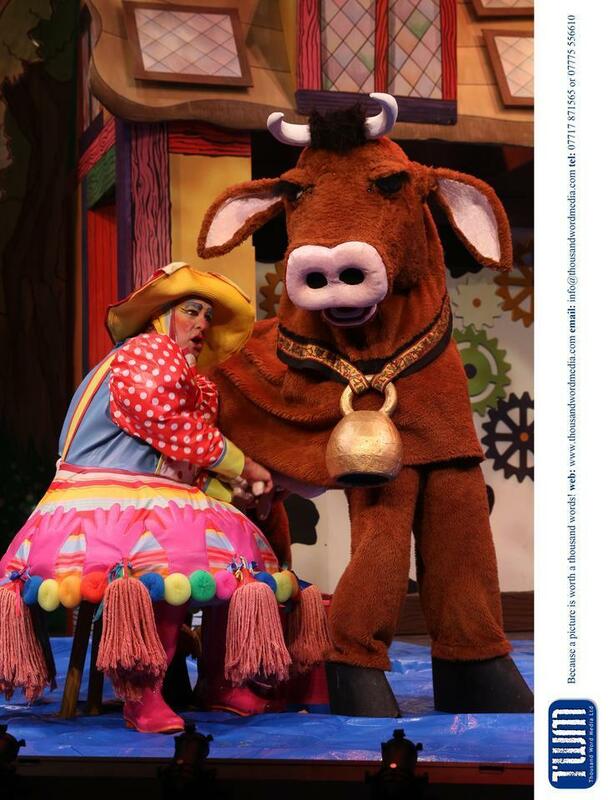 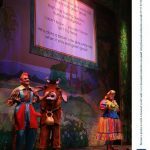 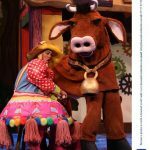 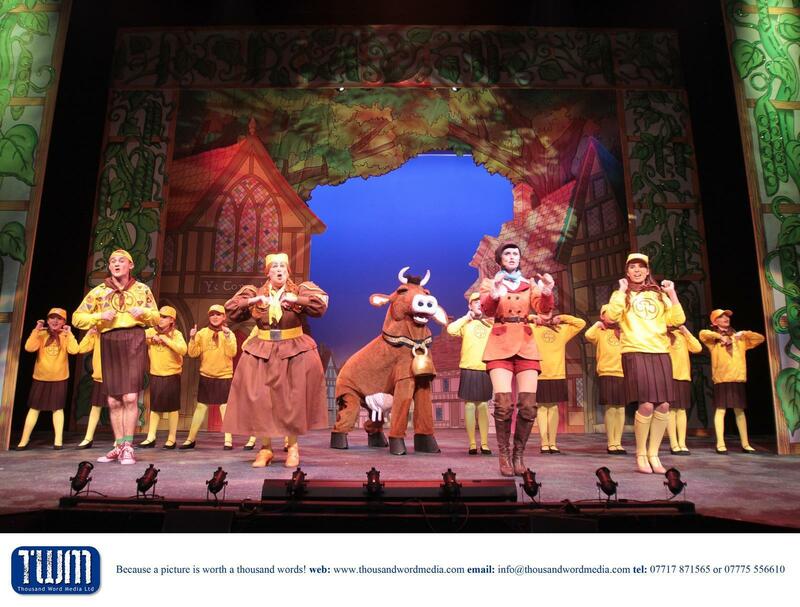 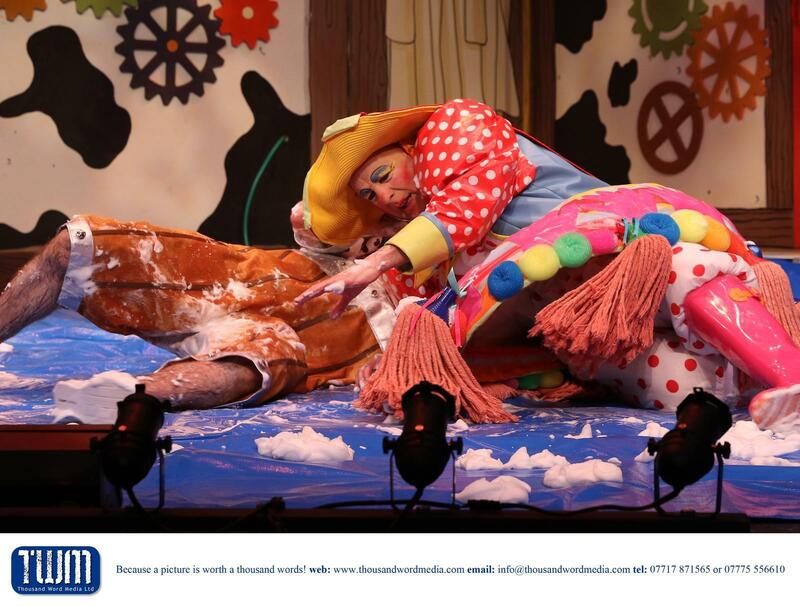 All the traditional panto elements are there with a few modern twists – and it was good to see a traditional pantomime cow again. 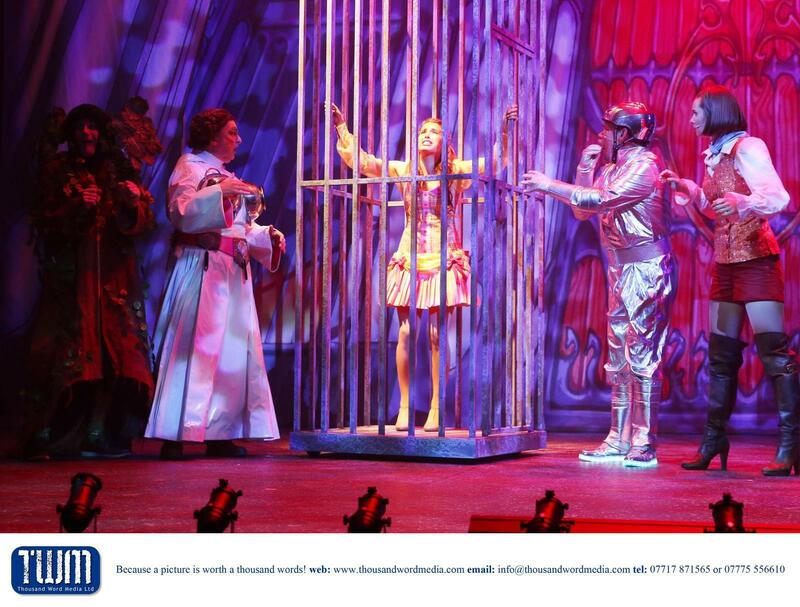 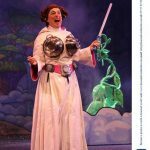 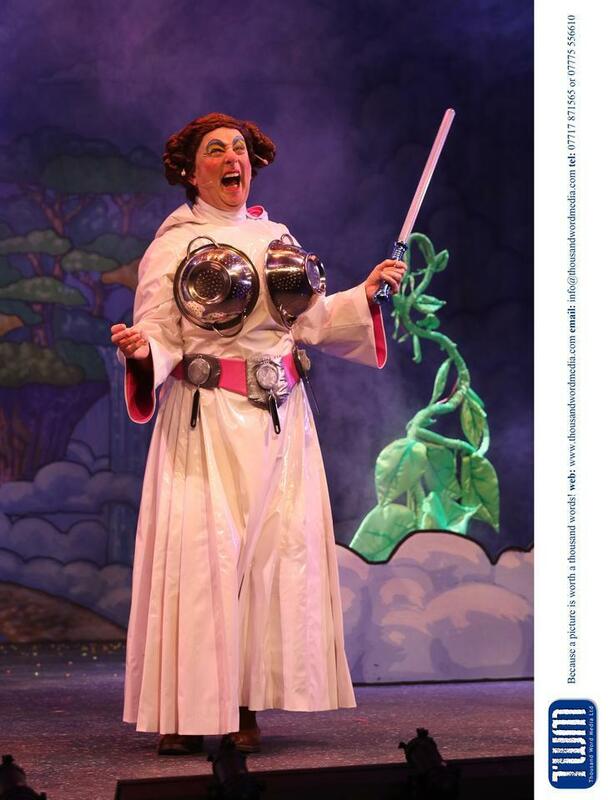 This year there is an element of Stars Wars going on – we loved Dame Trott’s Princess Leai outfit! 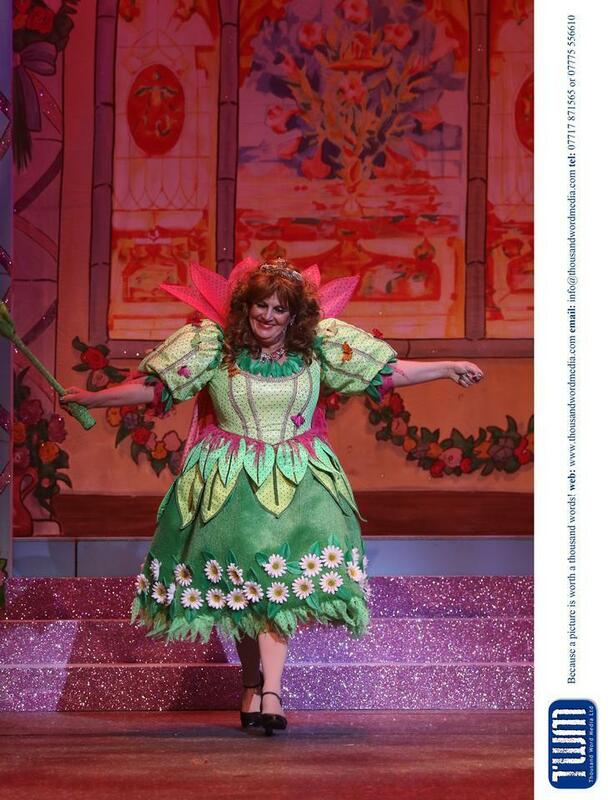 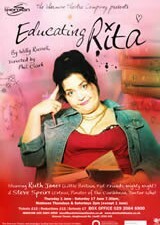 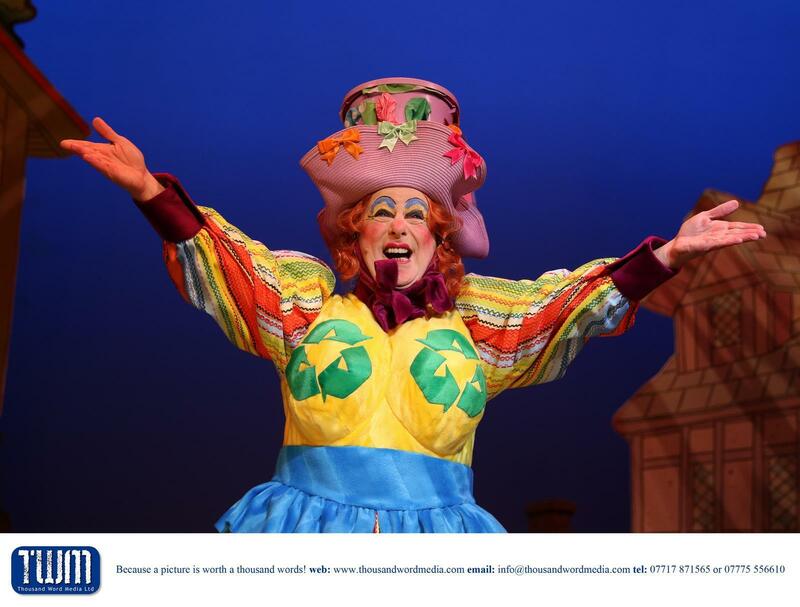 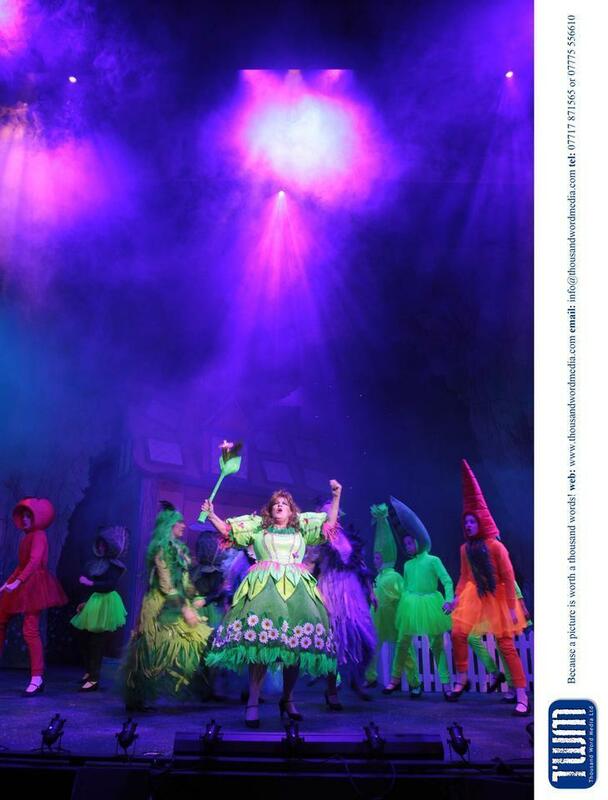 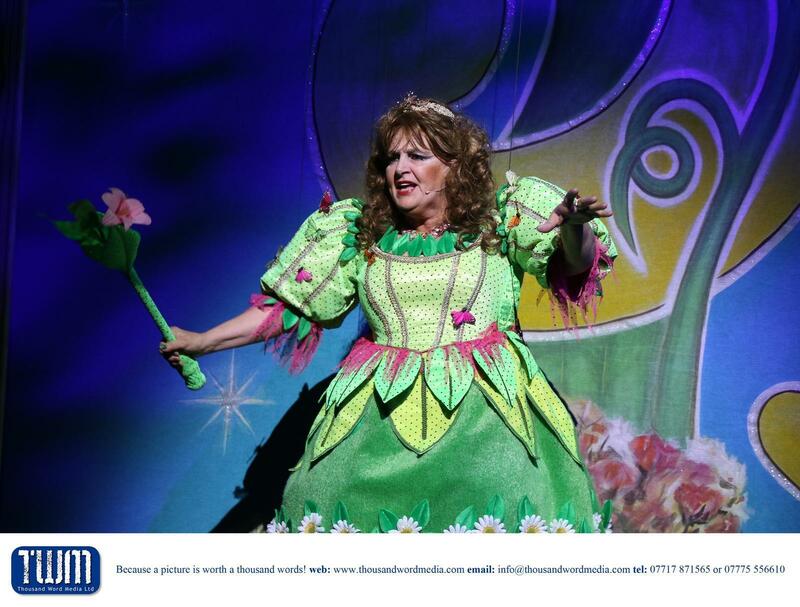 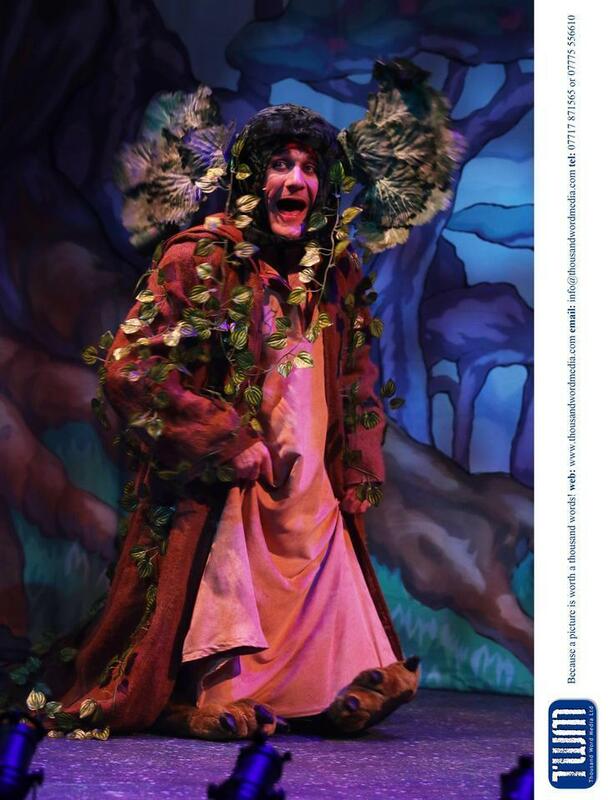 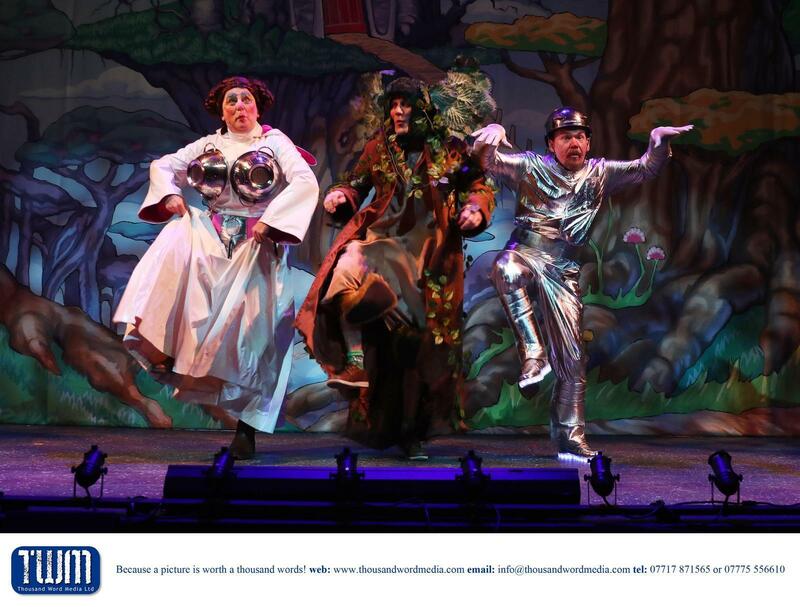 The highflying panto fairy played by Gillian Elisa has gone green and becomes Eco Fairy this year. 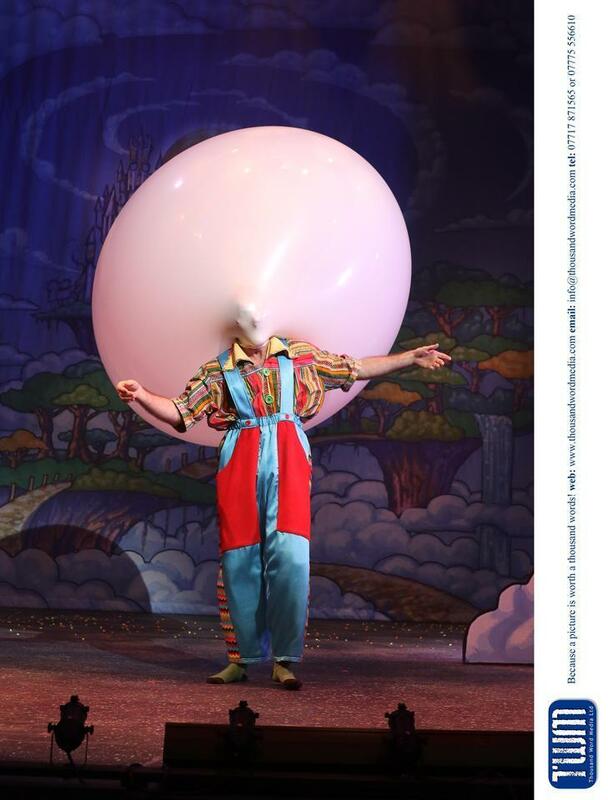 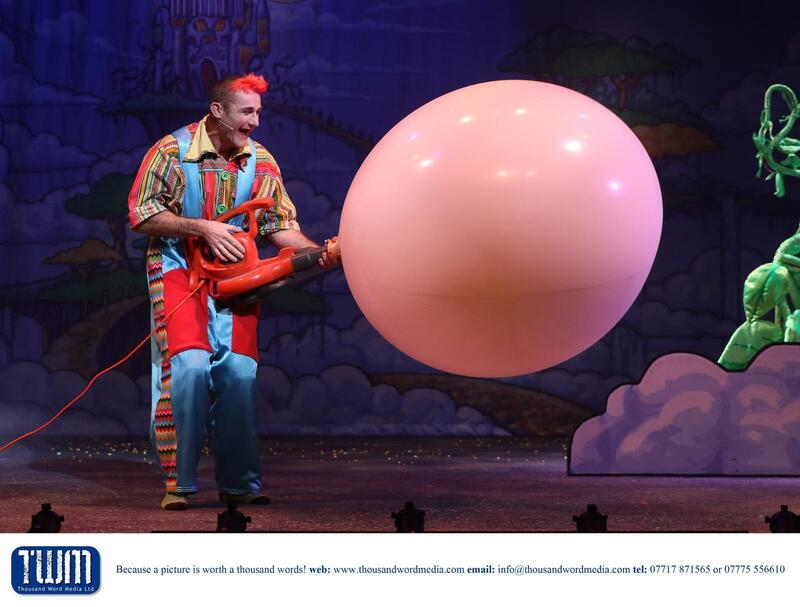 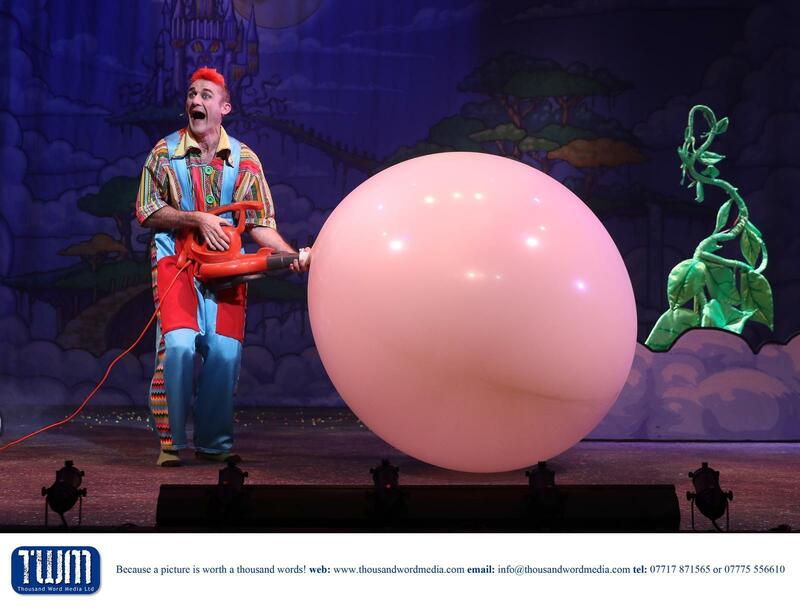 One of the highlights for us was Tweedy and his balloon act – hilarious! 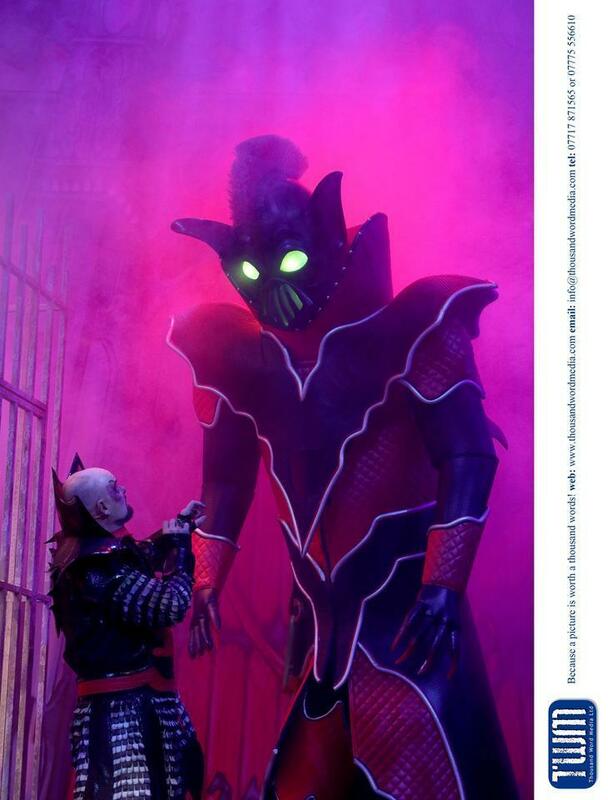 There’s a bit of a twist on the Giant as well, but that’s all we will say. 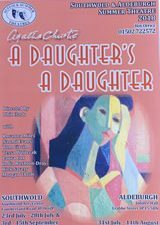 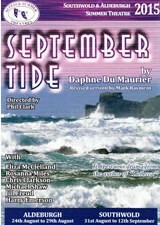 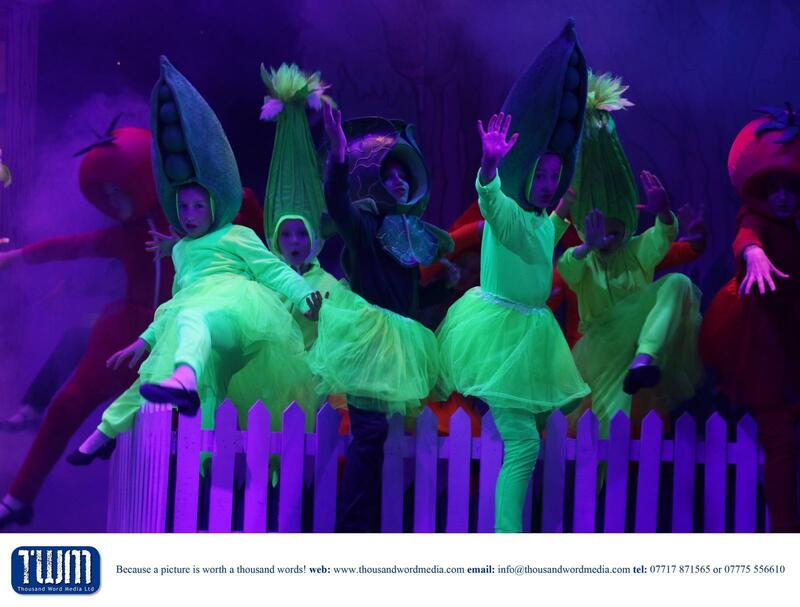 The performance complete with the brilliant sets and costumes that we have come to expect was supported this year by dancers from the Janet Marshall Dance Studios. 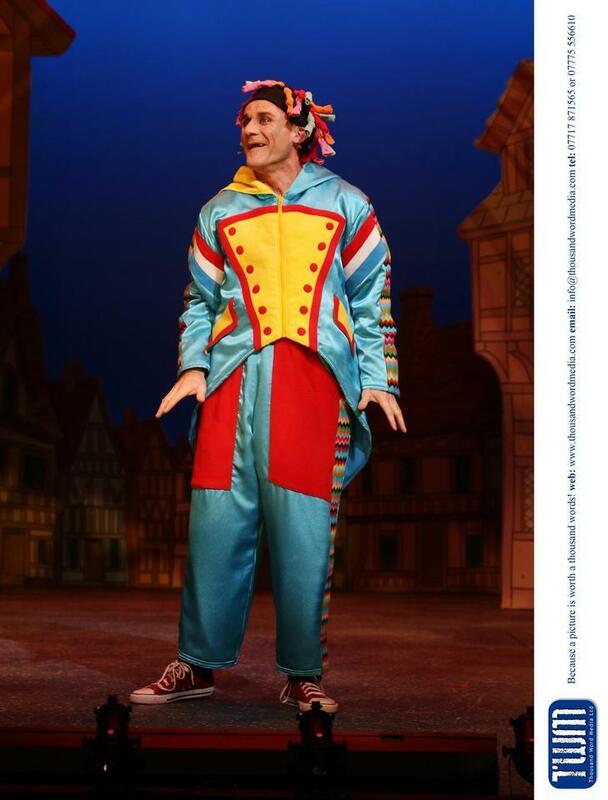 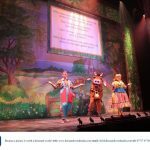 The real art of Pantomime lies in making the same characters and stories look different every season and nobody does that better than the team behind the Everyman’s pantos. 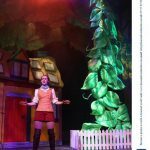 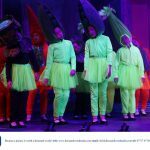 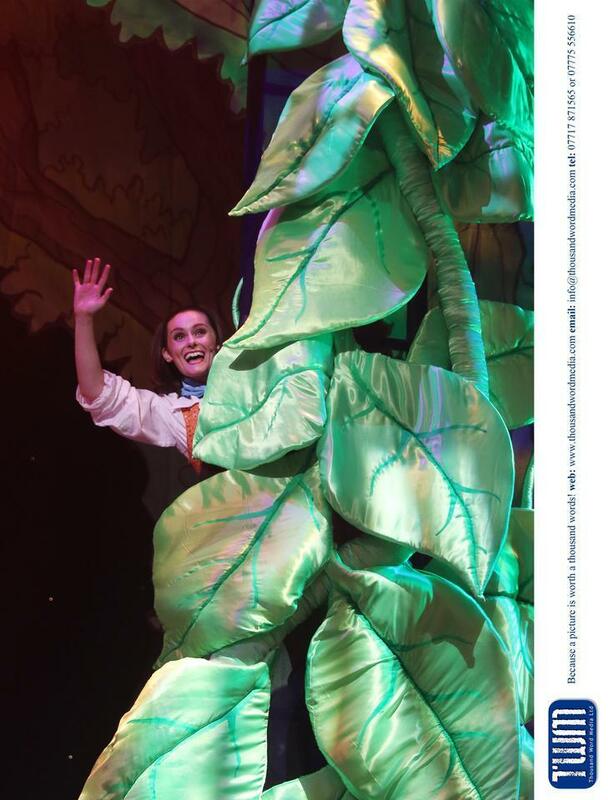 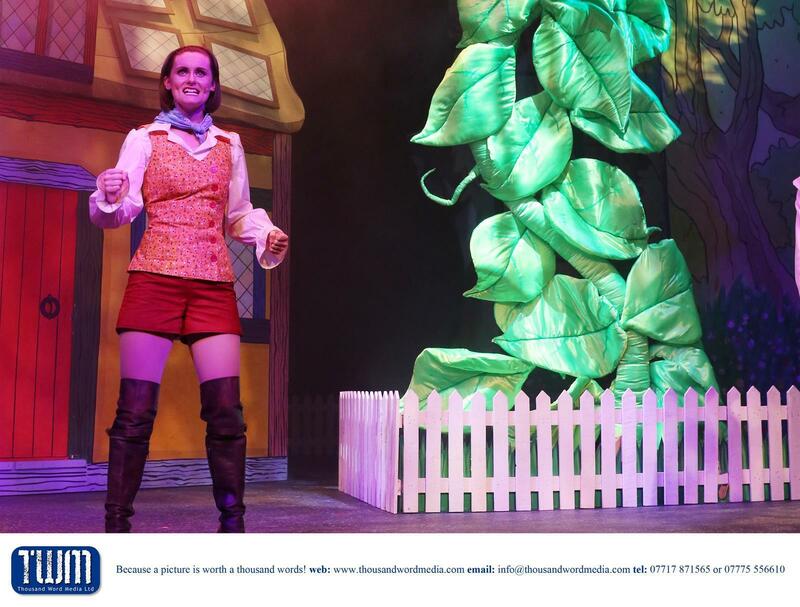 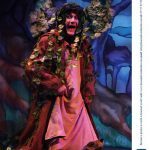 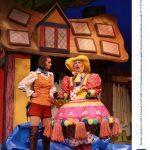 Jack and The Beanstalk is a huge success, big on laughs, big on singing and dancing, and has a brilliant 21st century giant ominously stalking the stage. 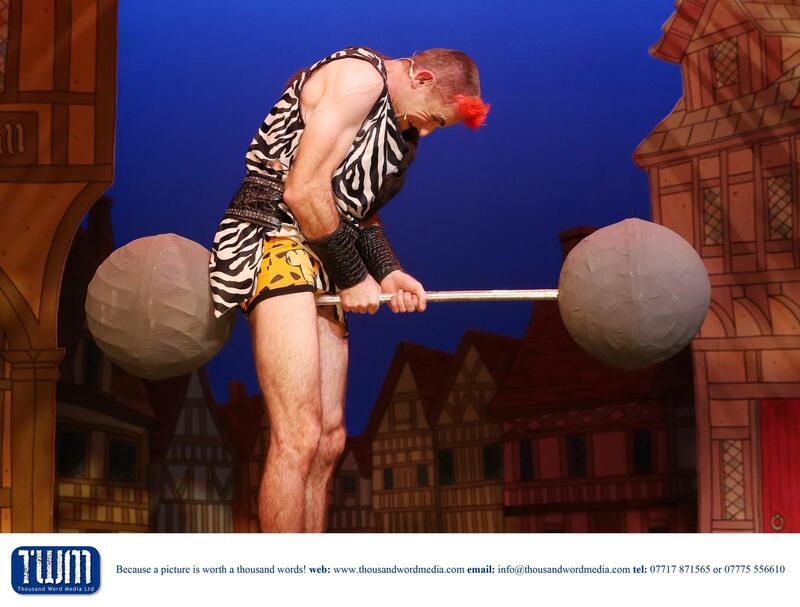 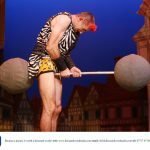 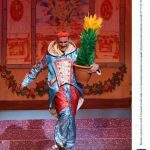 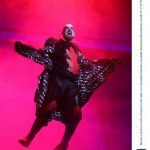 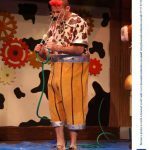 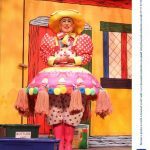 With Tweedy the Clown performing his own brand of circus stunts and William Elliott once again donning outrageously over-the-top costumes as Dame Trott, the show has already hit the ground running and the entertainment just keeps on coming. 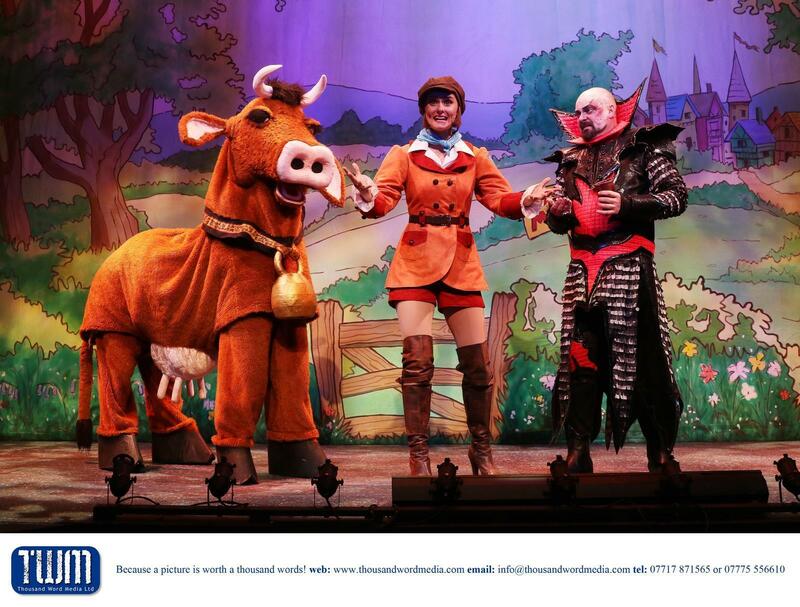 The way these two work together makes Tweedy and William the Ant and Dec of pantomime. 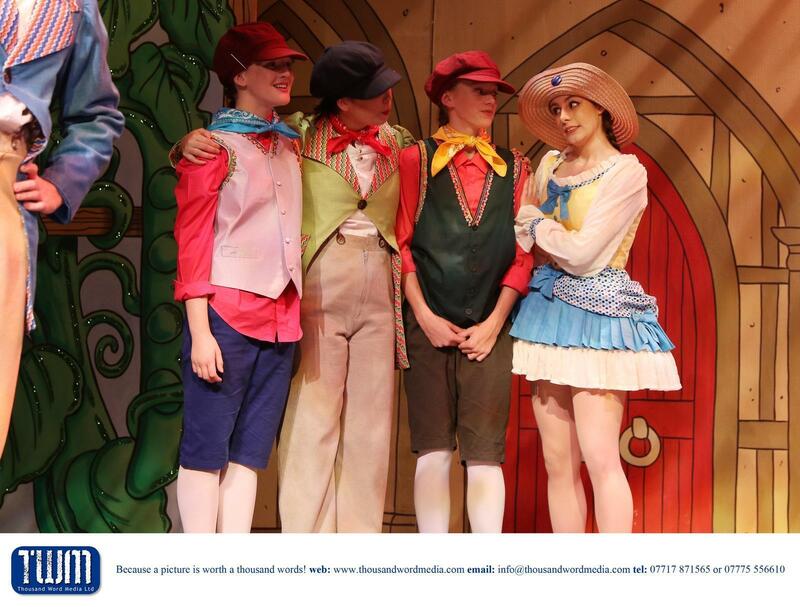 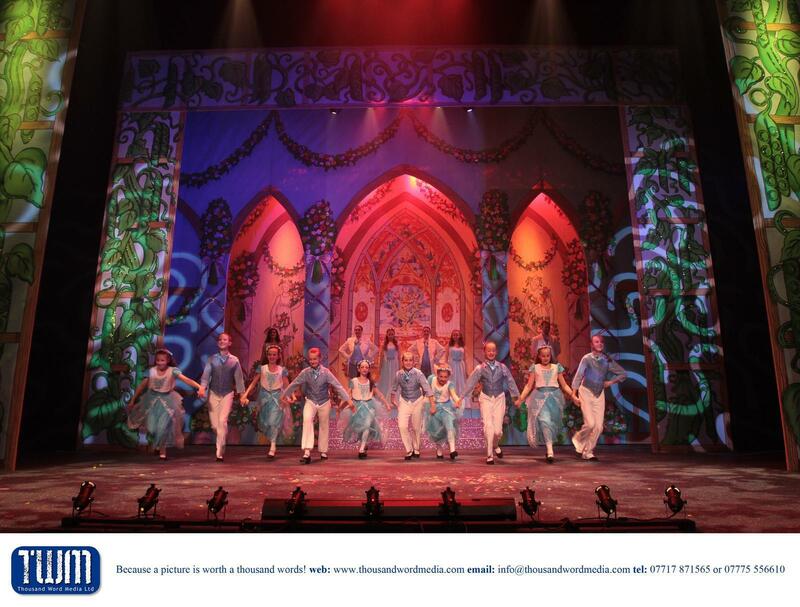 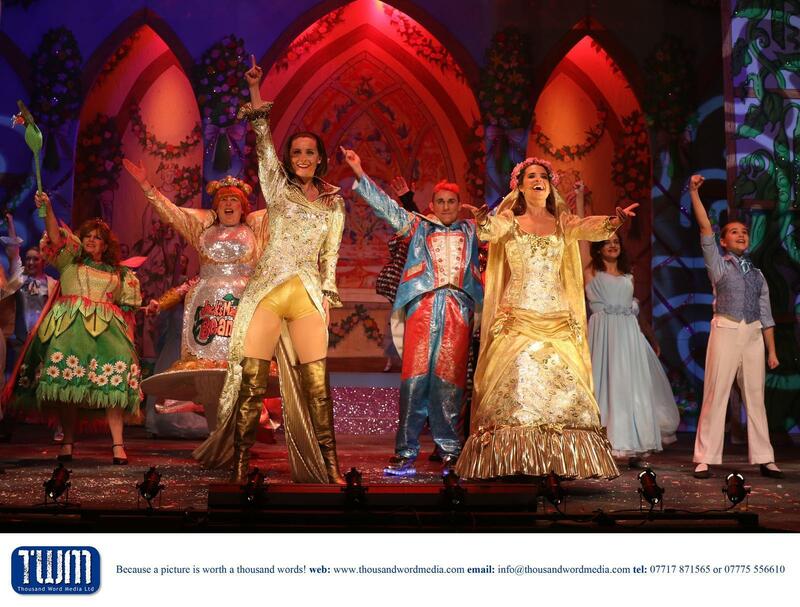 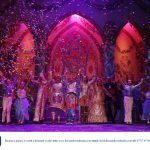 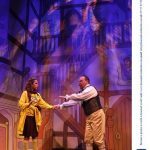 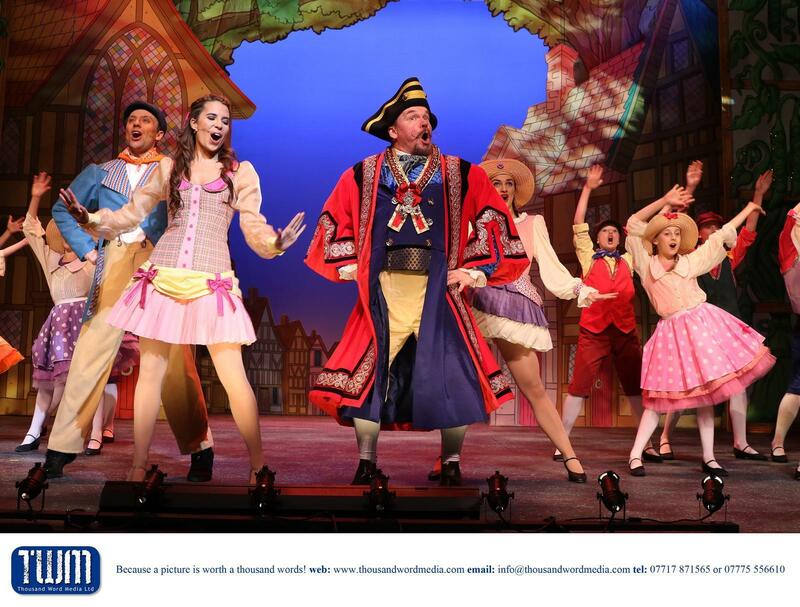 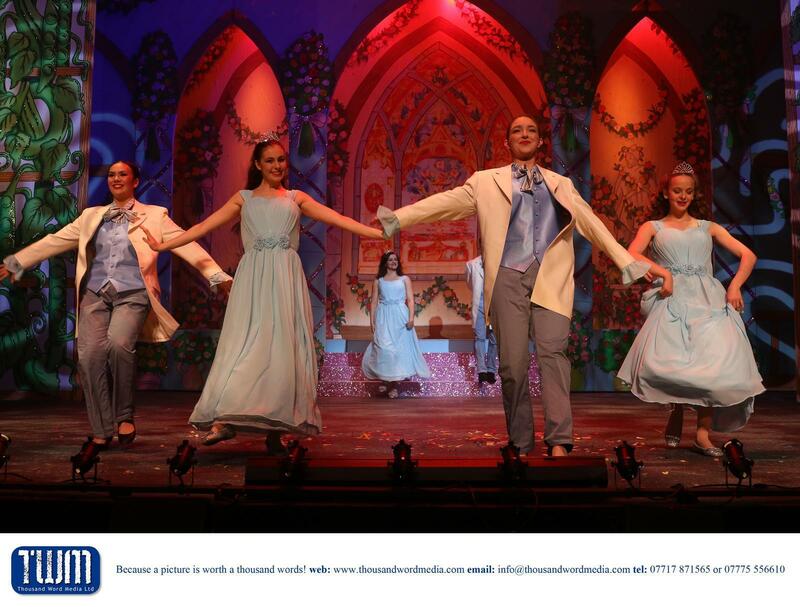 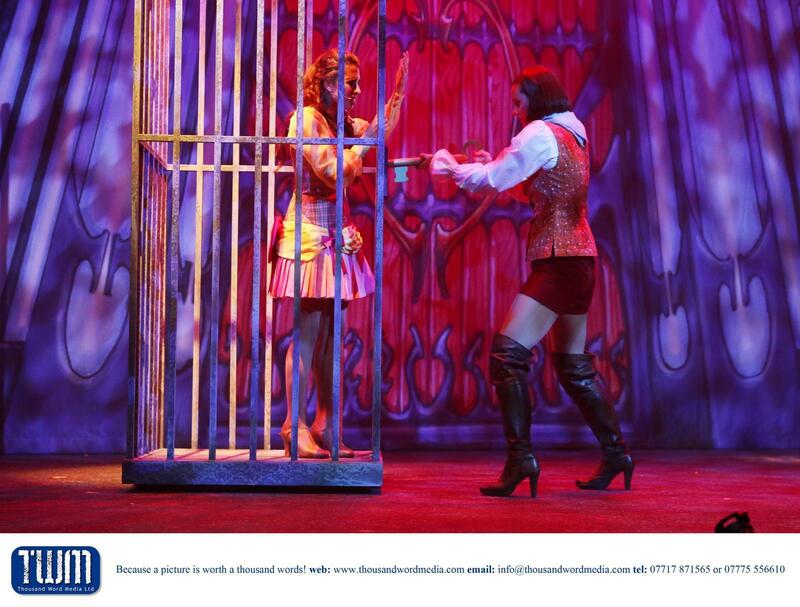 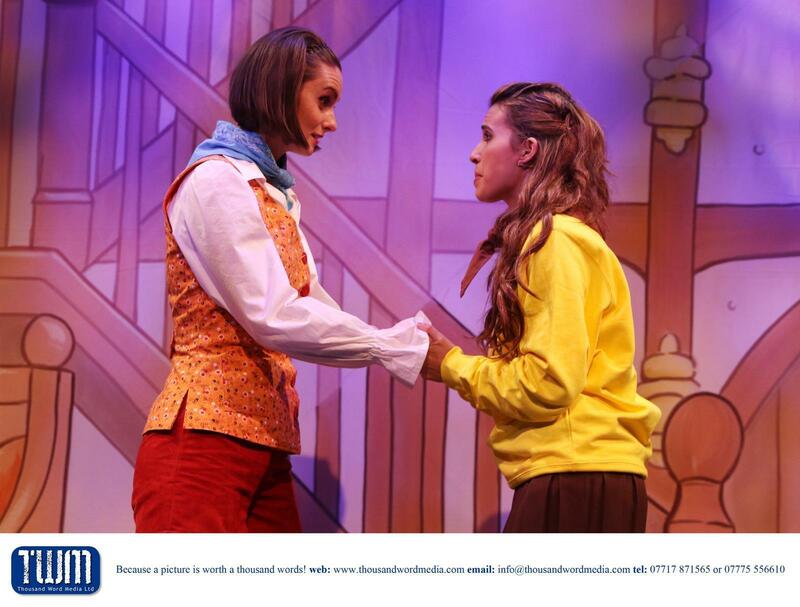 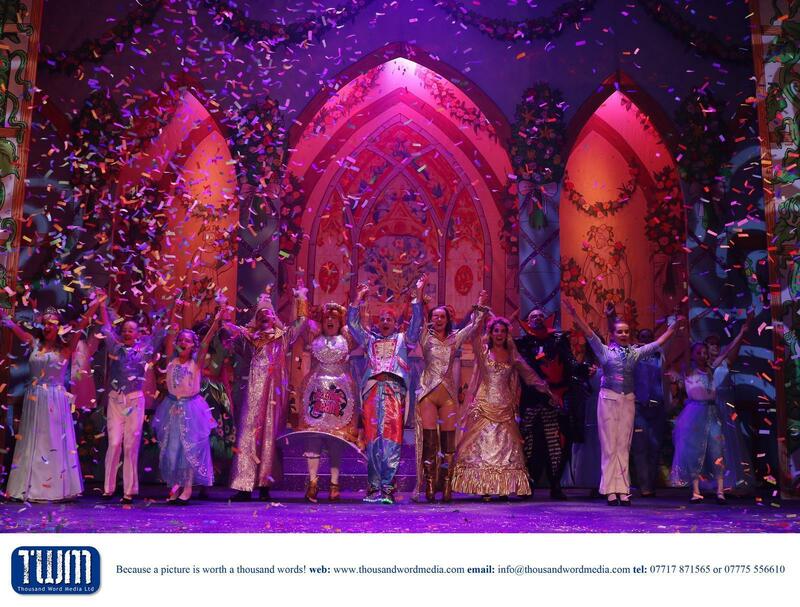 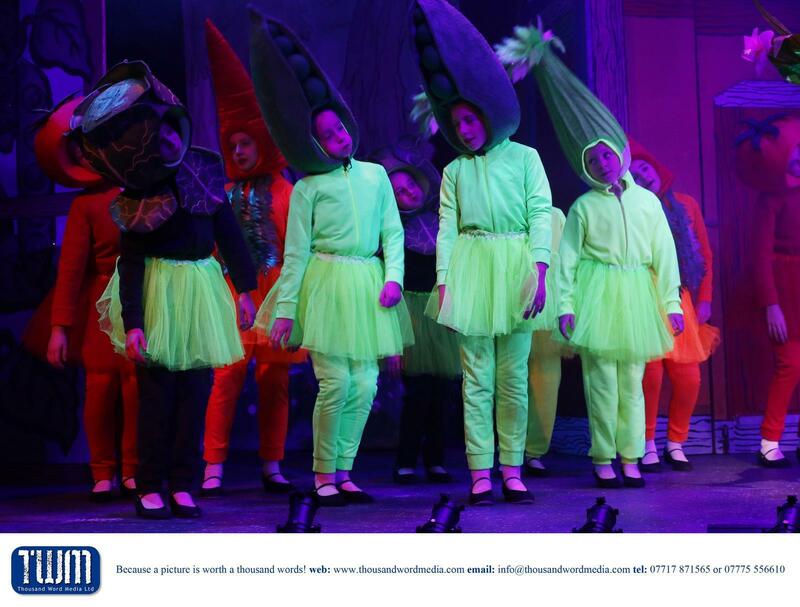 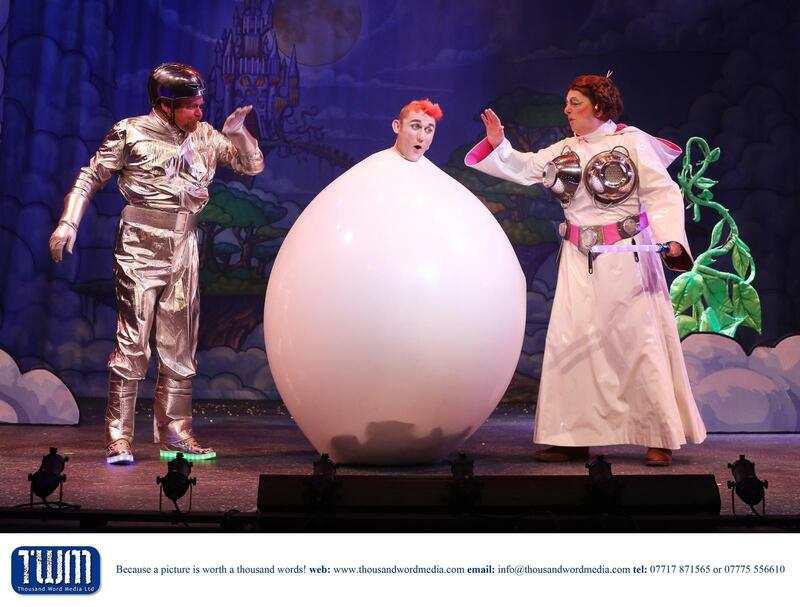 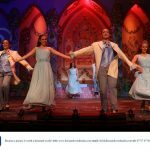 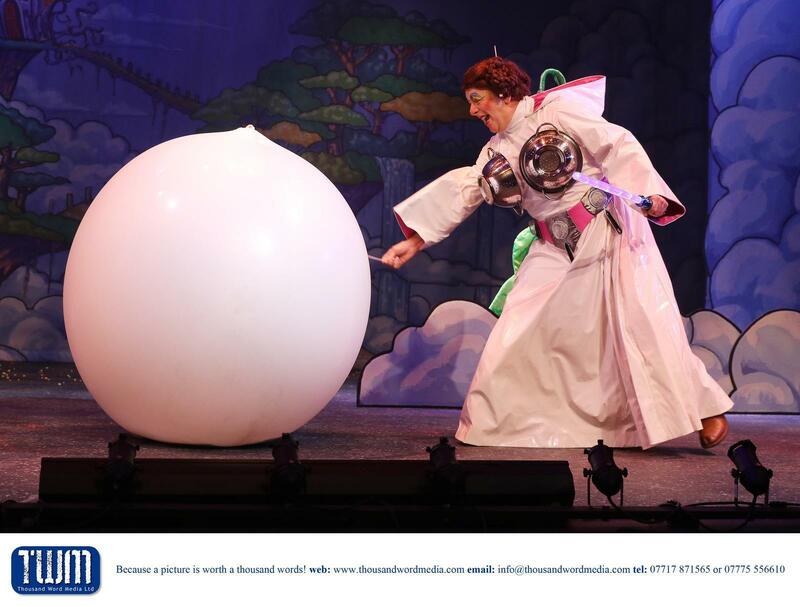 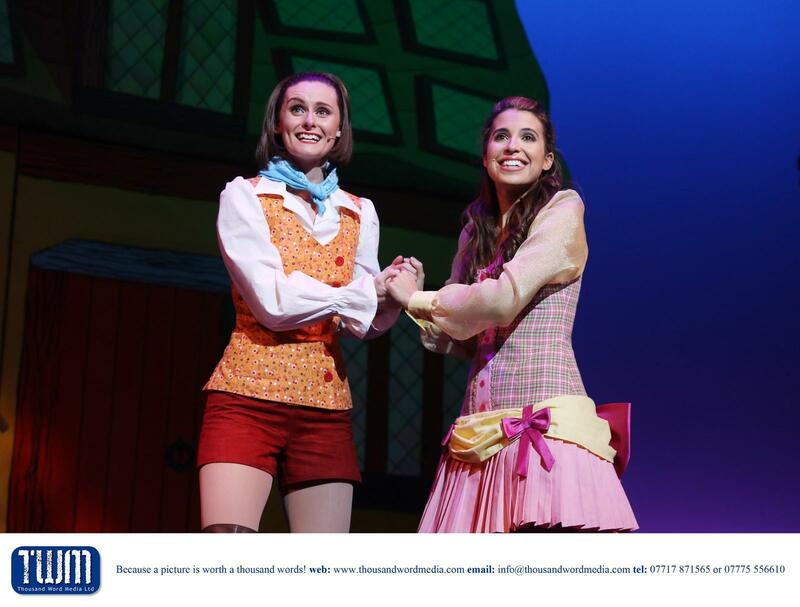 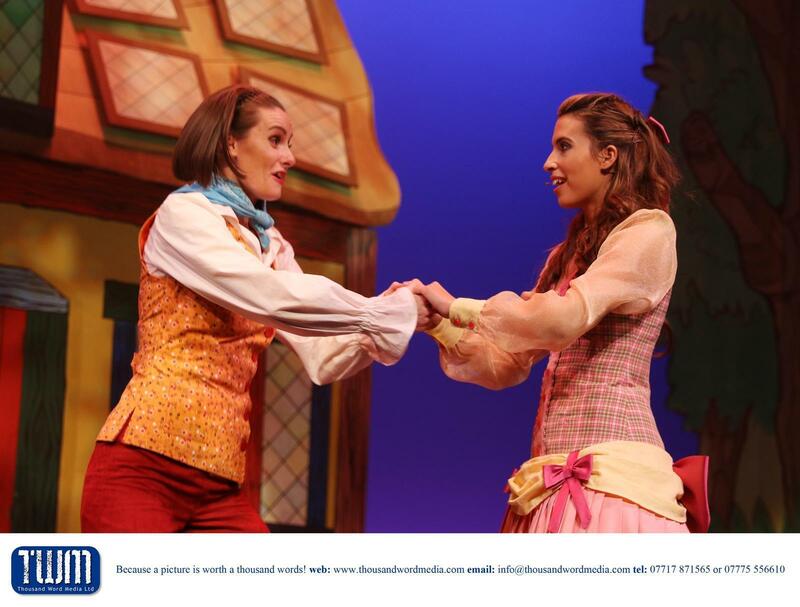 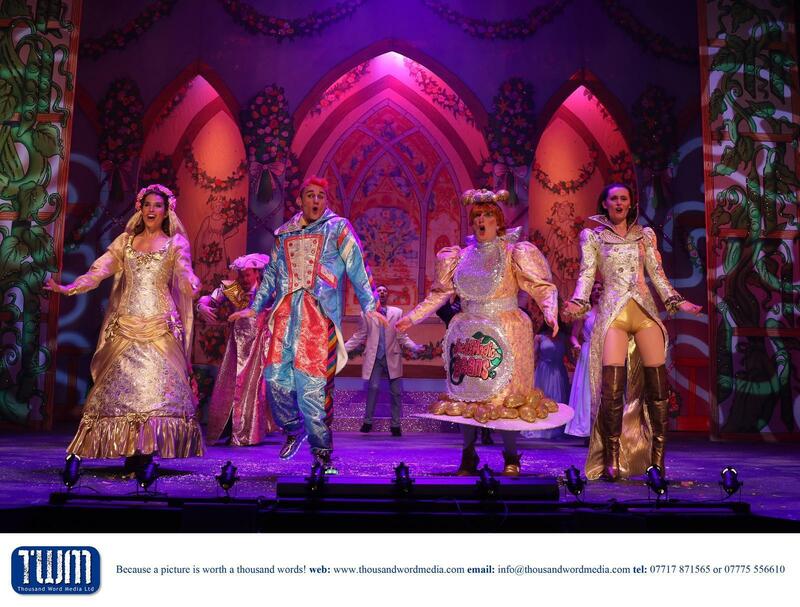 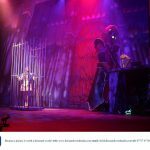 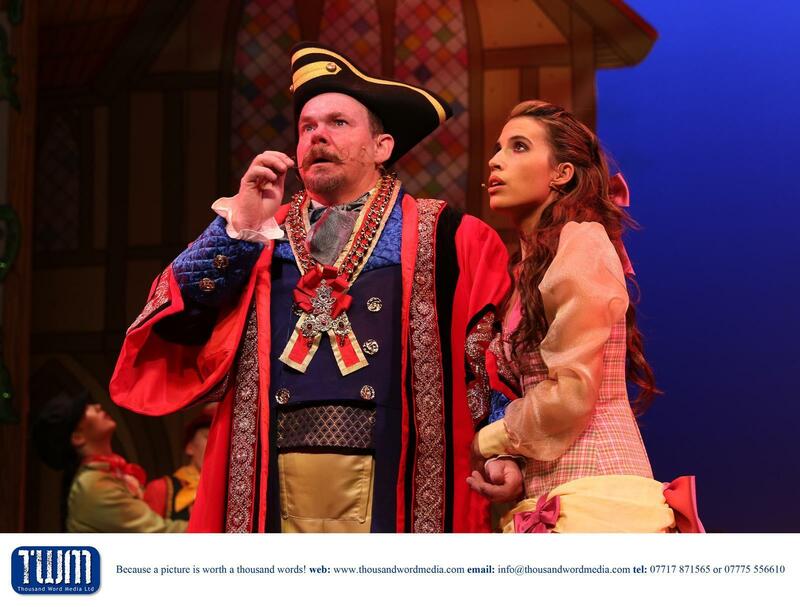 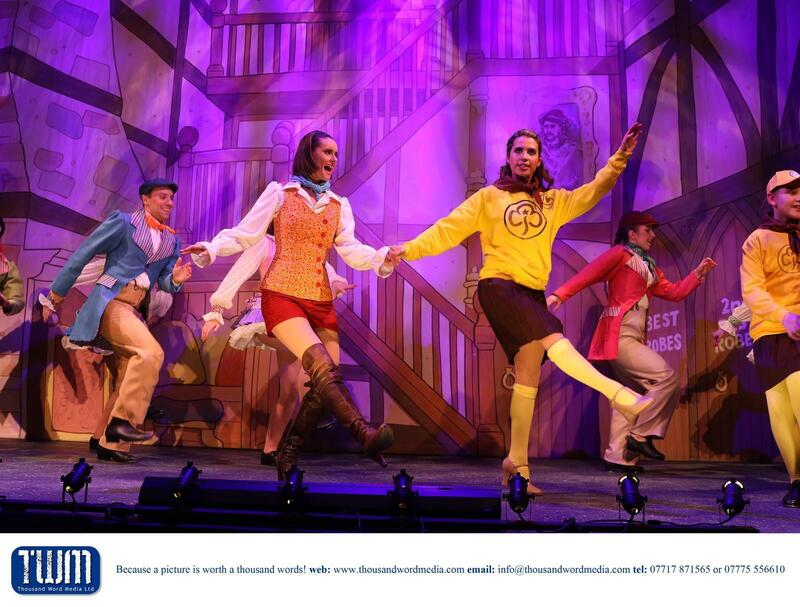 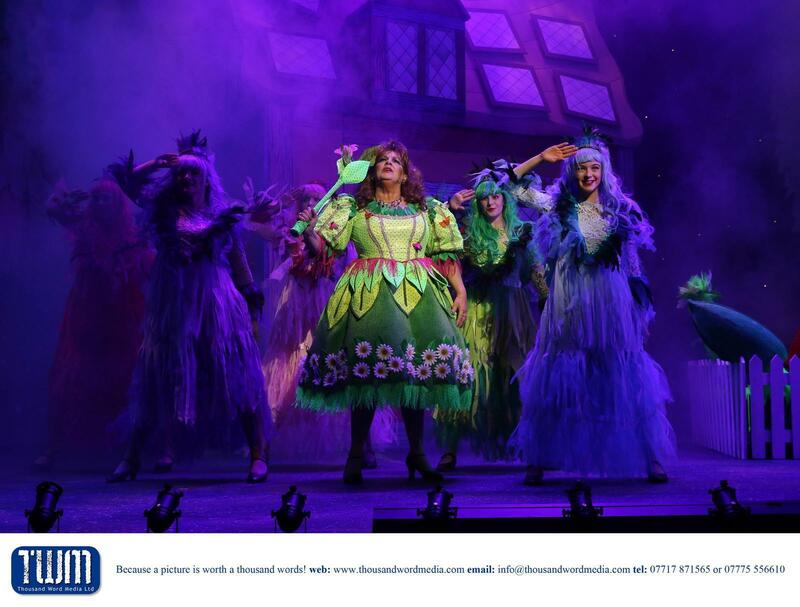 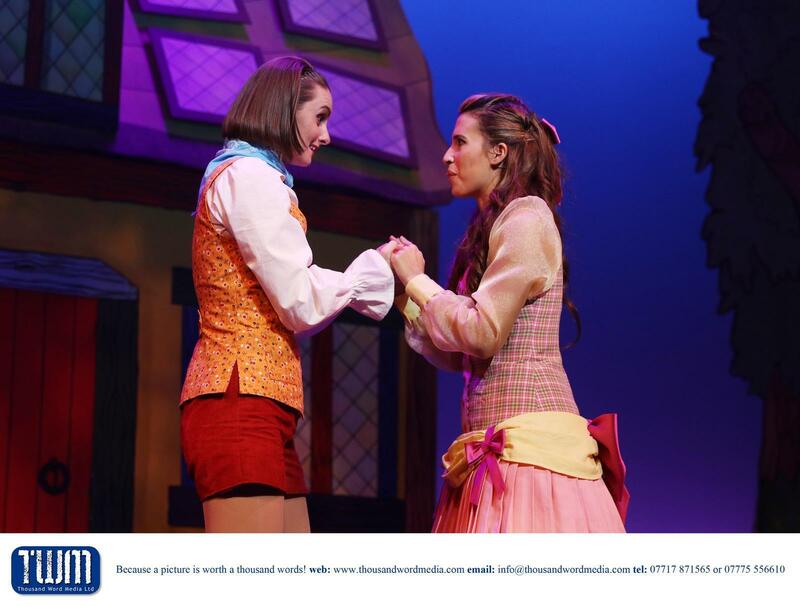 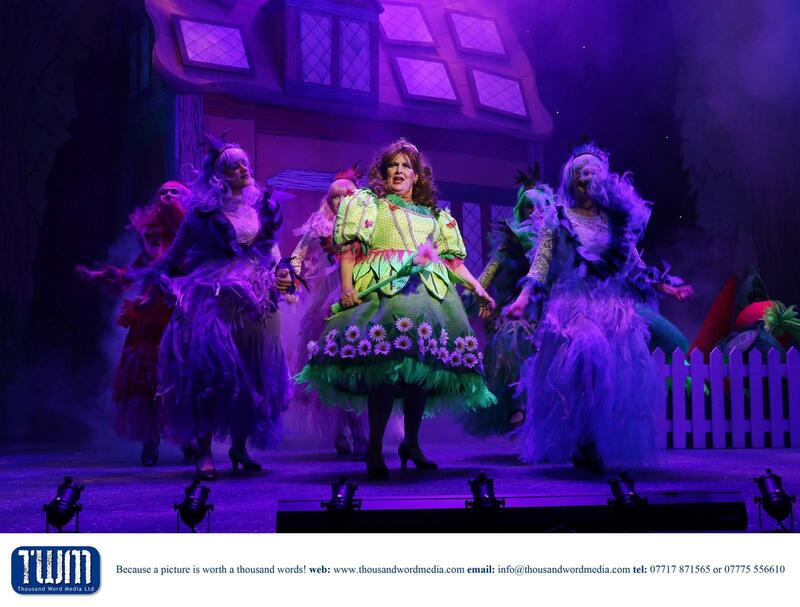 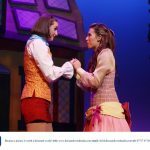 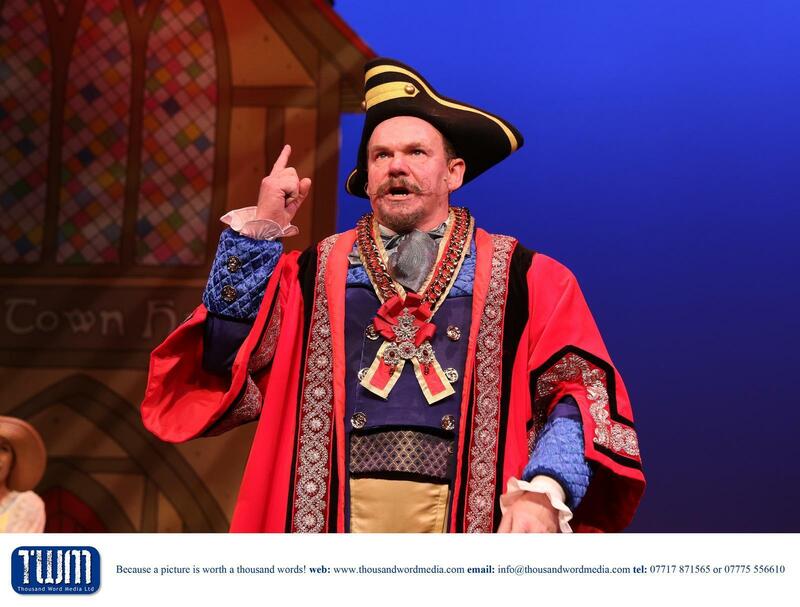 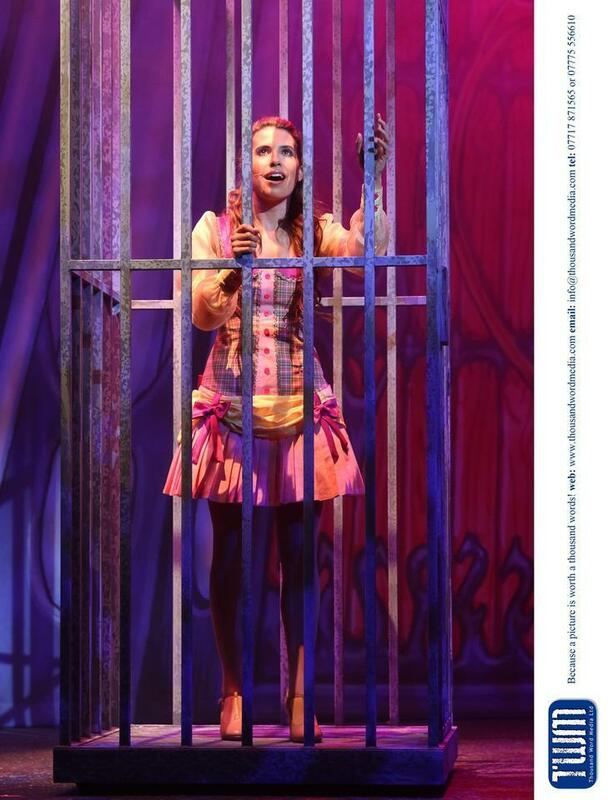 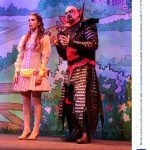 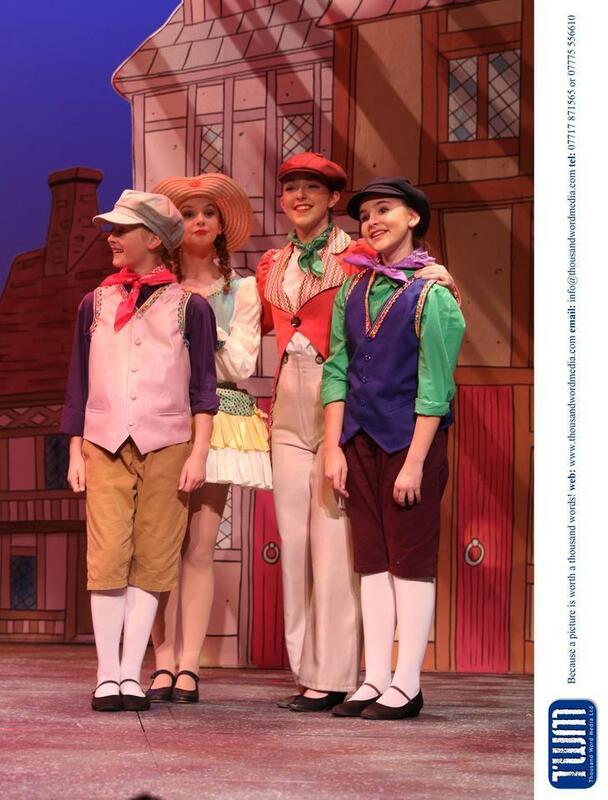 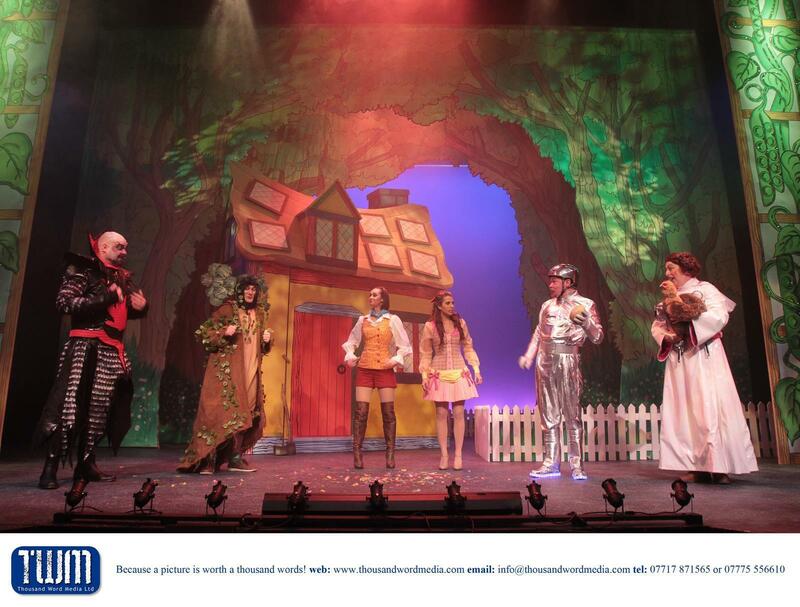 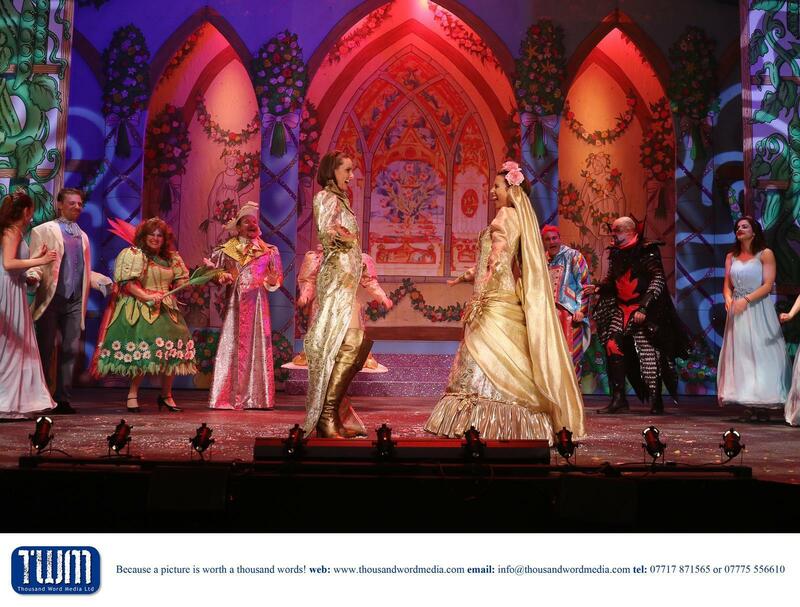 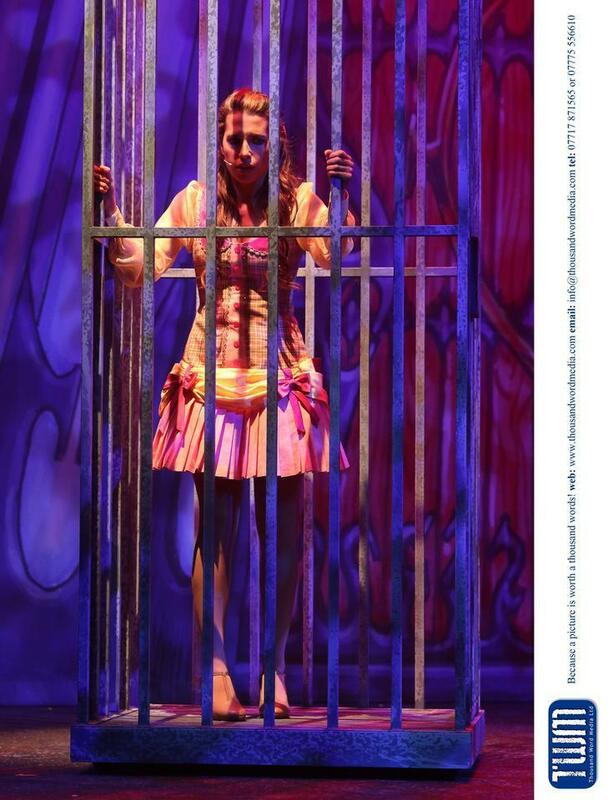 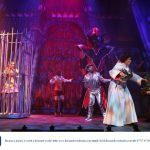 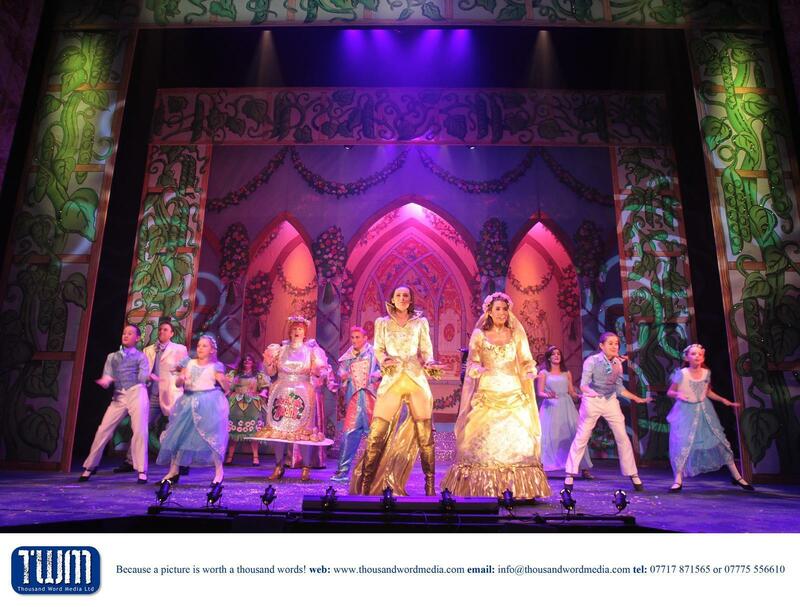 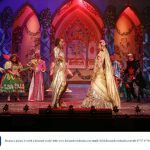 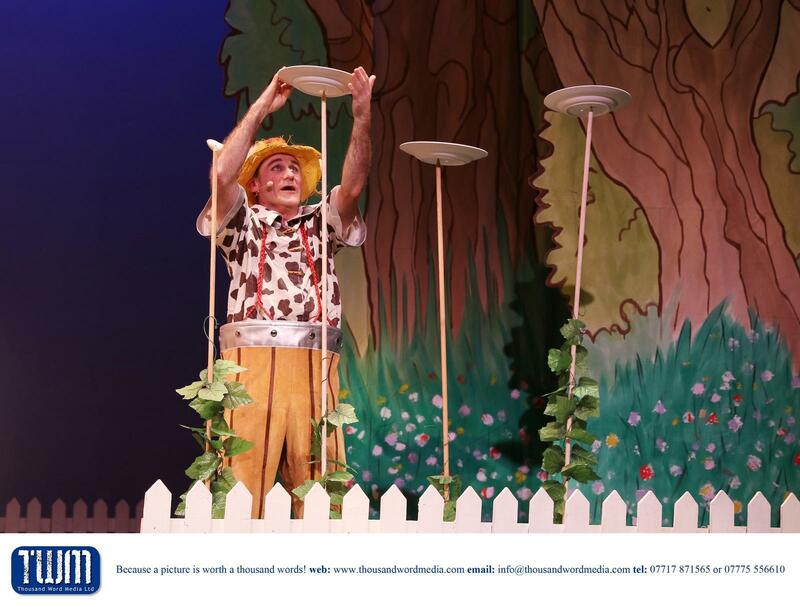 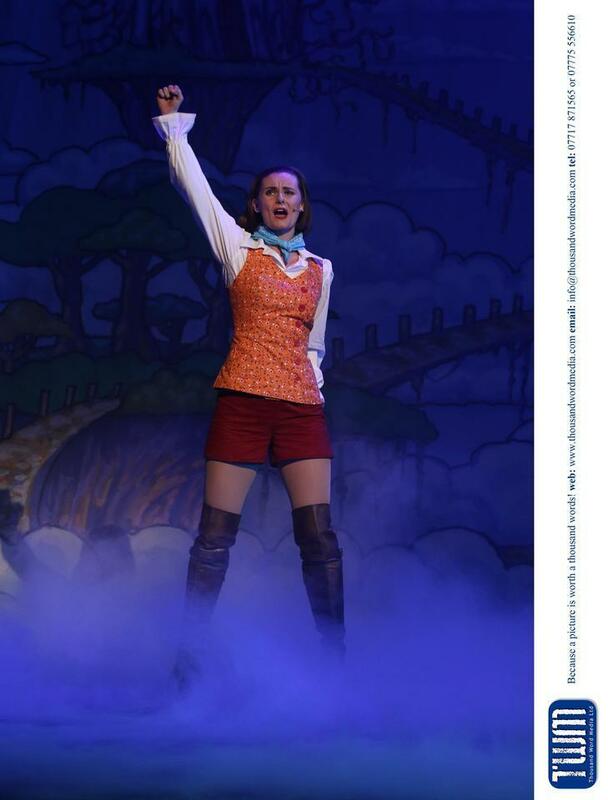 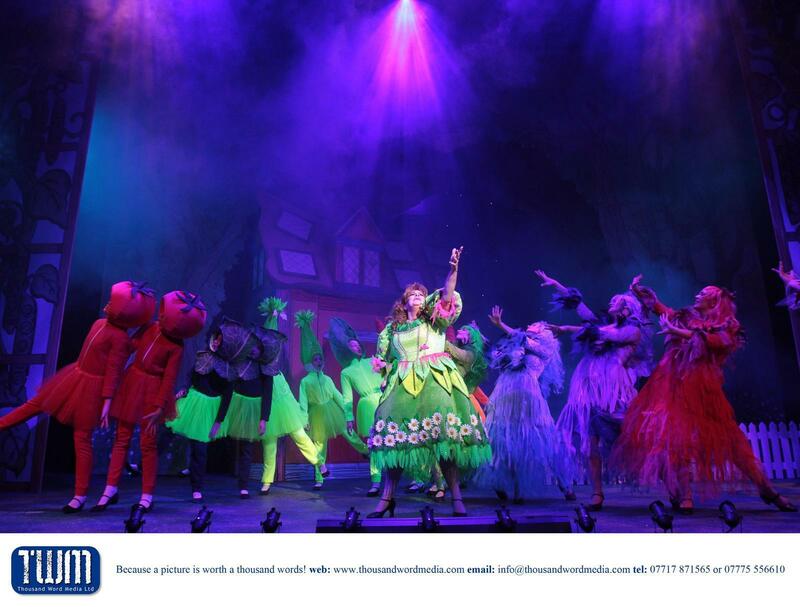 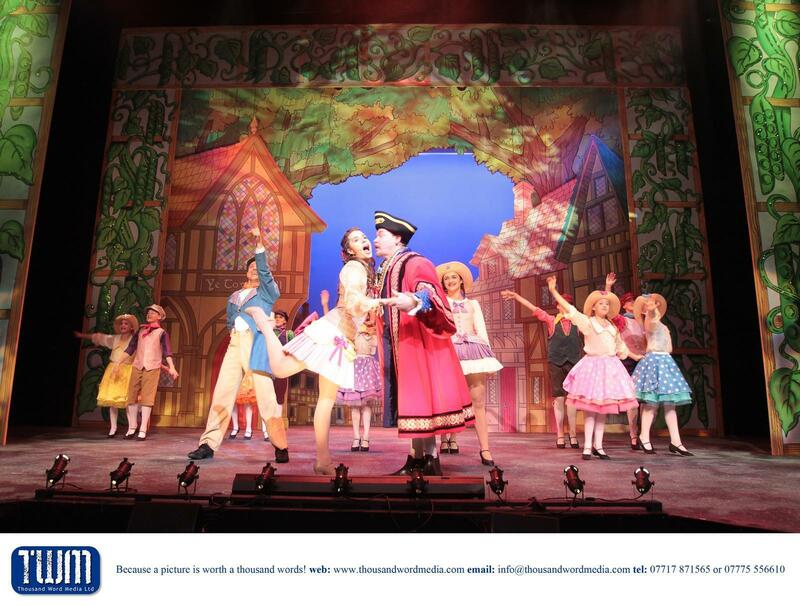 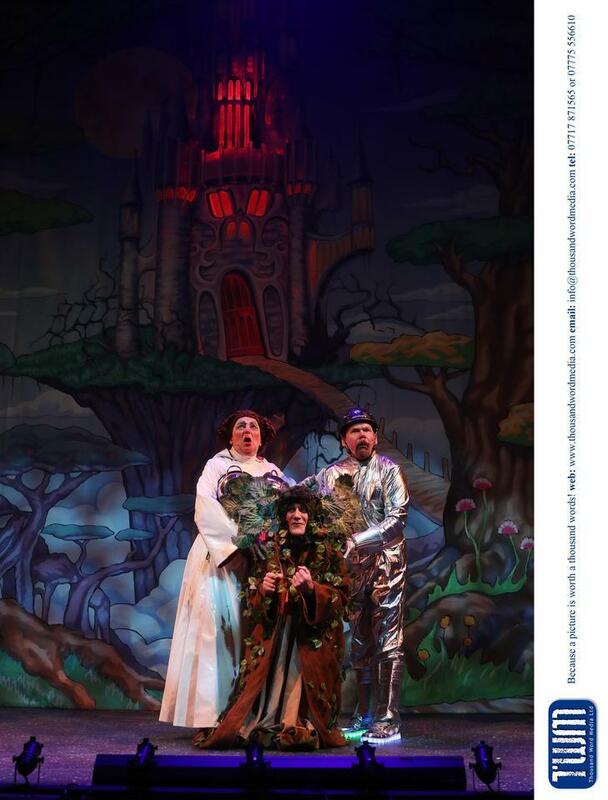 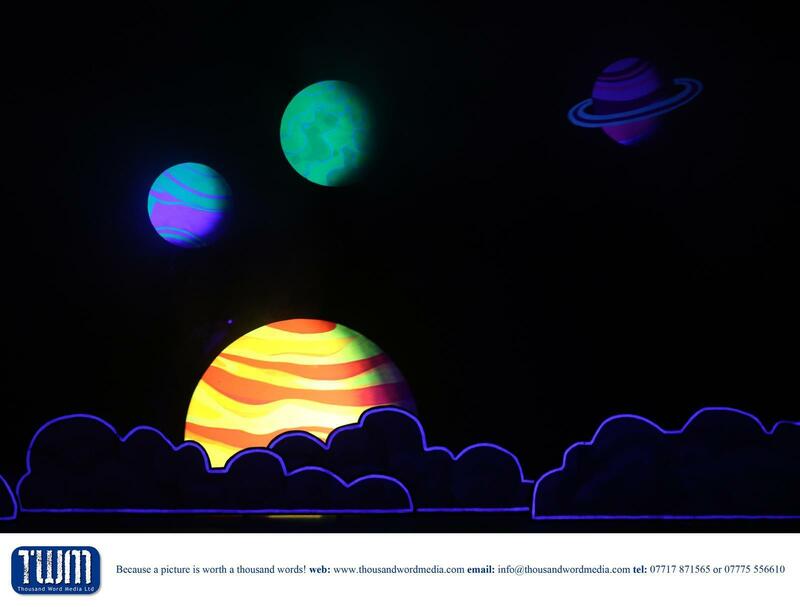 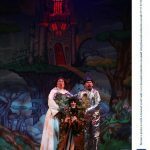 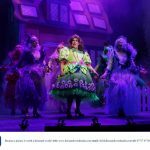 Everything kids (and adults) want from a pantomime is here – something old, something new, something borrowed and something as blue as can be got away within a family show. 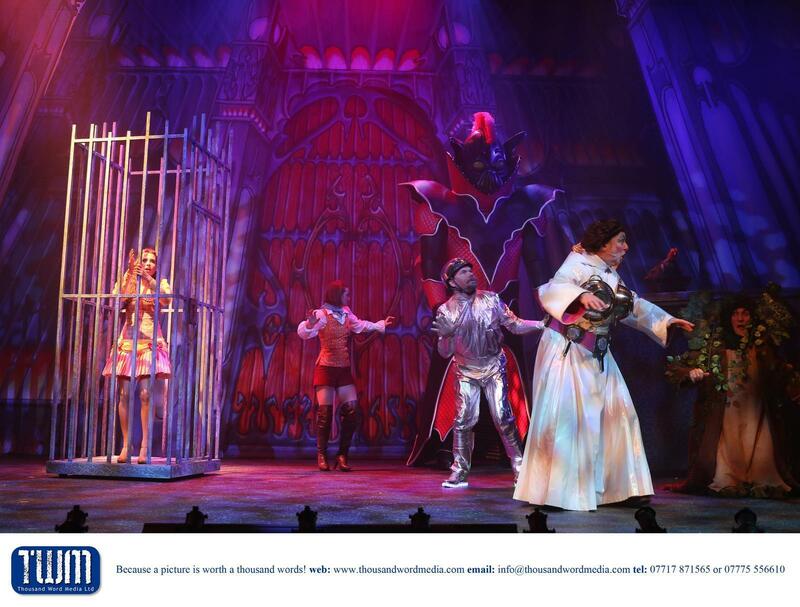 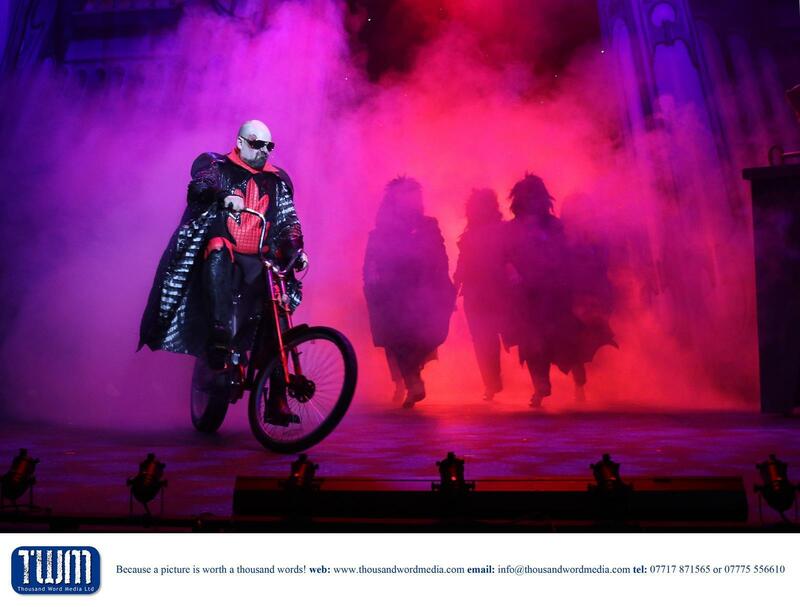 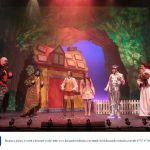 Topical references to ‘Brexit’ and someone “disappearing faster than David Cameron” went down well with the elder members of the audience while the kids loved the usual ‘boo the baddie’ audience participation scenes. 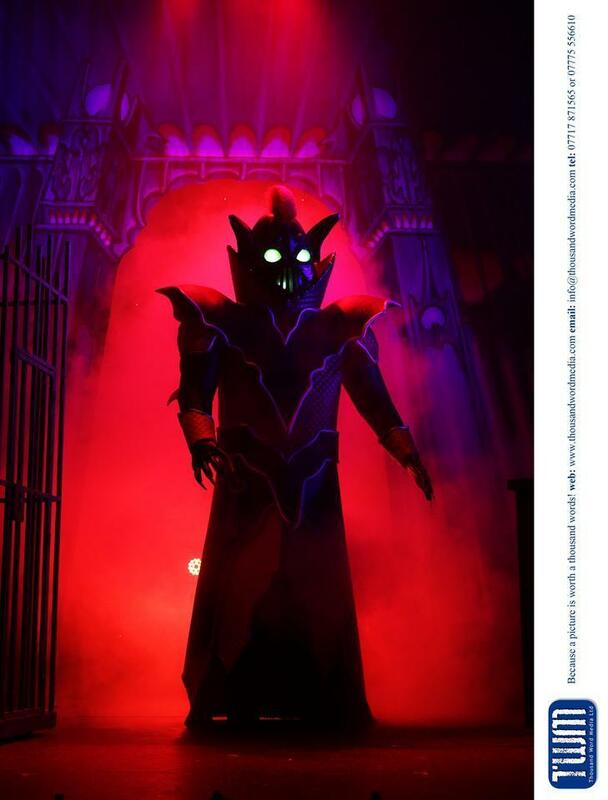 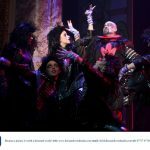 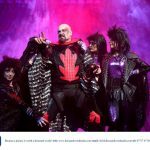 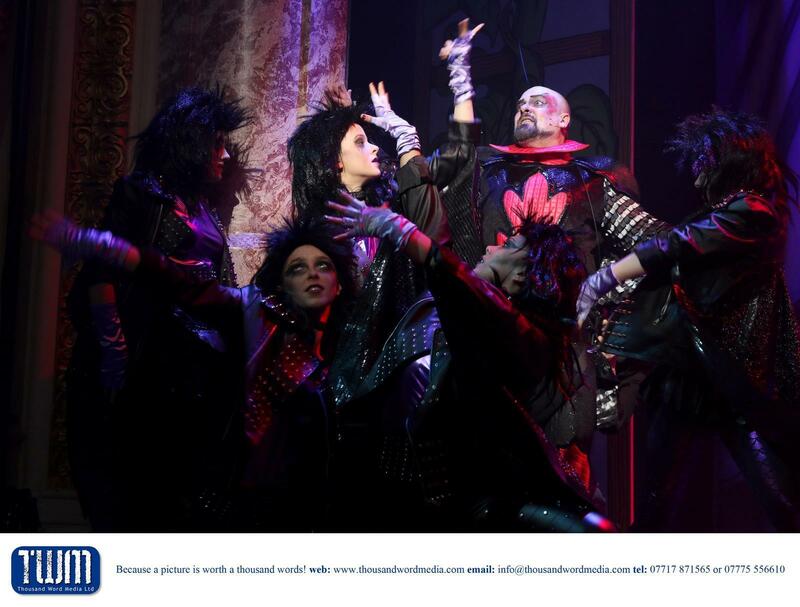 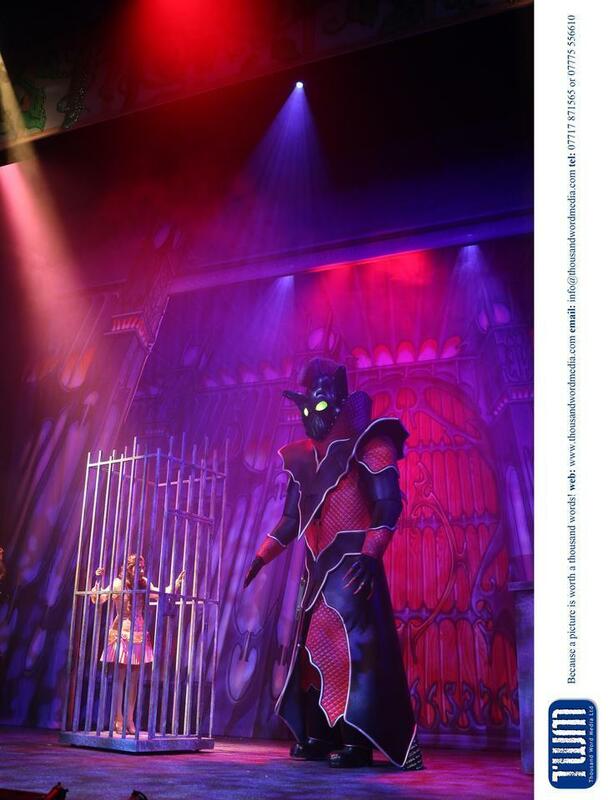 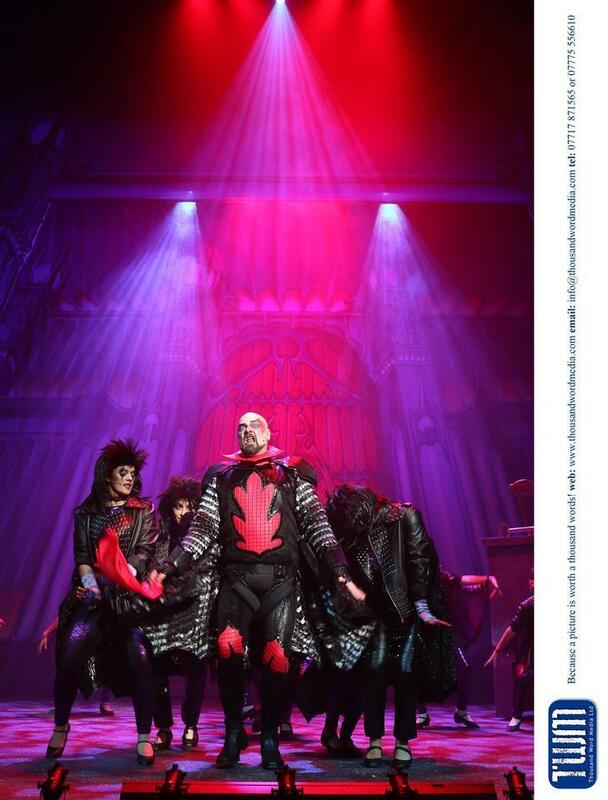 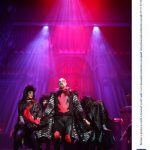 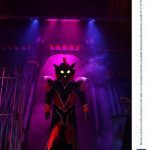 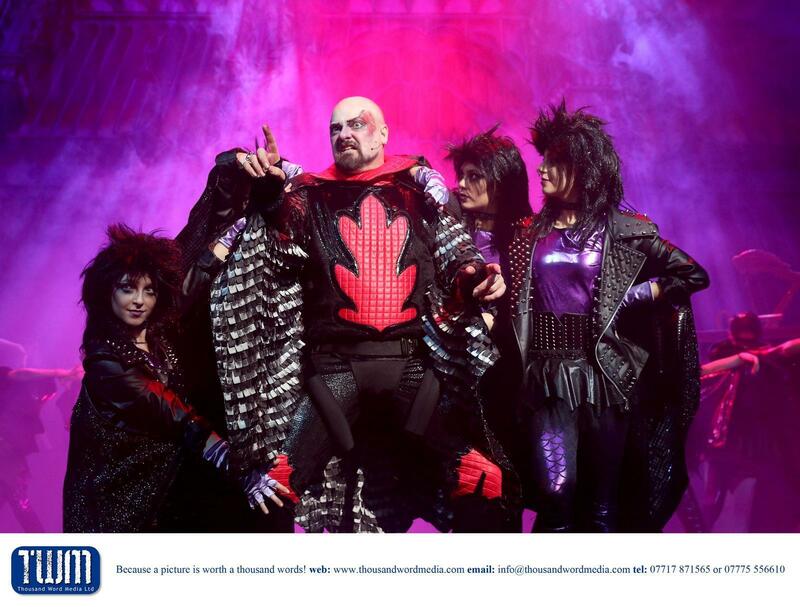 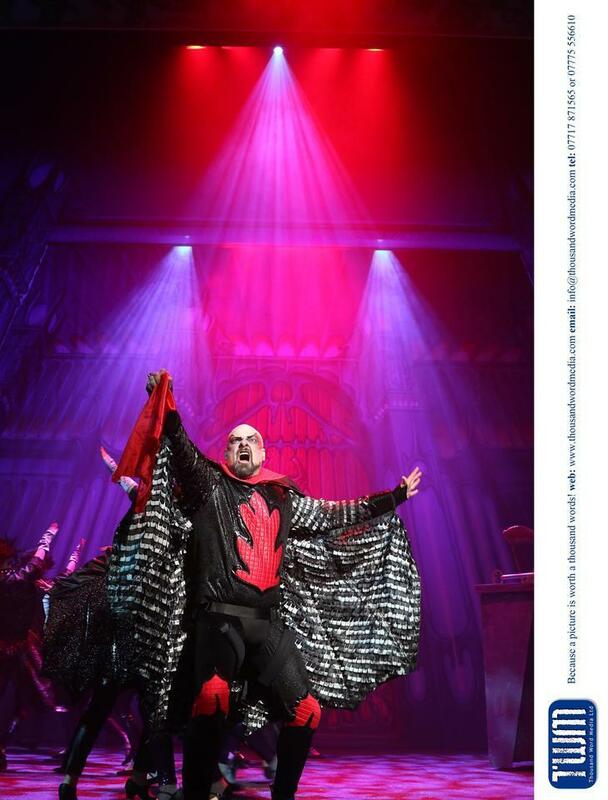 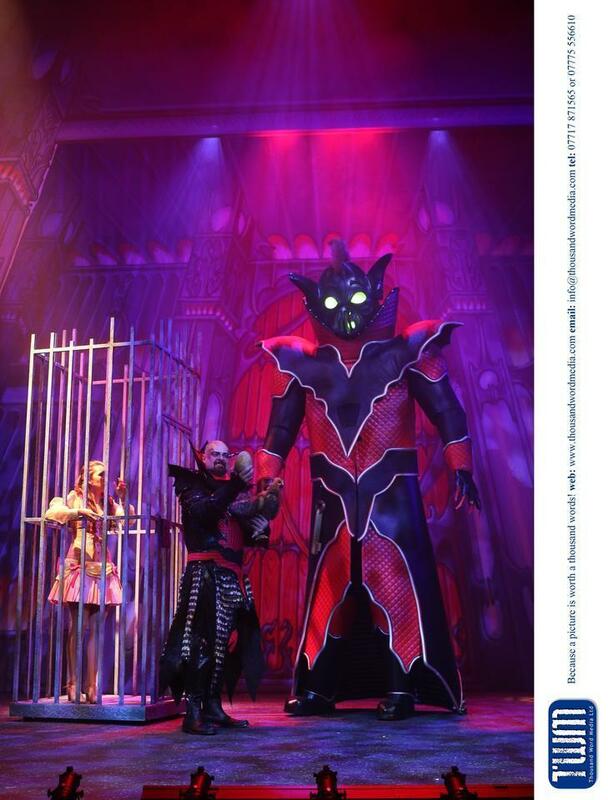 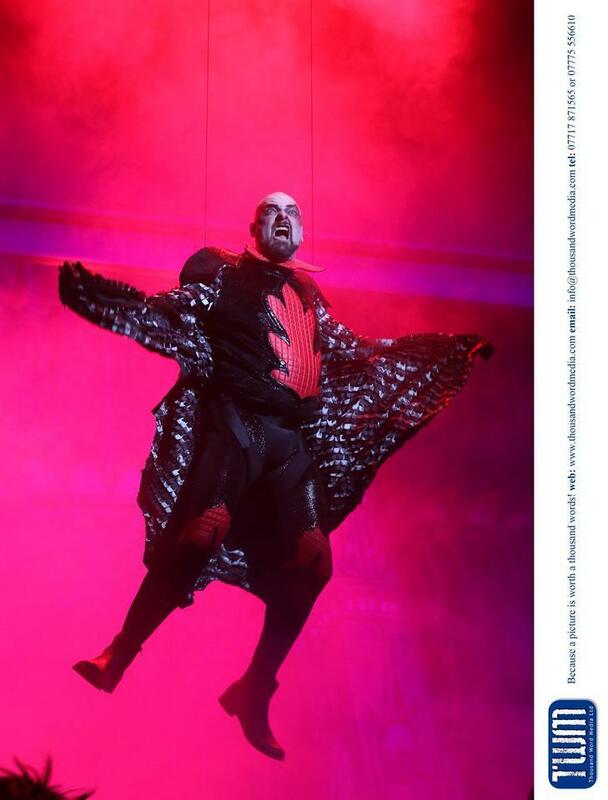 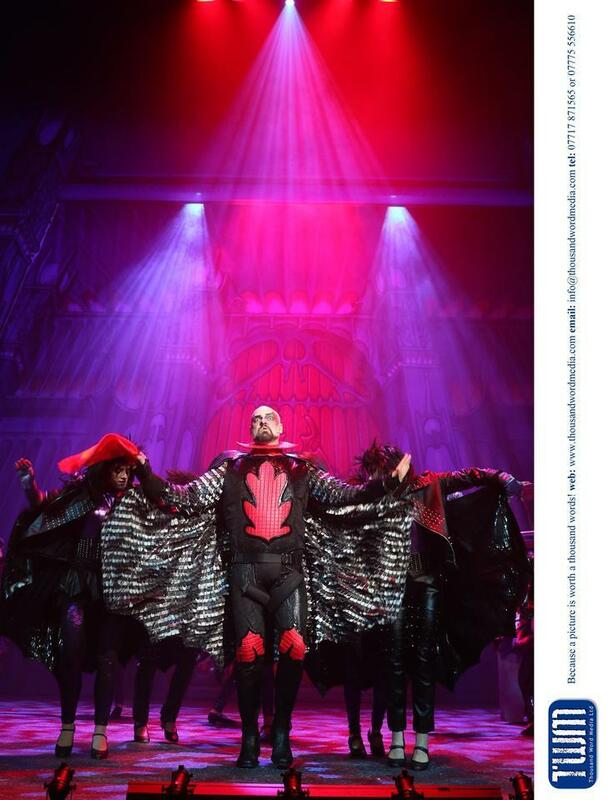 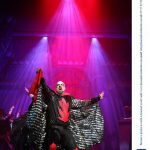 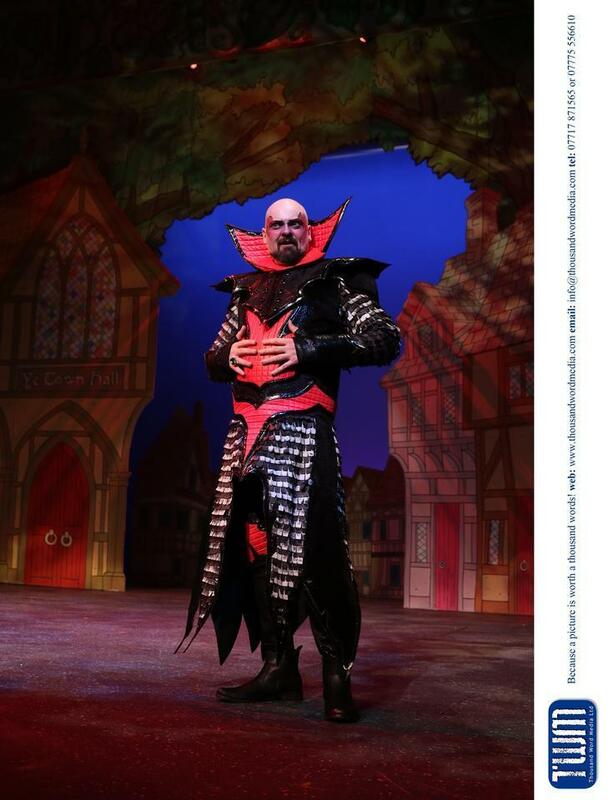 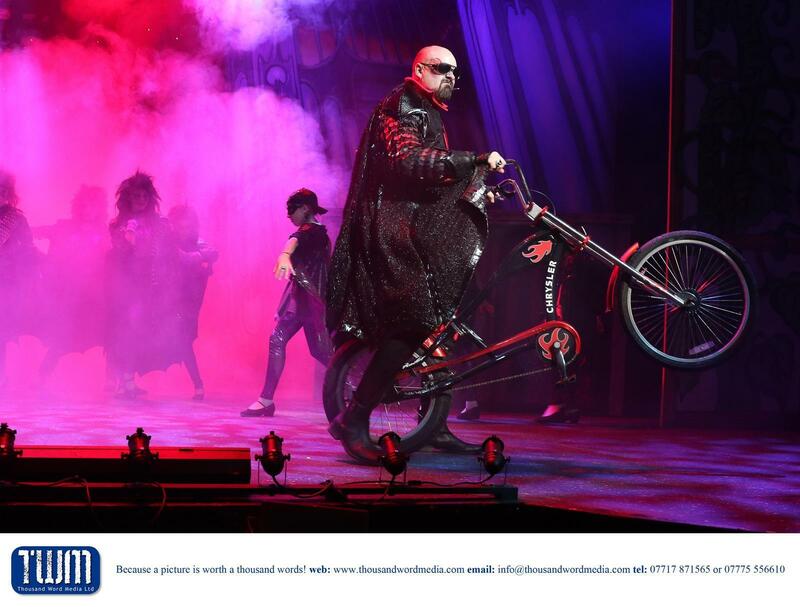 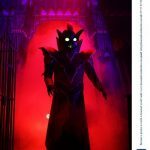 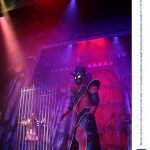 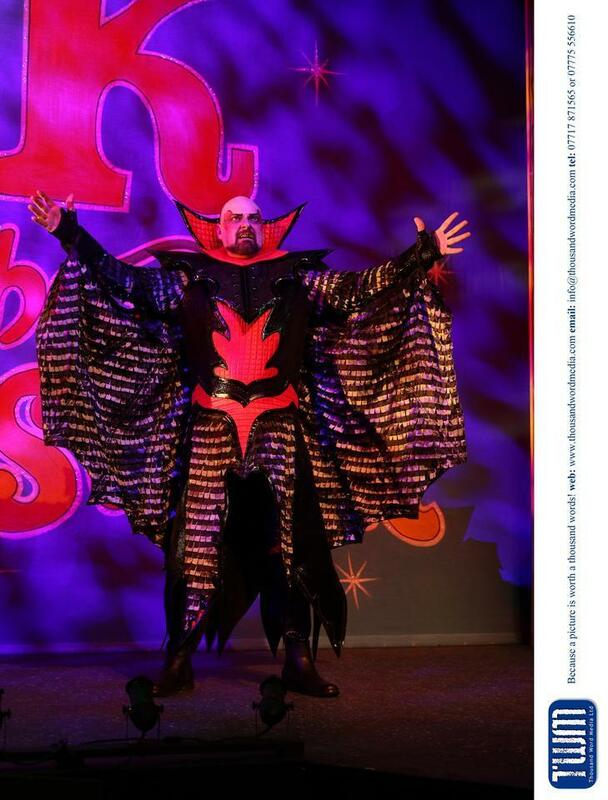 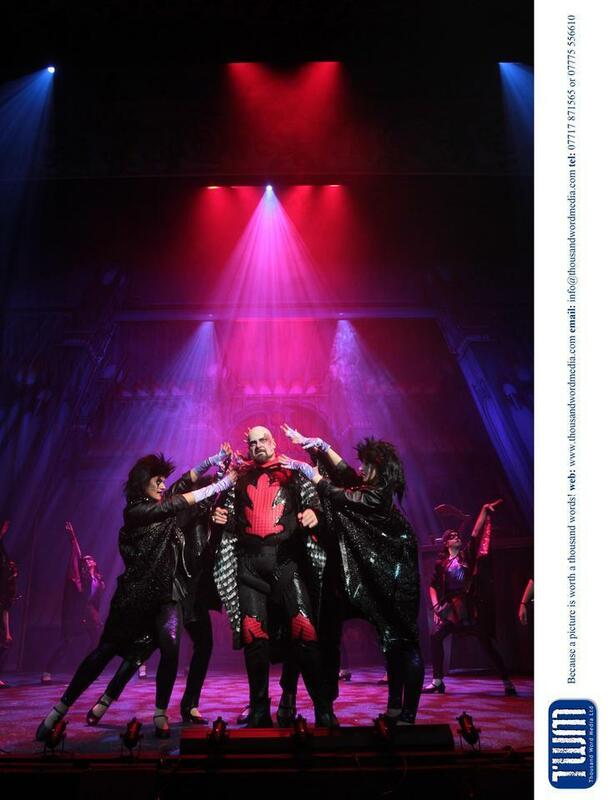 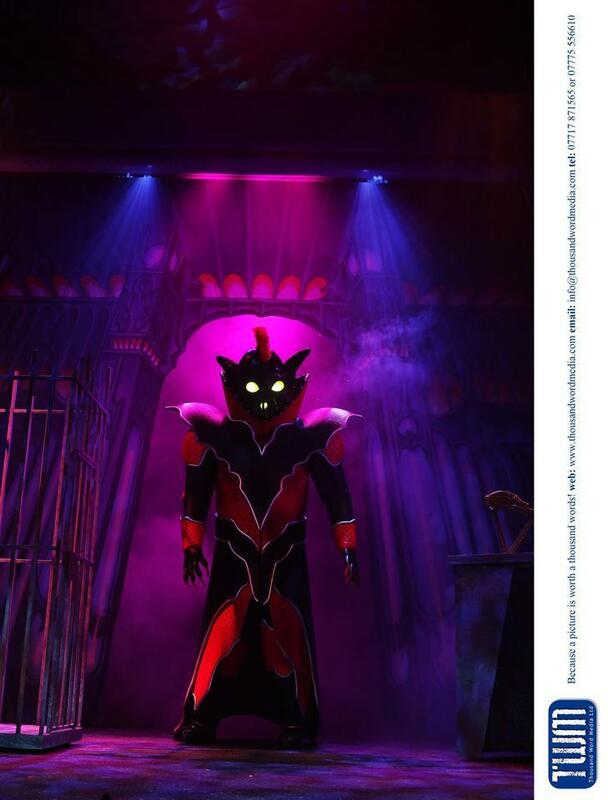 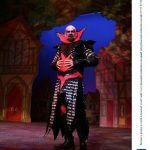 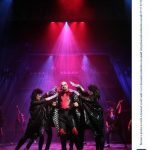 The aforementioned baddie – Fleshcreep – is brilliantly played by Andrew Westfield who also does a pretty mean rendition of Meat Loaf’s Bat Out Of Hell. 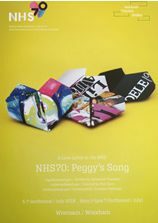 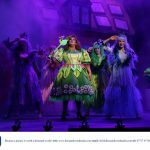 The setting and lighting for this, as with all the other scenes, is superb and the Eco Fairy (Gillian Elisa) also gets a chance to strut her stuff, belting out Bonnie Tyler’s huge hit; Holding Out for a Hero. 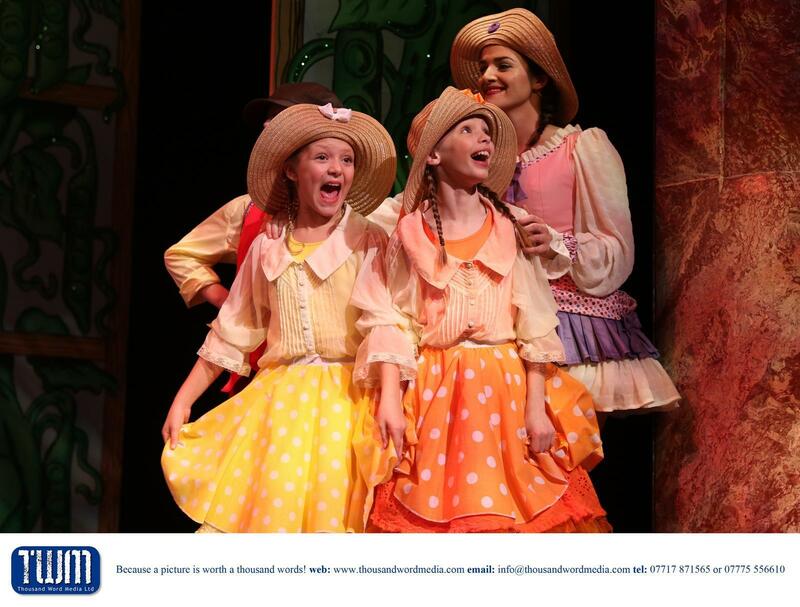 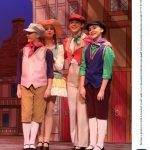 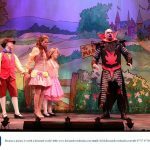 Every year, the Everyman’s pantomime is linked to a local good cause and the charity it is helping in 2016/17 is Readathon, based in Nailsworth. 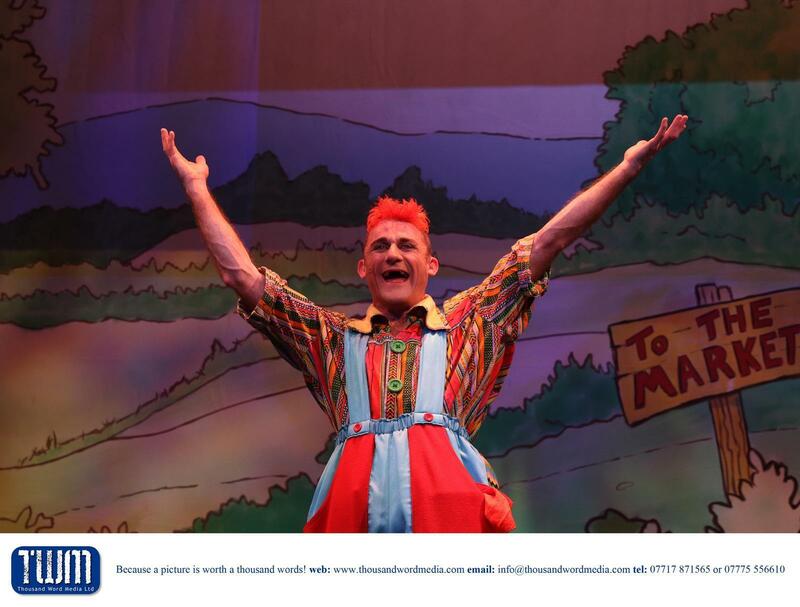 Its mission is to get all schools in Gloucestershire reading in a tribute to Henry Bromberg, who sadly died aged just 10 while waiting for a heart transplant. 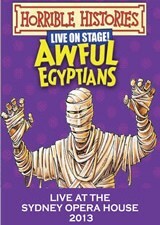 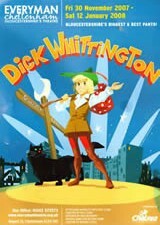 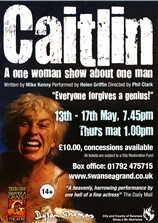 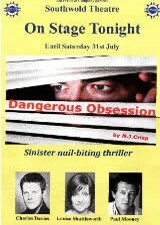 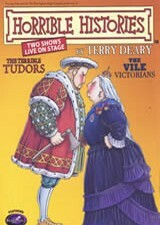 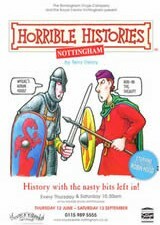 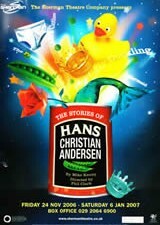 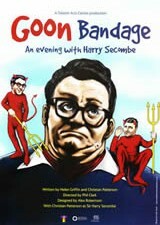 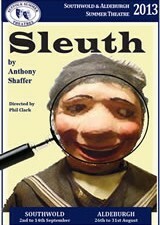 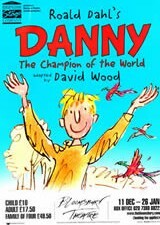 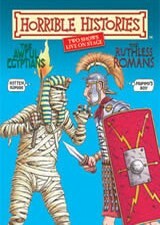 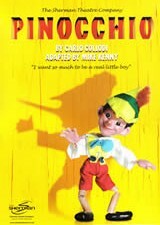 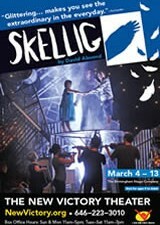 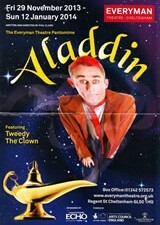 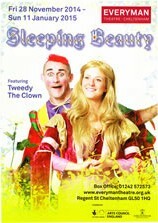 Henry loved the Pantomimes and he certainly would have loved this one. 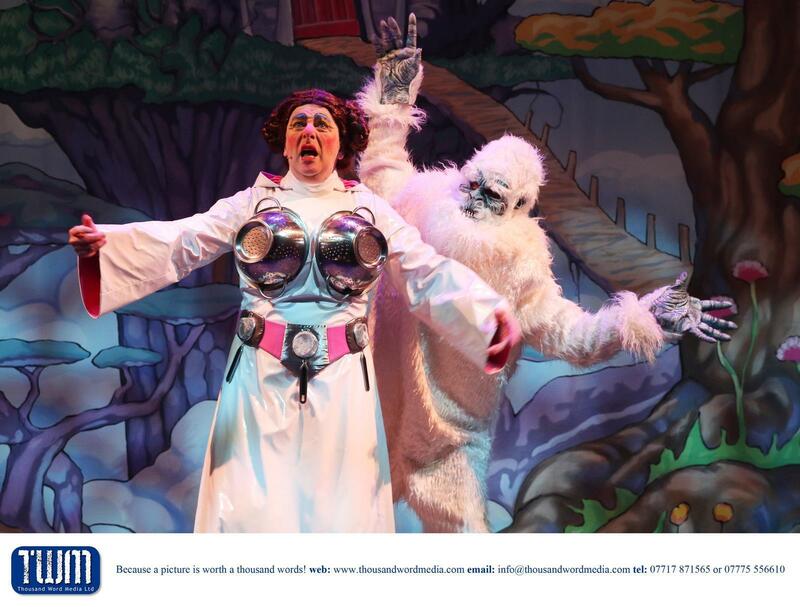 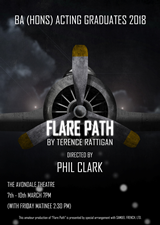 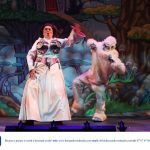 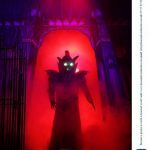 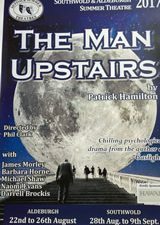 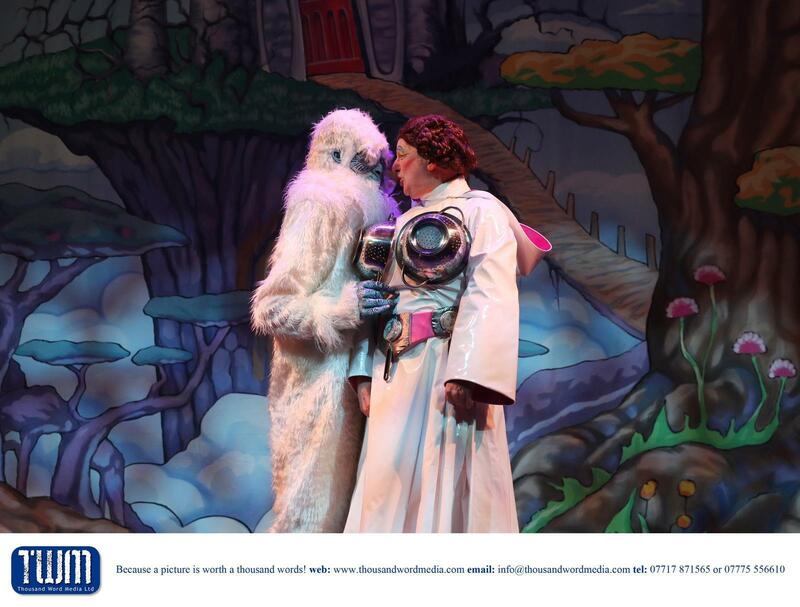 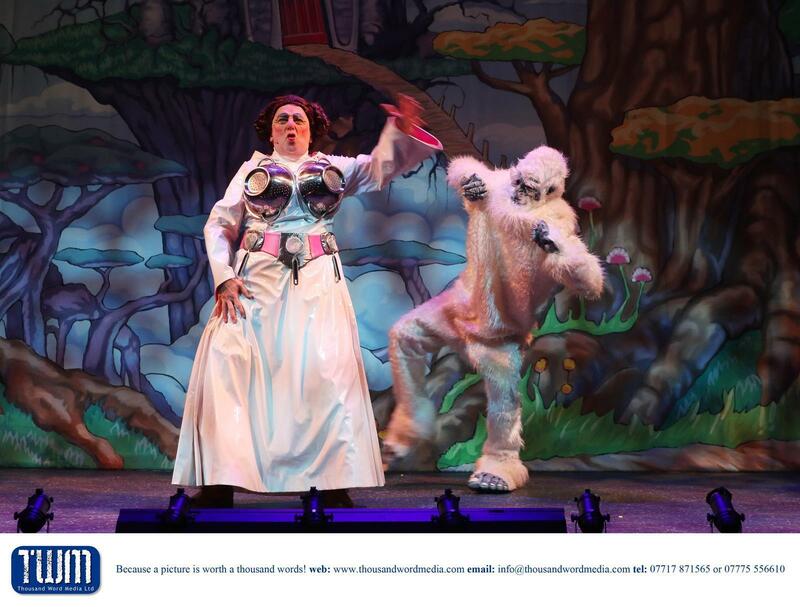 Director Phil Clark has included all of the traditional set pieces – let’s face it, he daren’t leave out the slapstick and messy fun with foam, or the ‘behind you’ sequence, with an Abominable Snowman instead of the usual ghost. 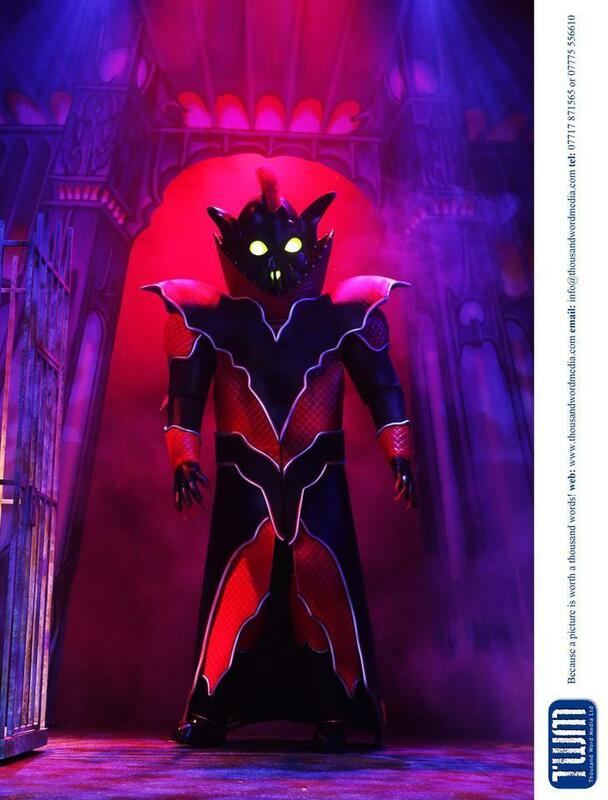 Seeing the main characters dressed in Star Wars costumes was a welcome twist and the big surprise is the giant, also brought up to date by being more like Darth Vader than a medieval marauder. 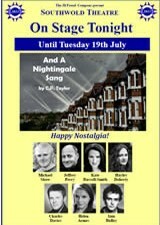 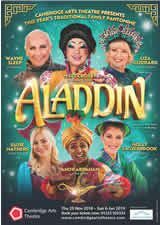 In an age of so-called ‘reality stars’ drinking smoothies made from a kangaroo’s unmentionables, it’s a real treat to see people who can sing, dance, act and make you laugh. 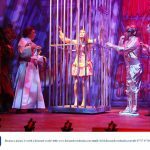 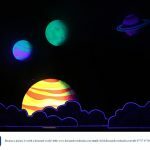 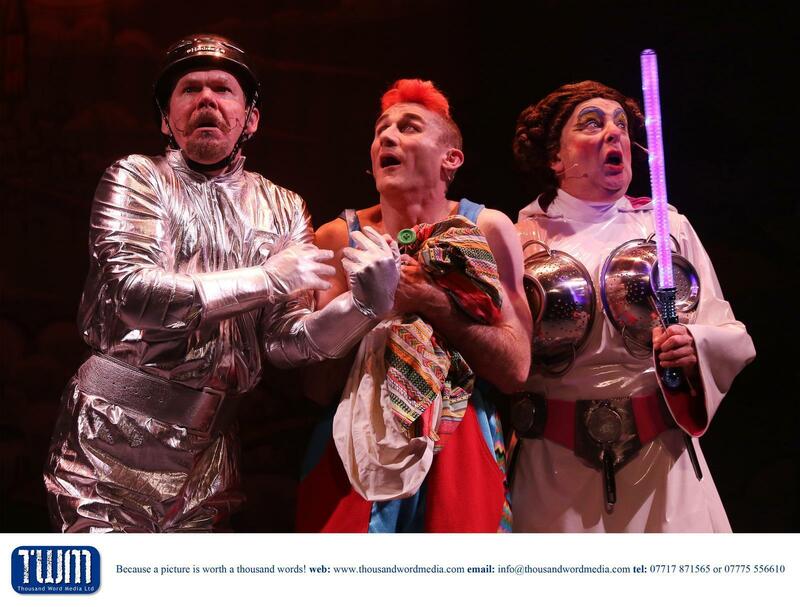 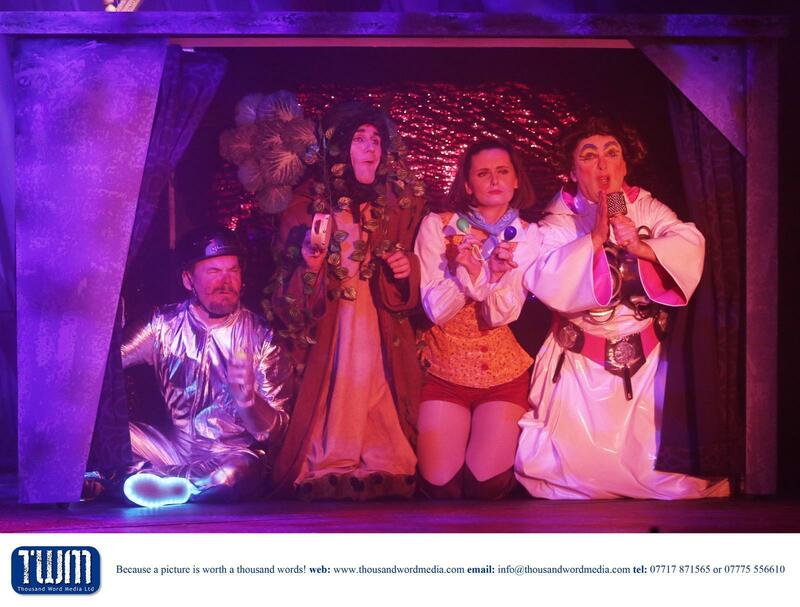 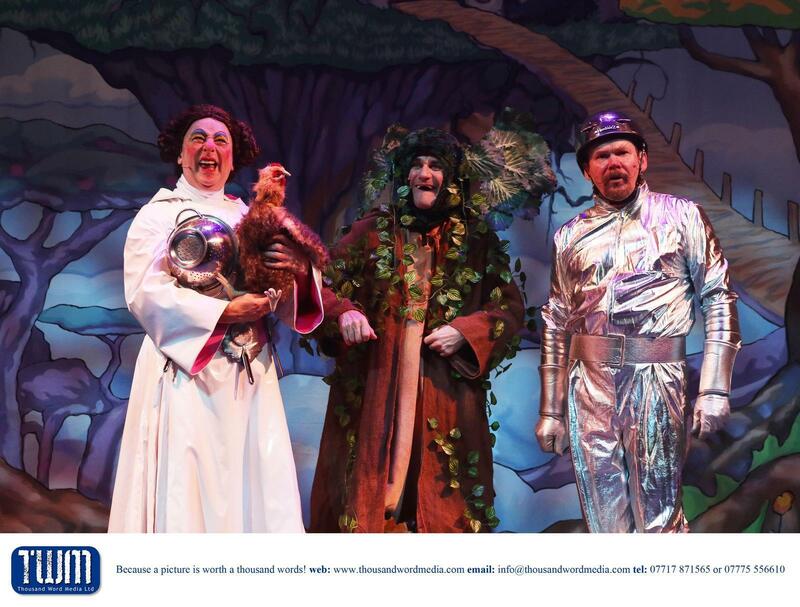 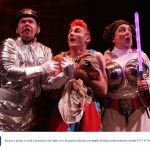 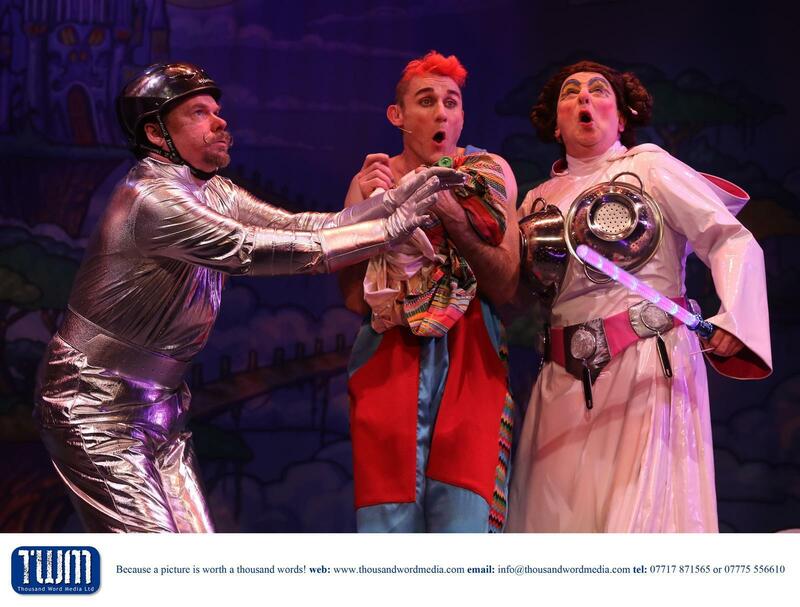 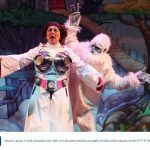 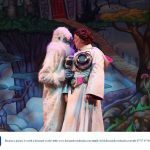 From Cheltenhamville to a galaxy far, far away, SoGlos climbed the beanstalk into A Cloud Cuckoo Land filled with mischief, music, mayhem, and magic, at Everyman Theatre’s annual pantomime. 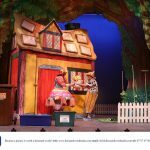 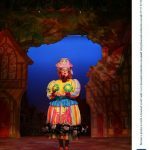 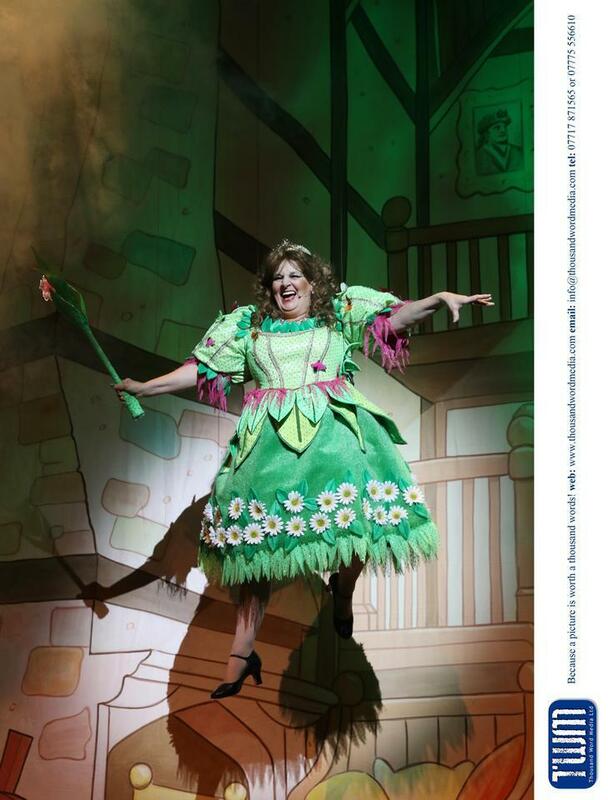 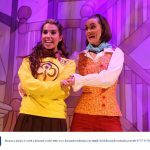 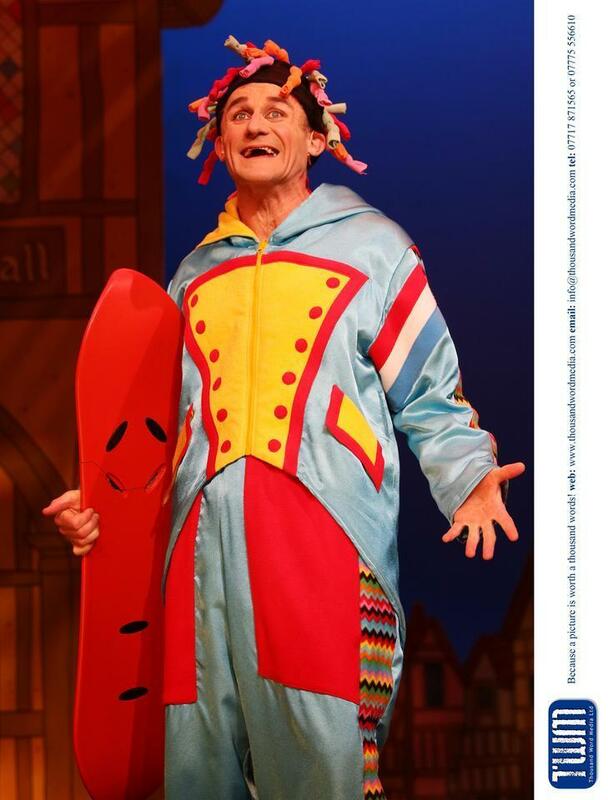 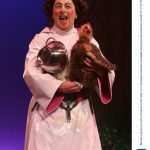 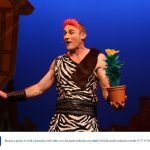 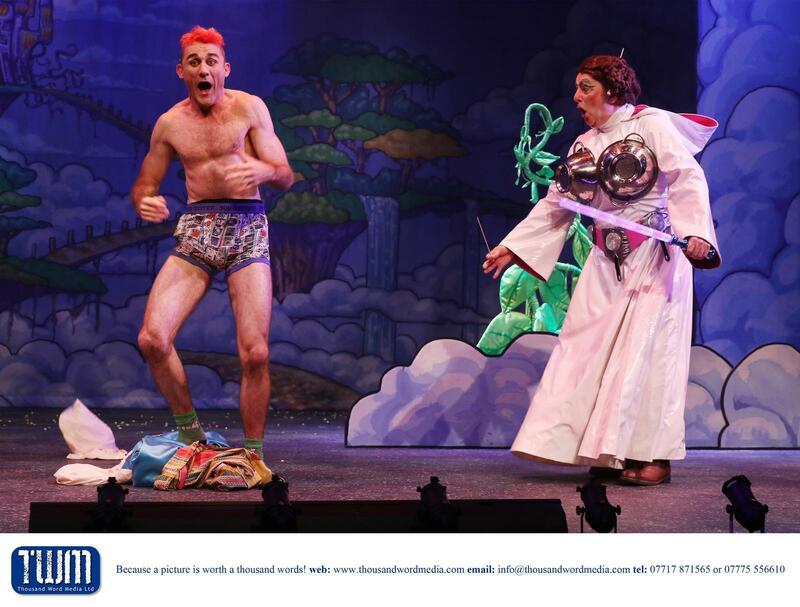 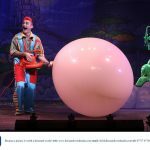 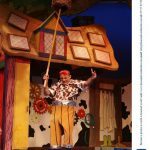 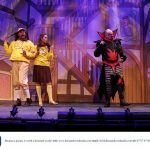 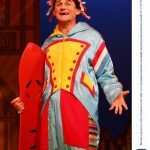 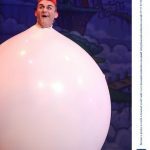 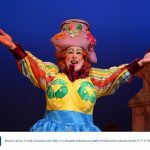 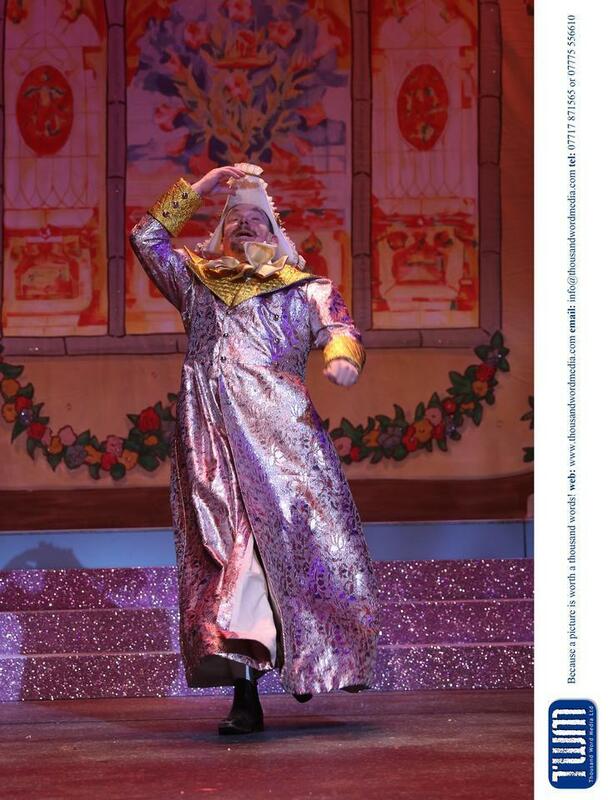 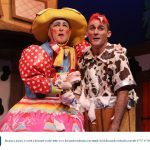 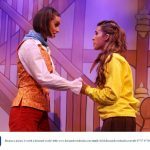 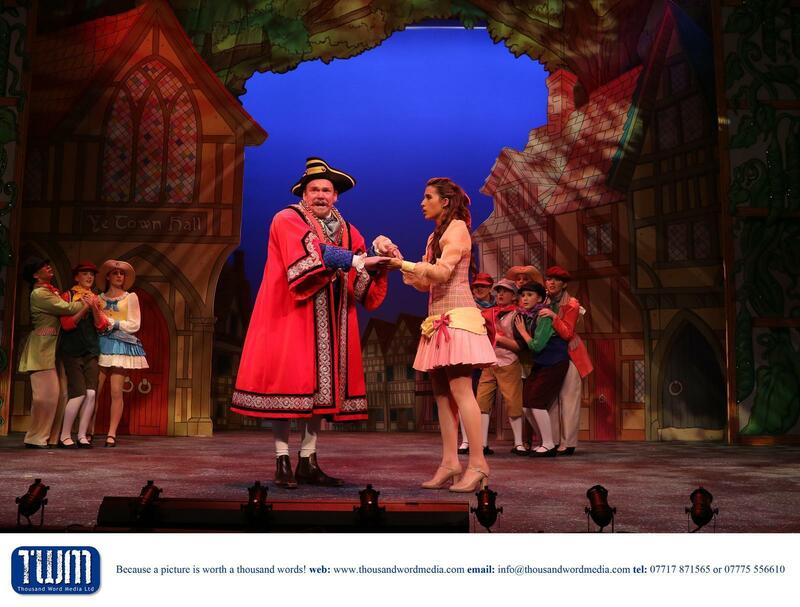 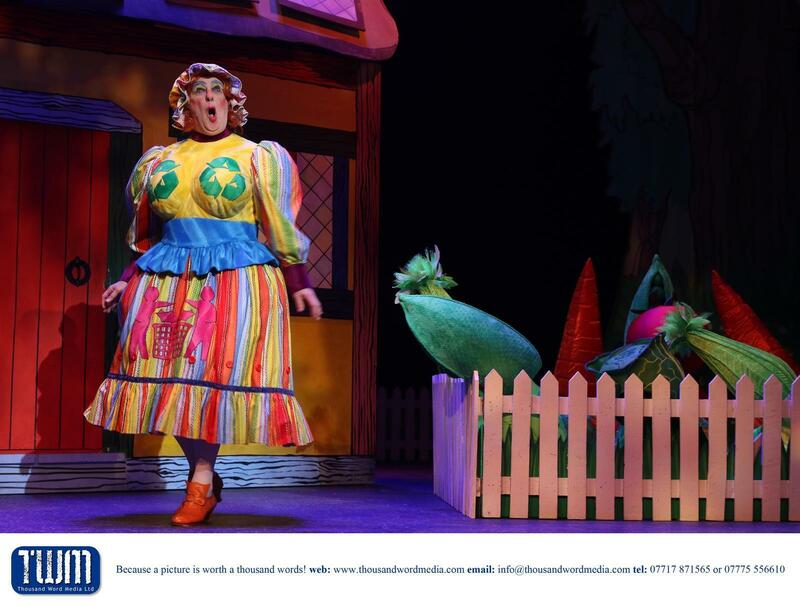 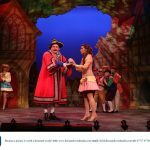 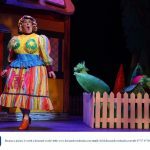 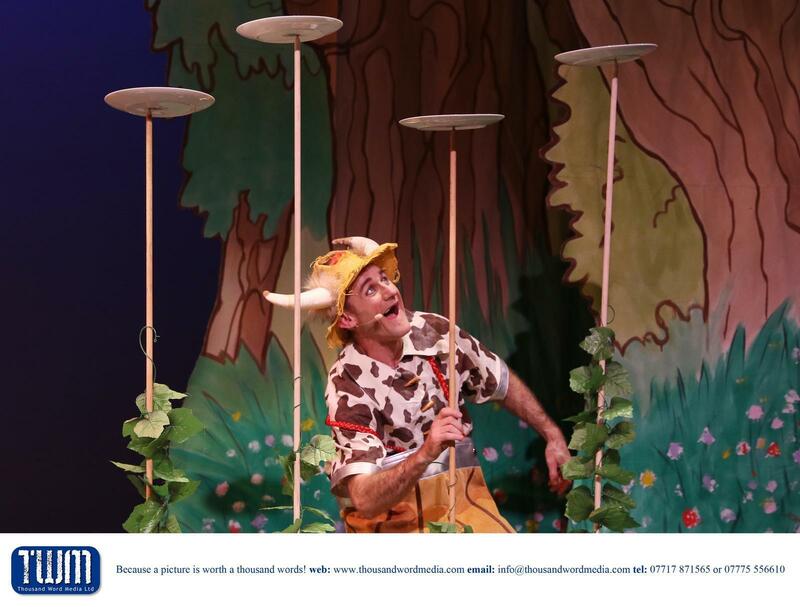 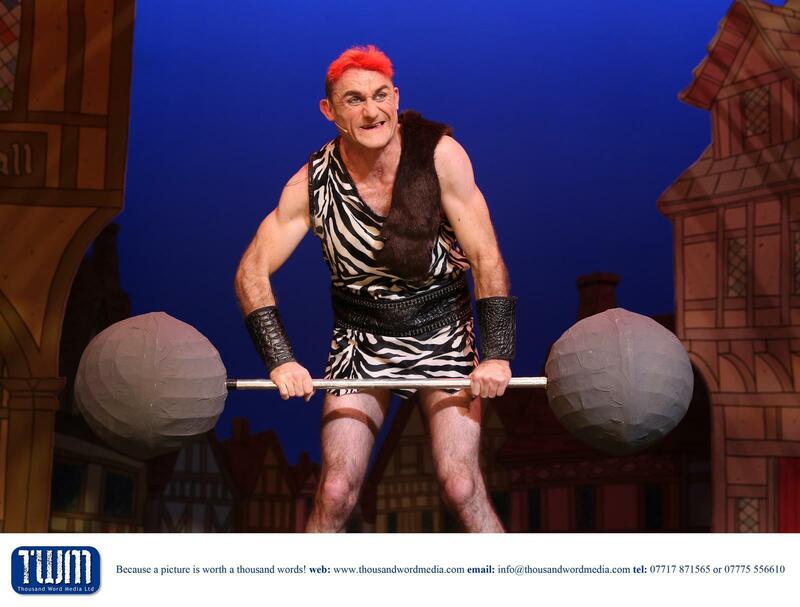 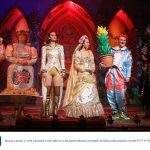 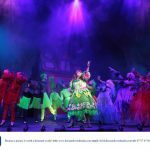 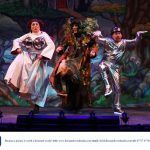 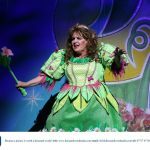 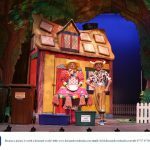 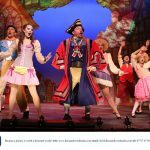 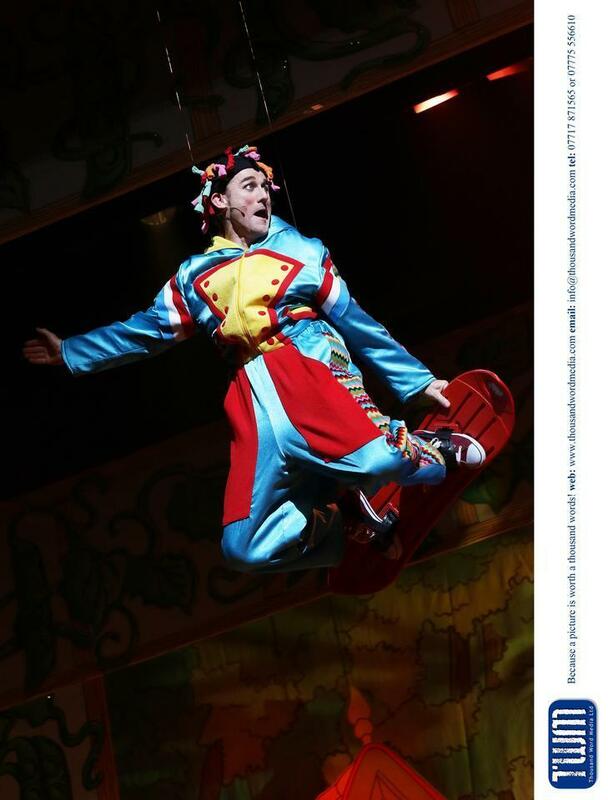 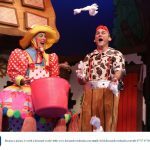 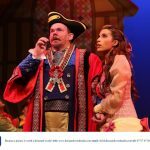 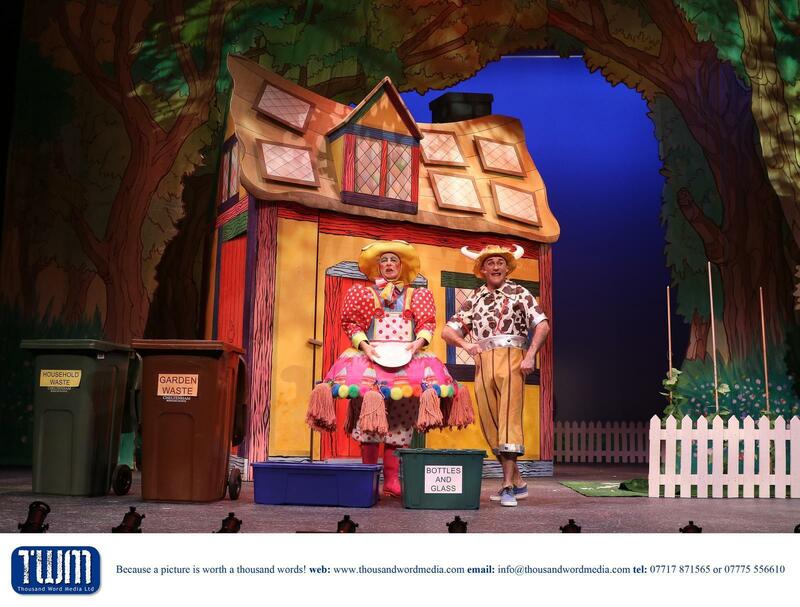 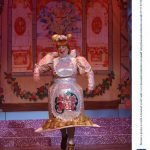 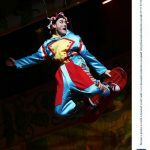 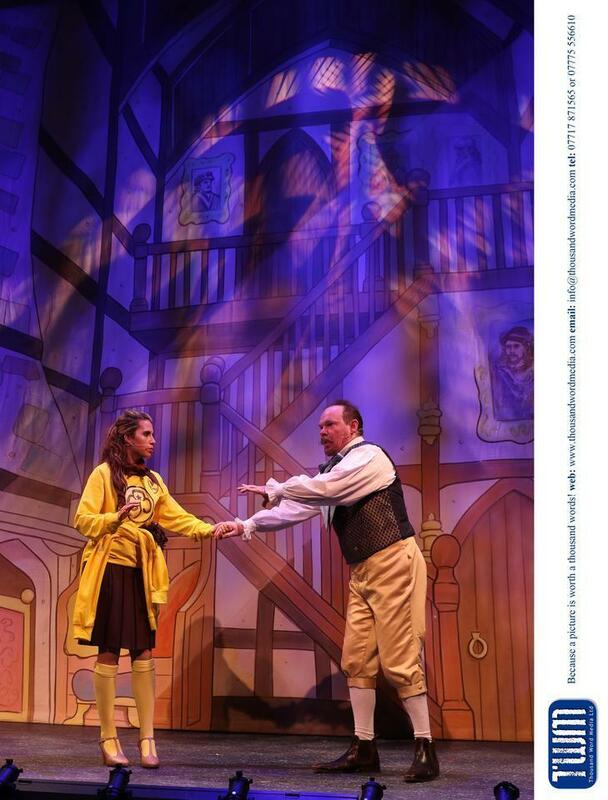 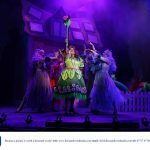 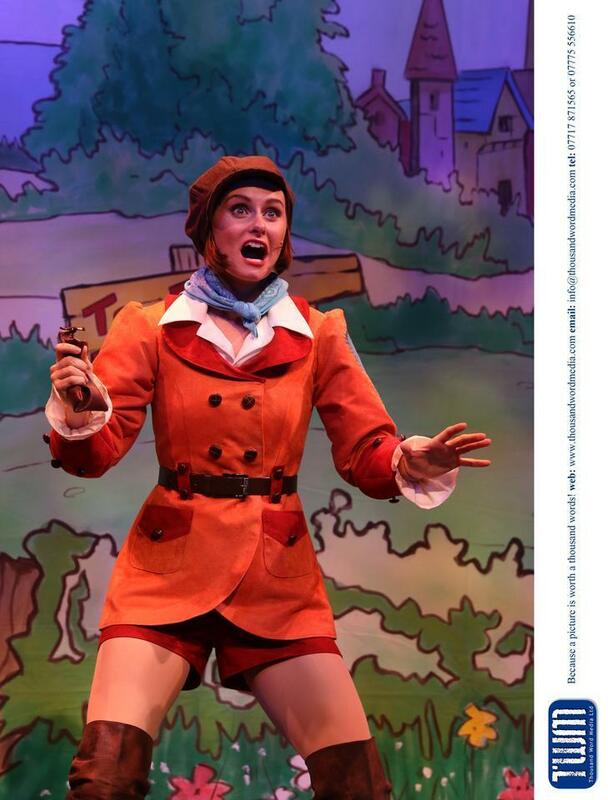 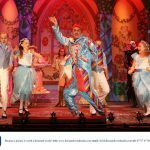 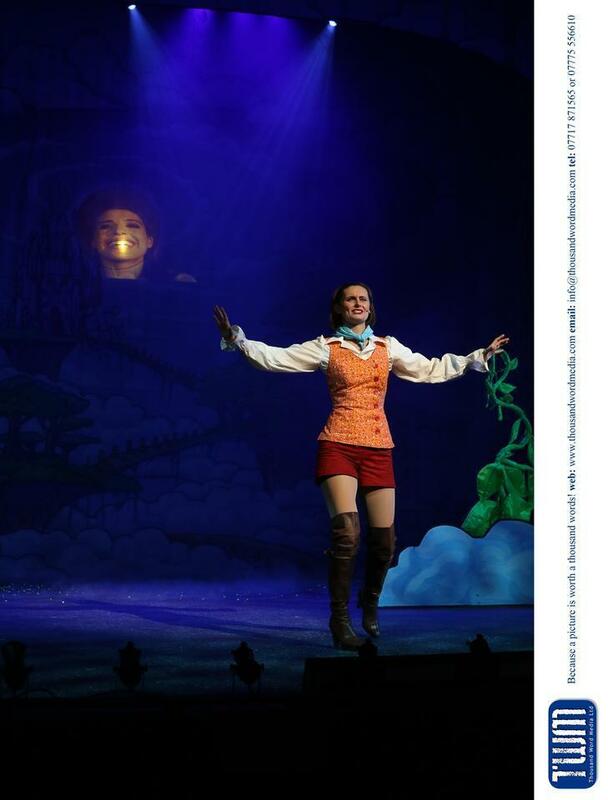 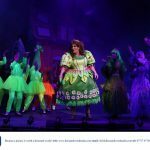 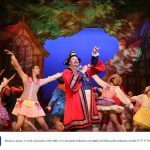 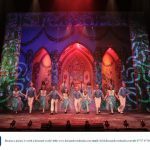 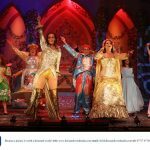 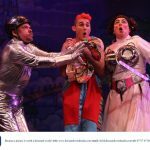 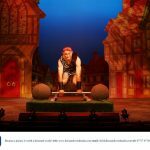 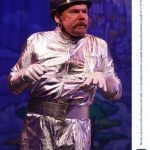 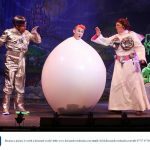 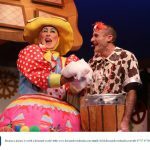 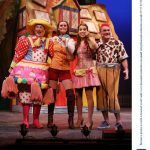 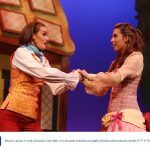 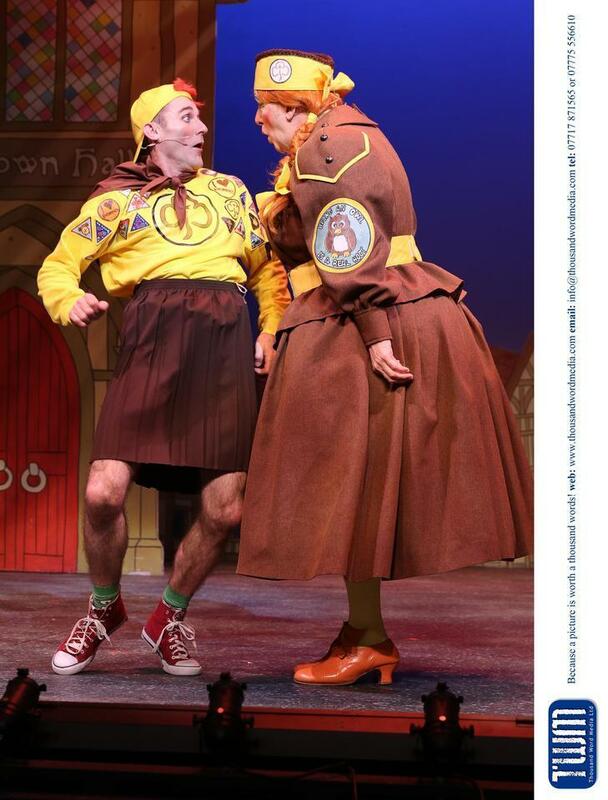 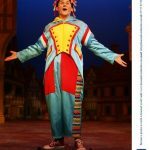 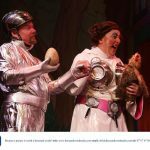 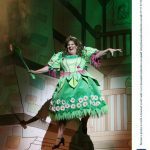 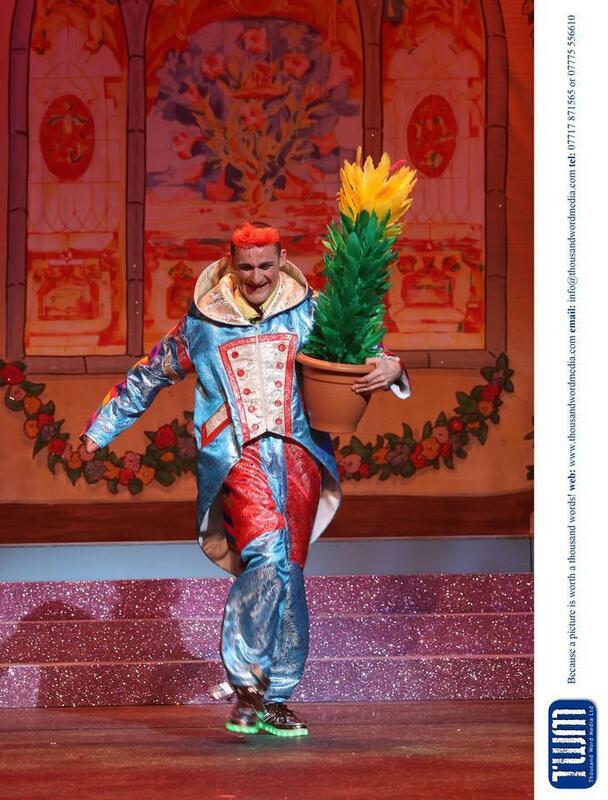 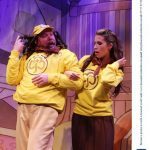 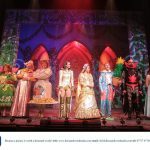 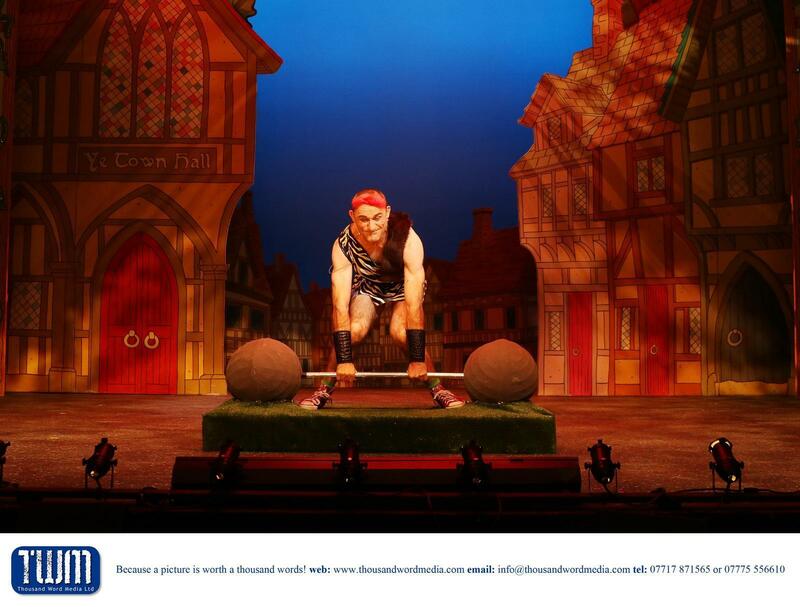 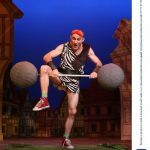 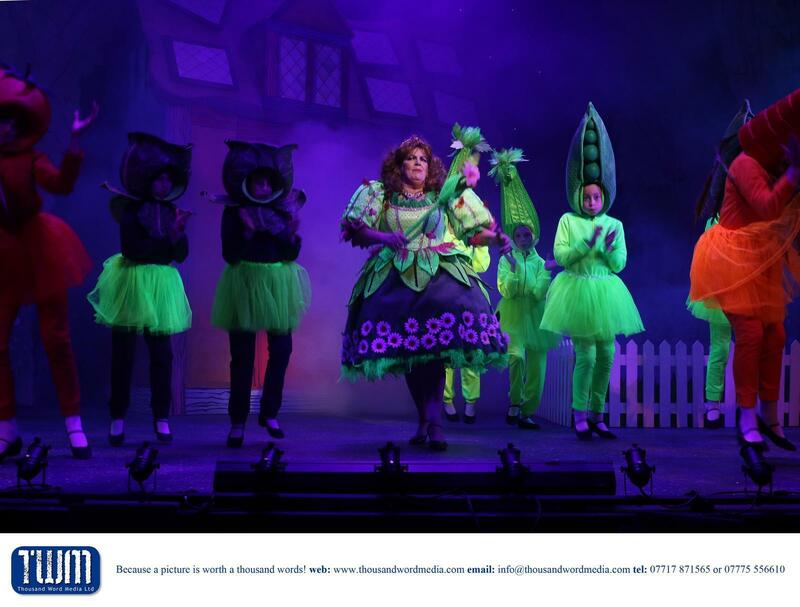 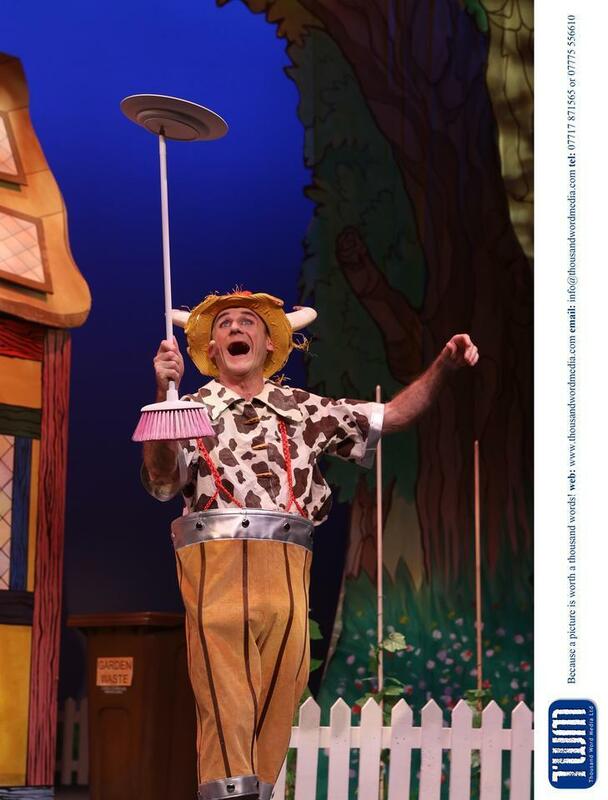 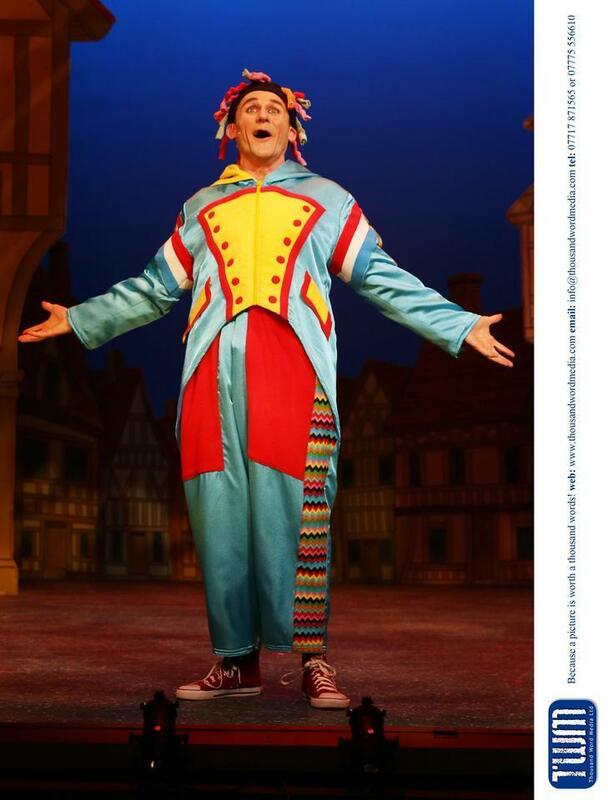 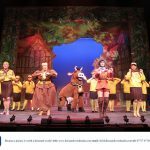 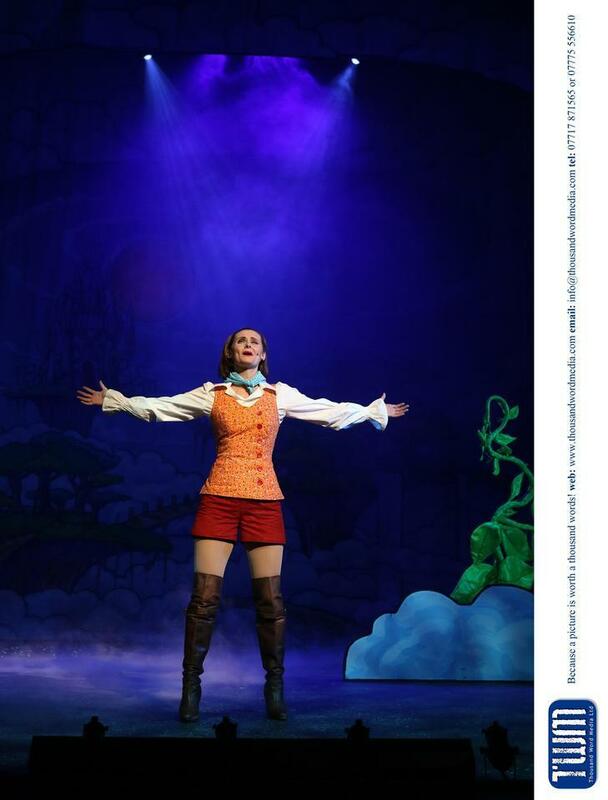 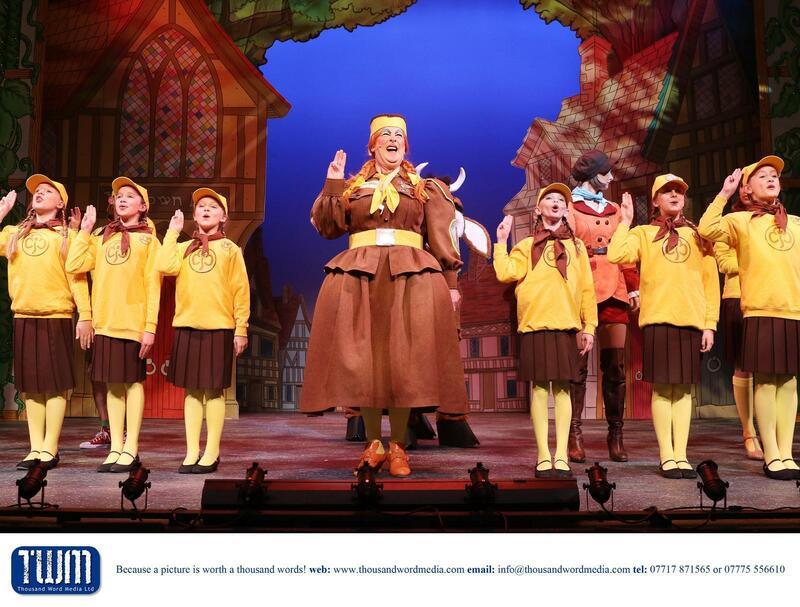 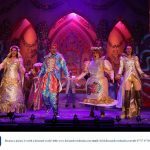 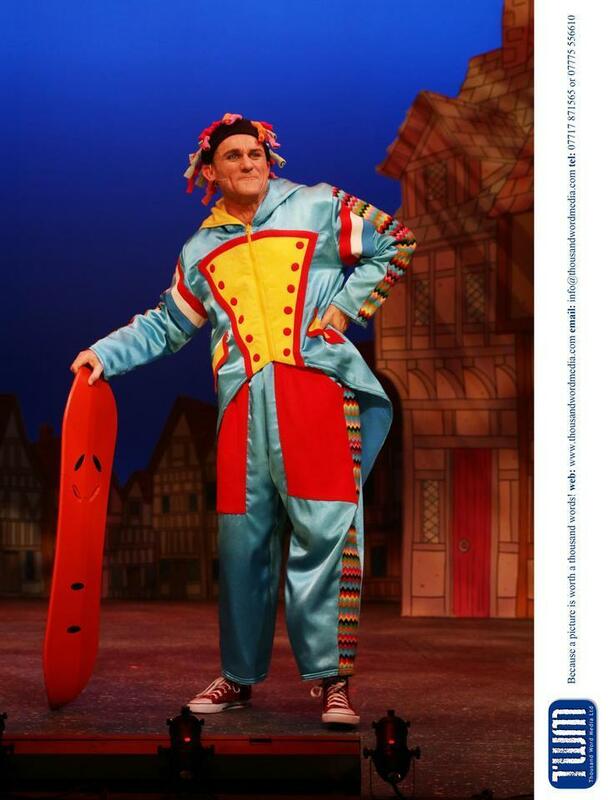 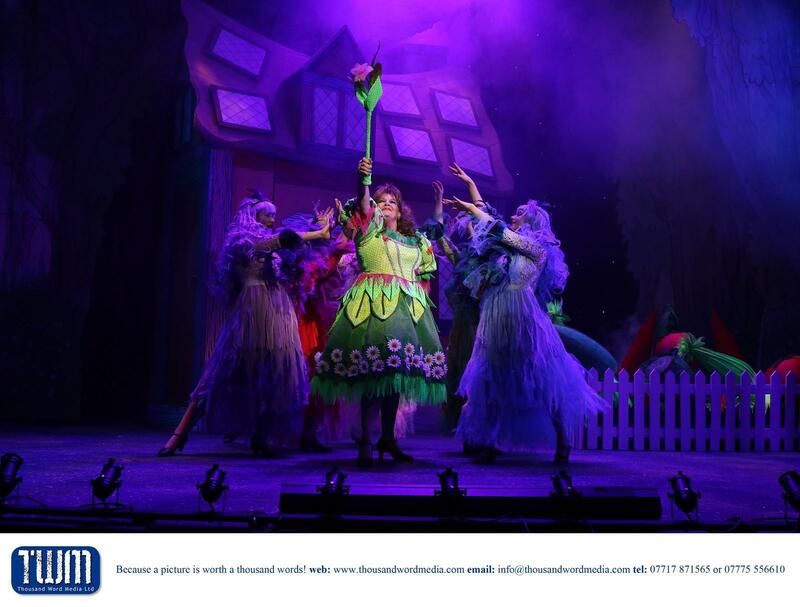 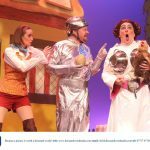 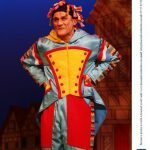 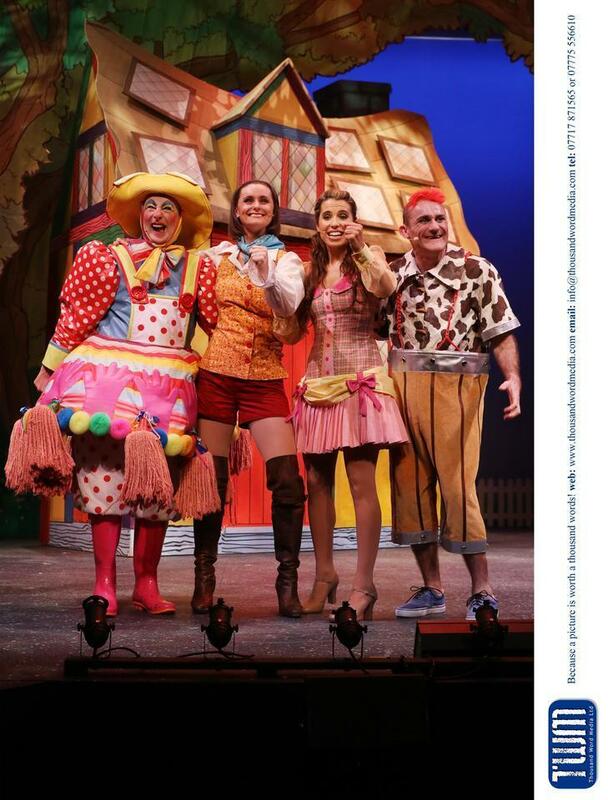 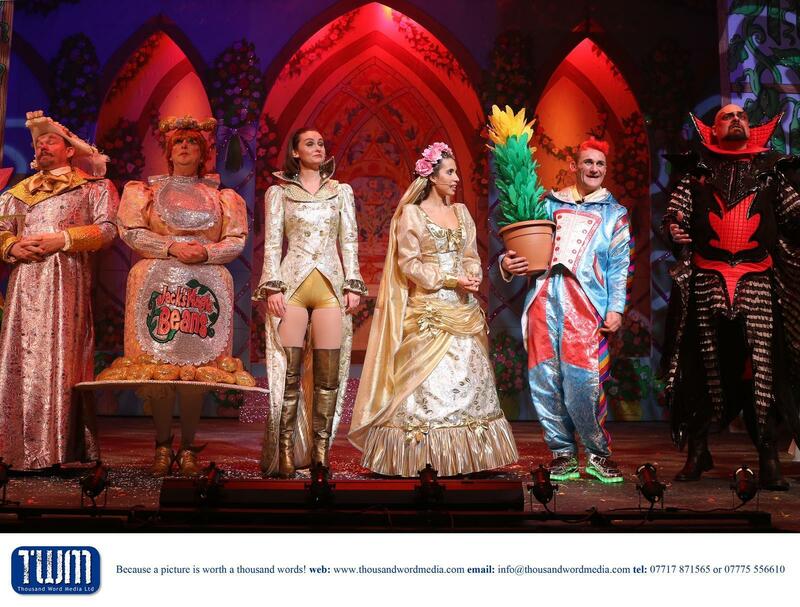 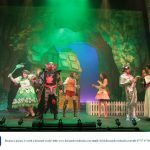 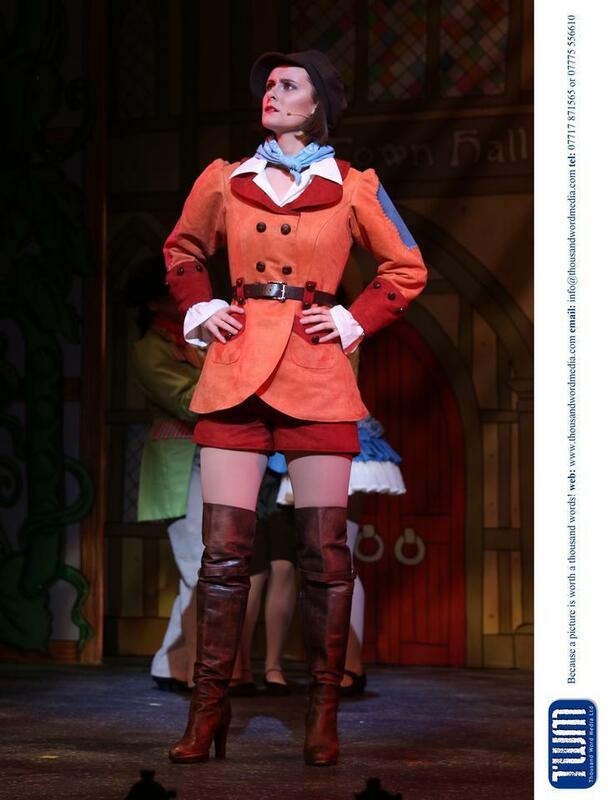 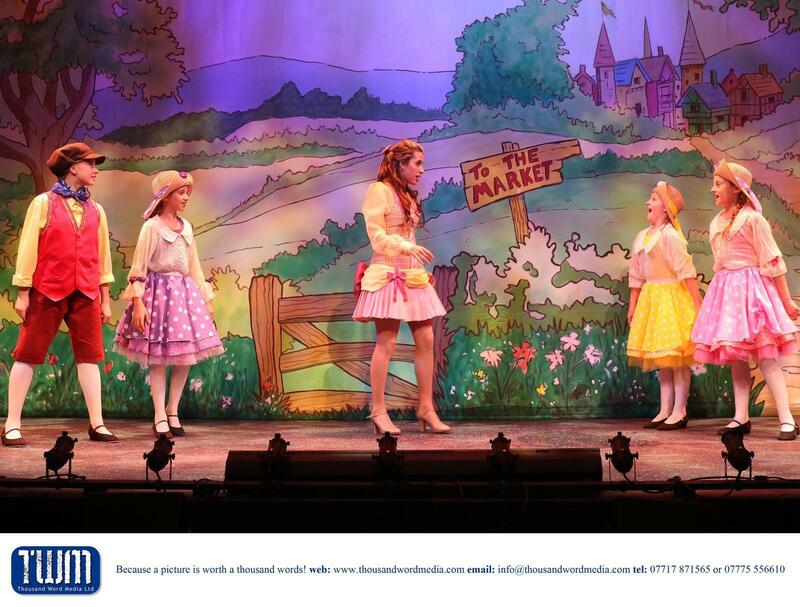 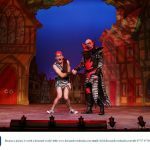 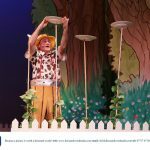 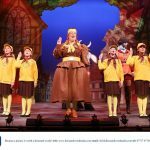 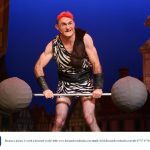 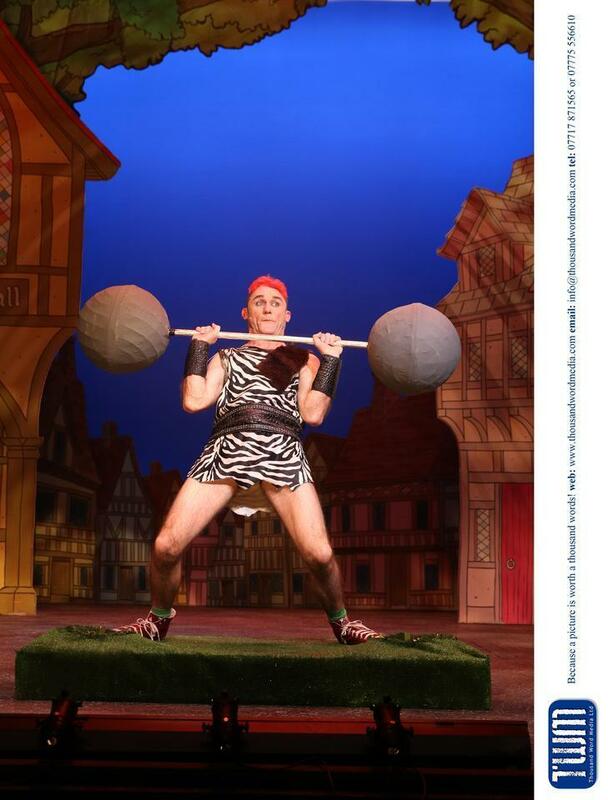 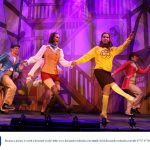 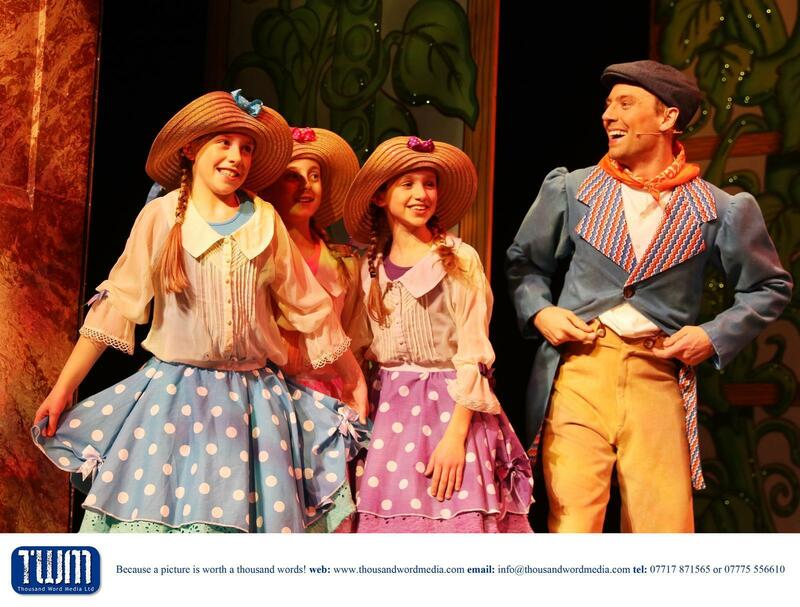 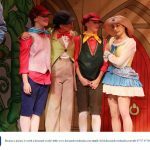 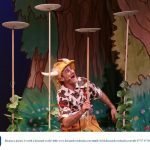 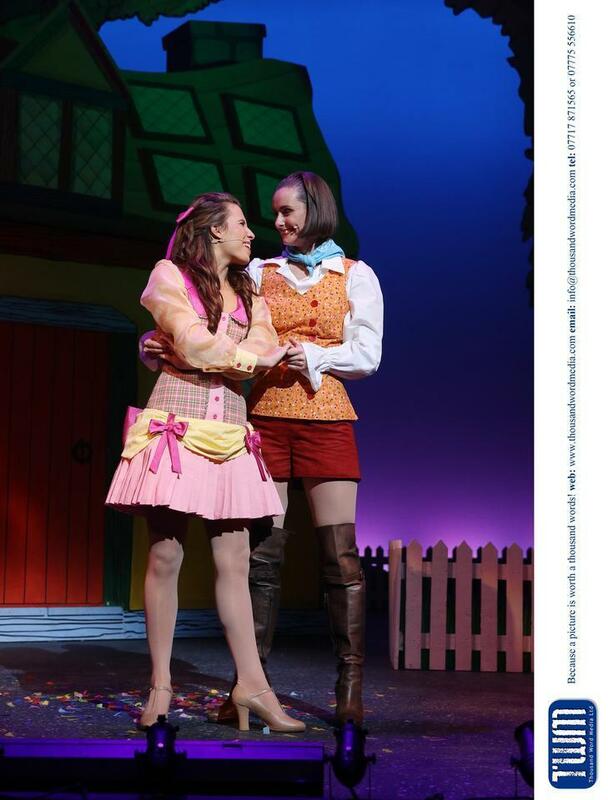 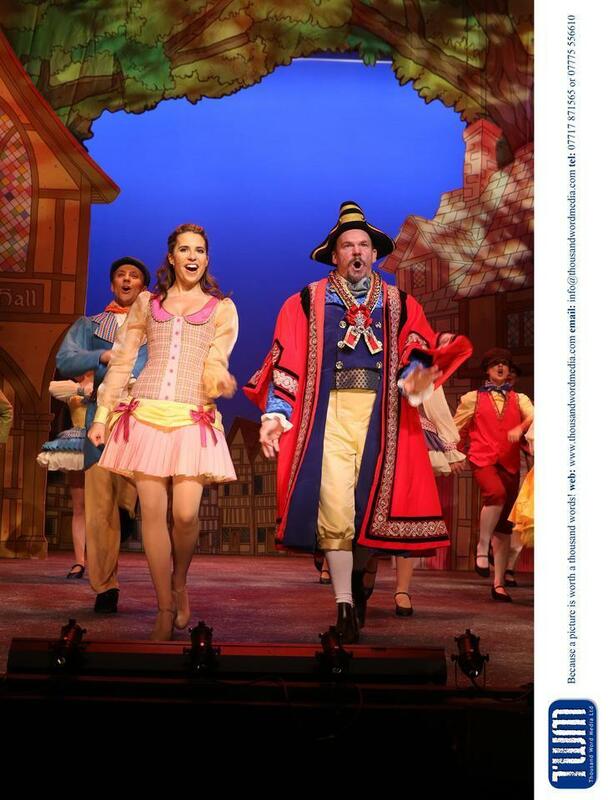 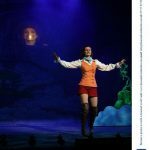 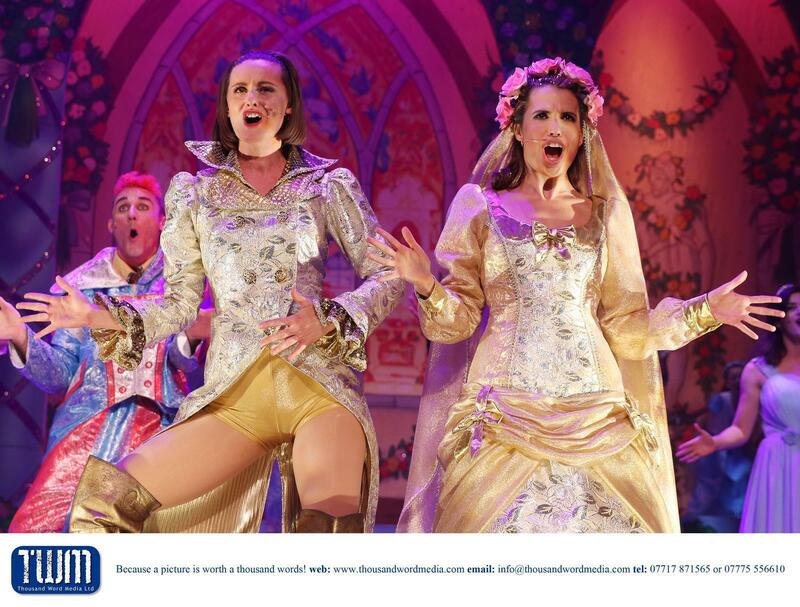 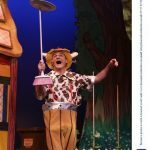 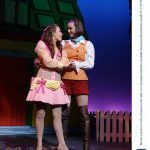 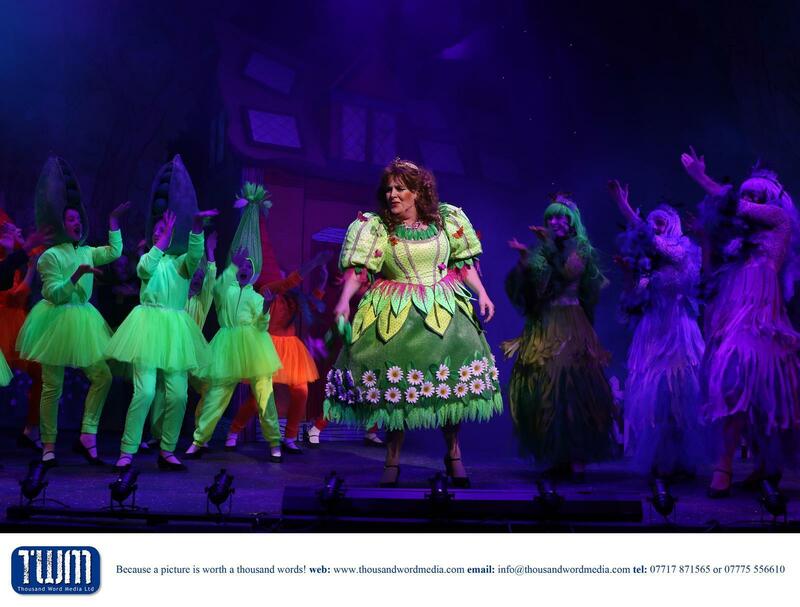 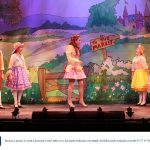 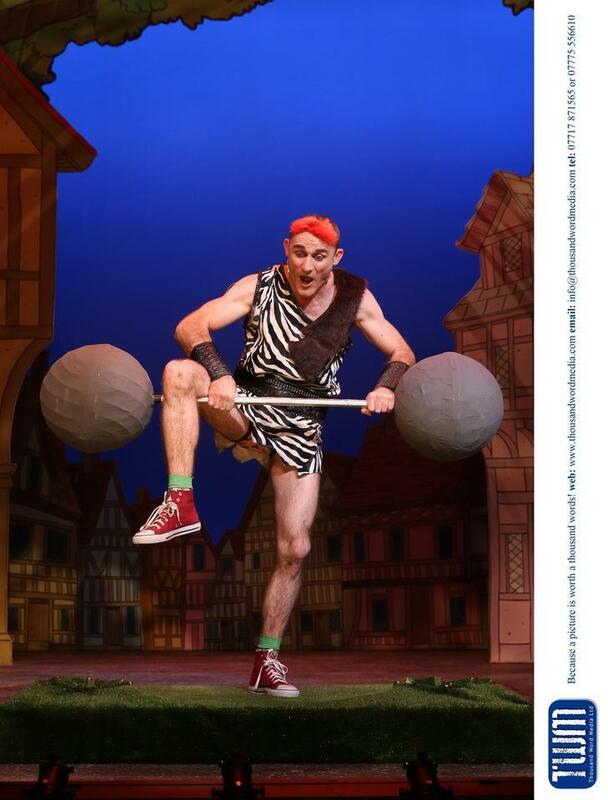 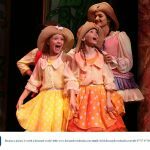 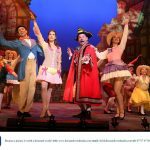 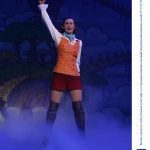 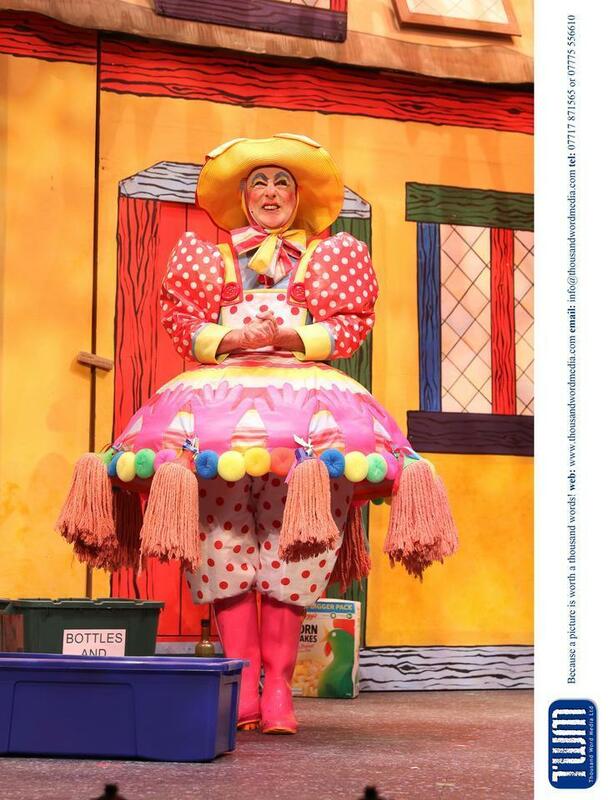 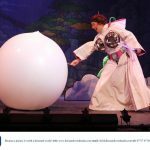 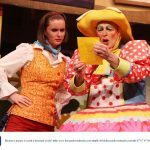 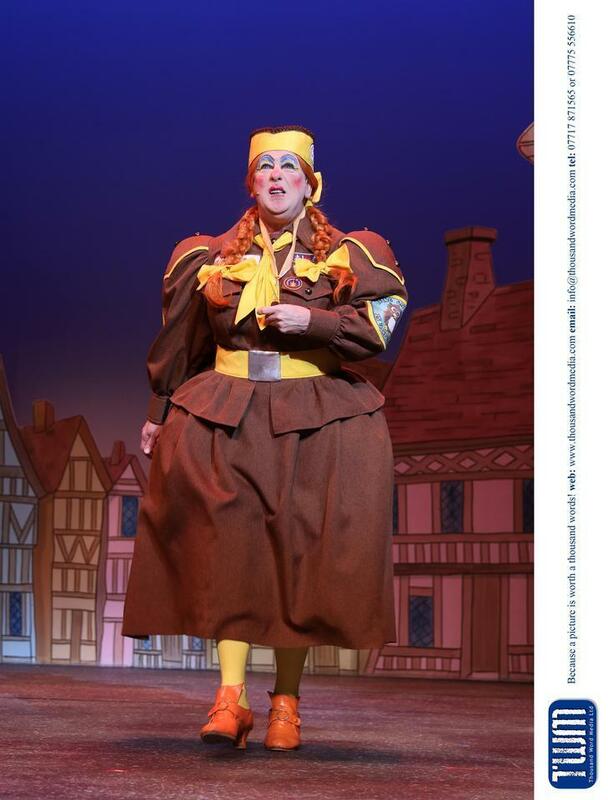 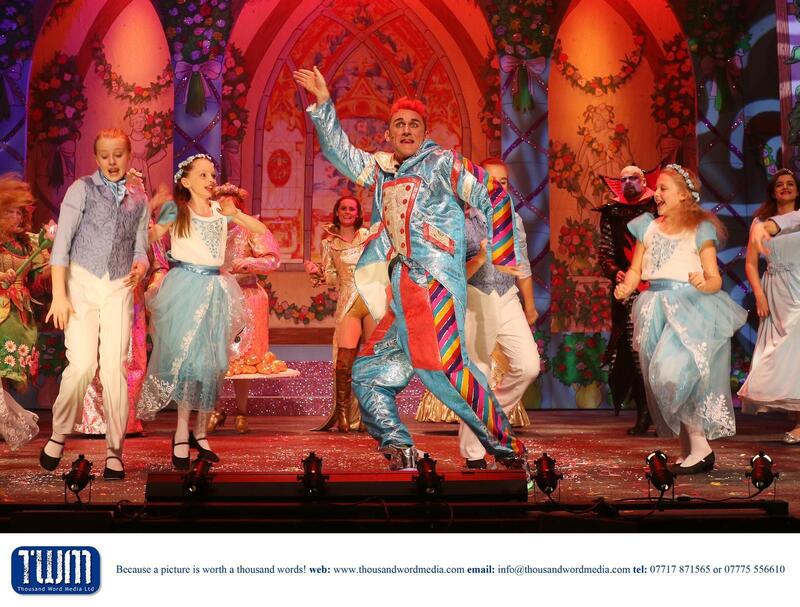 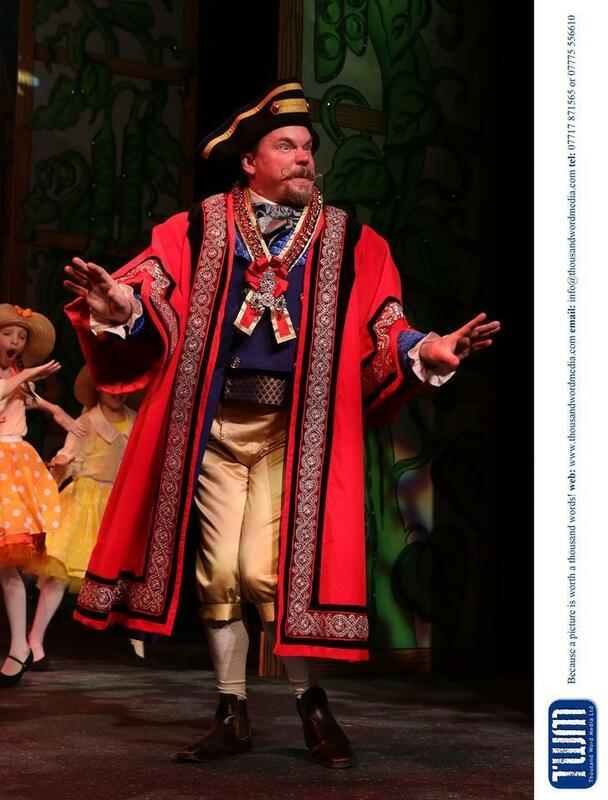 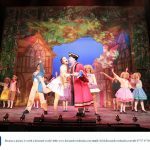 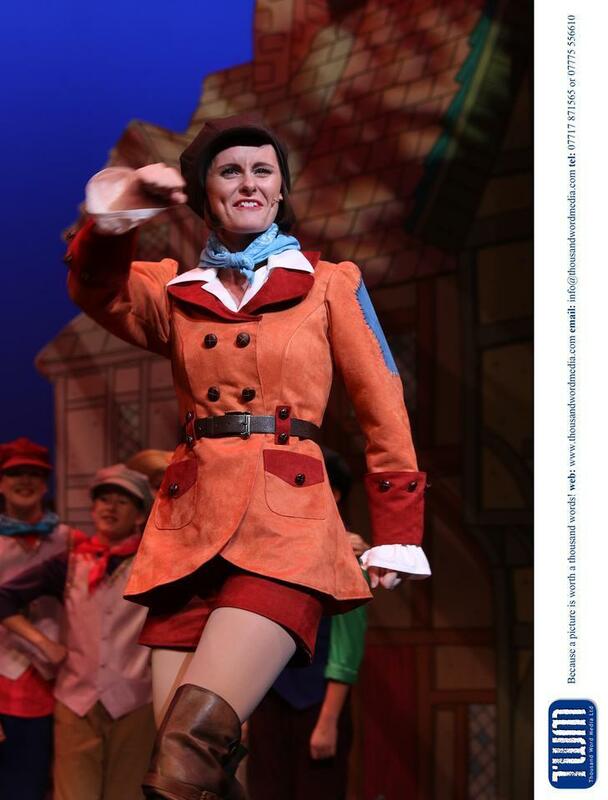 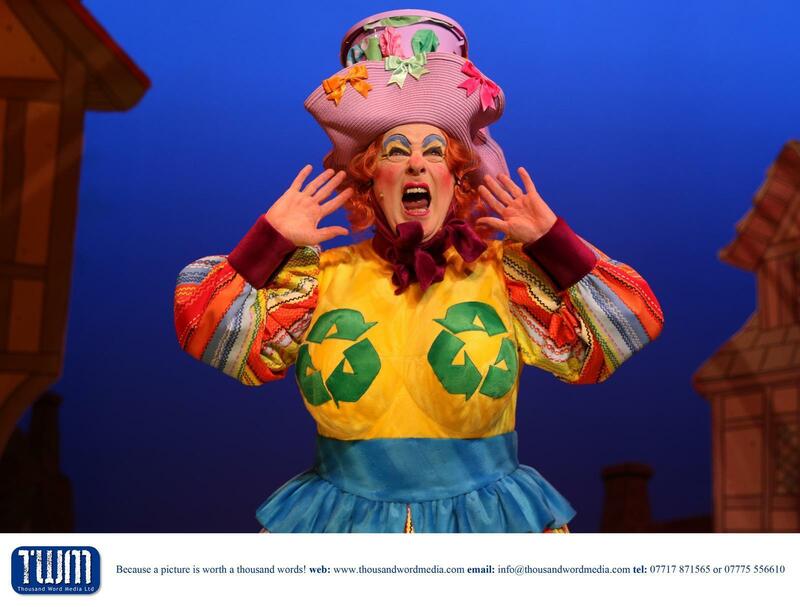 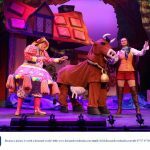 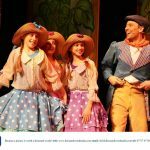 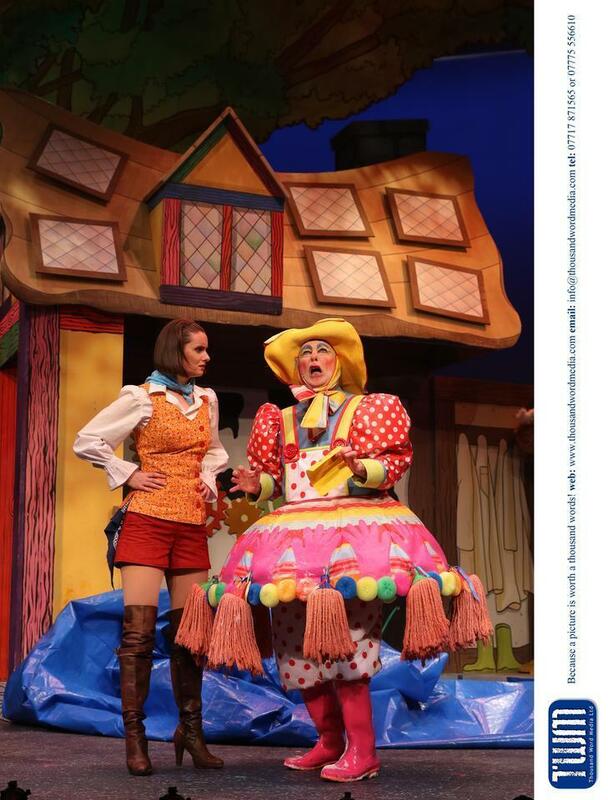 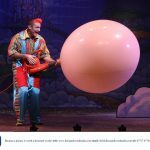 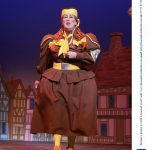 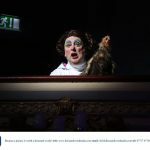 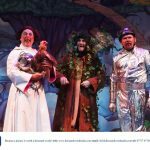 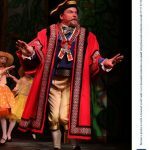 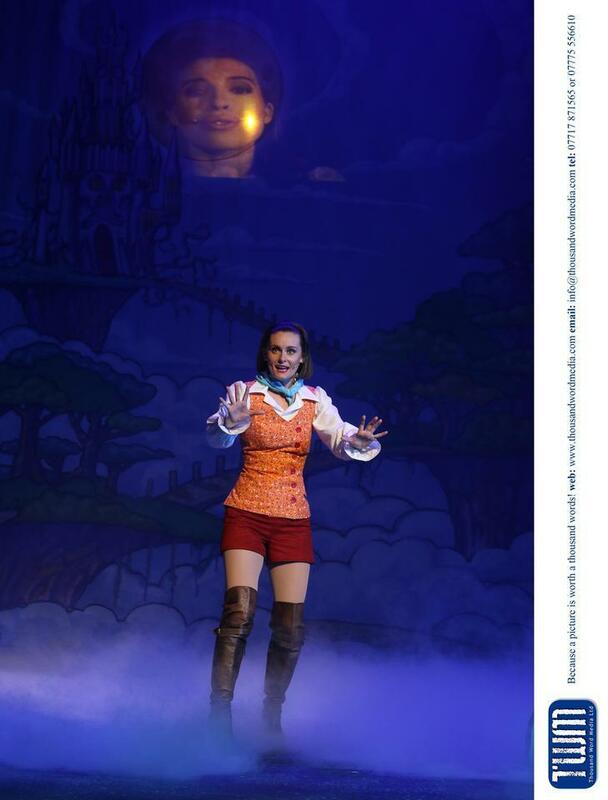 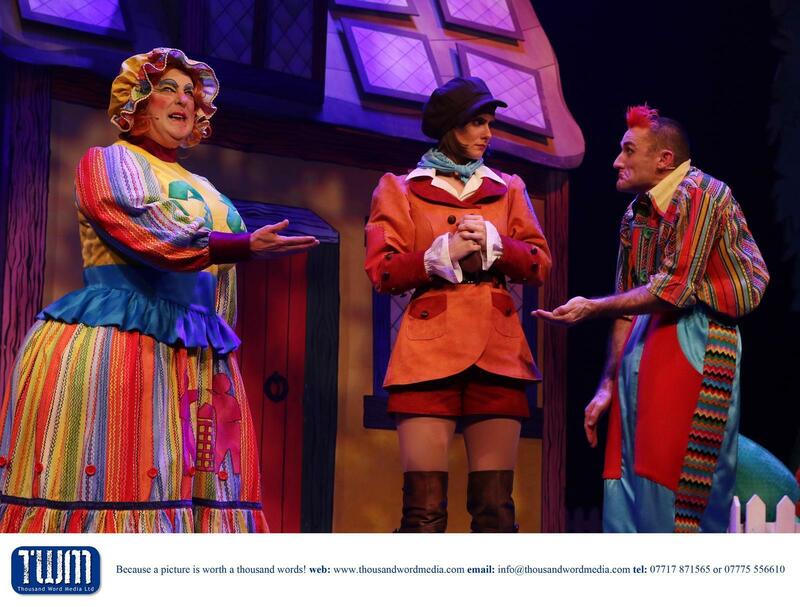 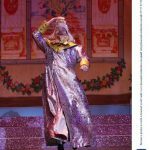 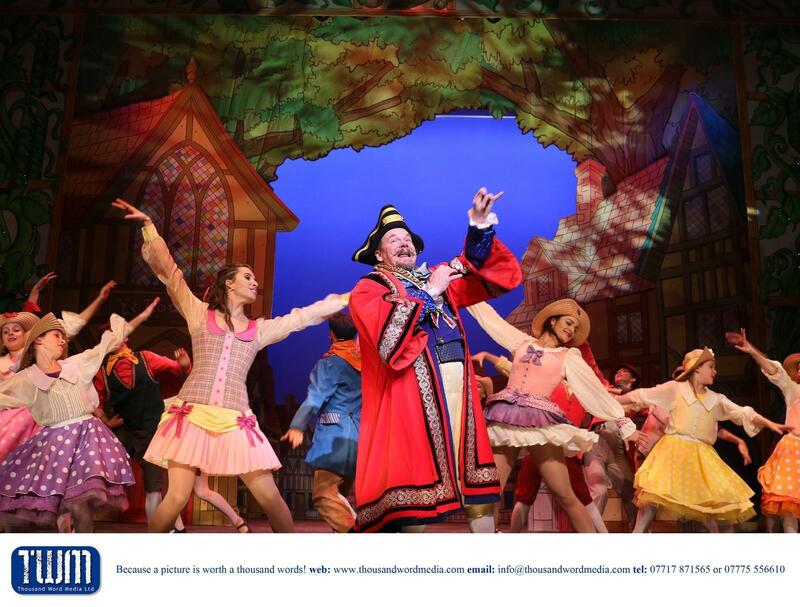 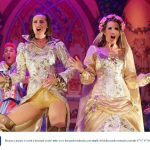 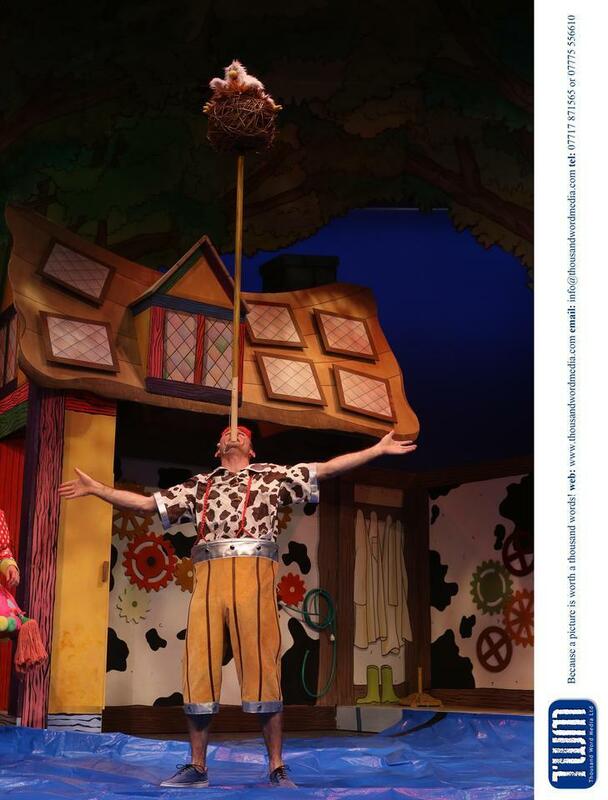 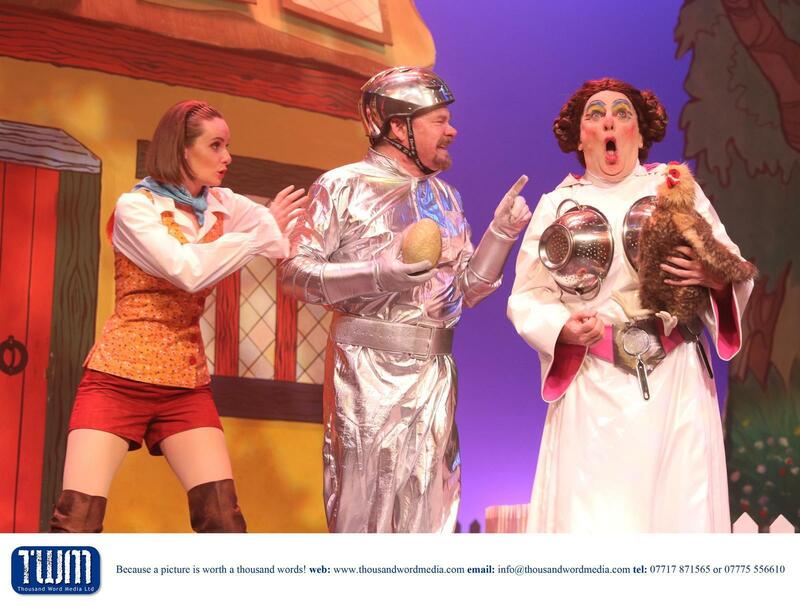 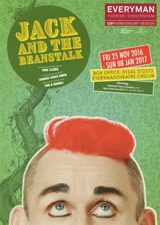 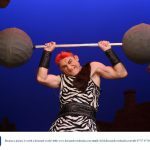 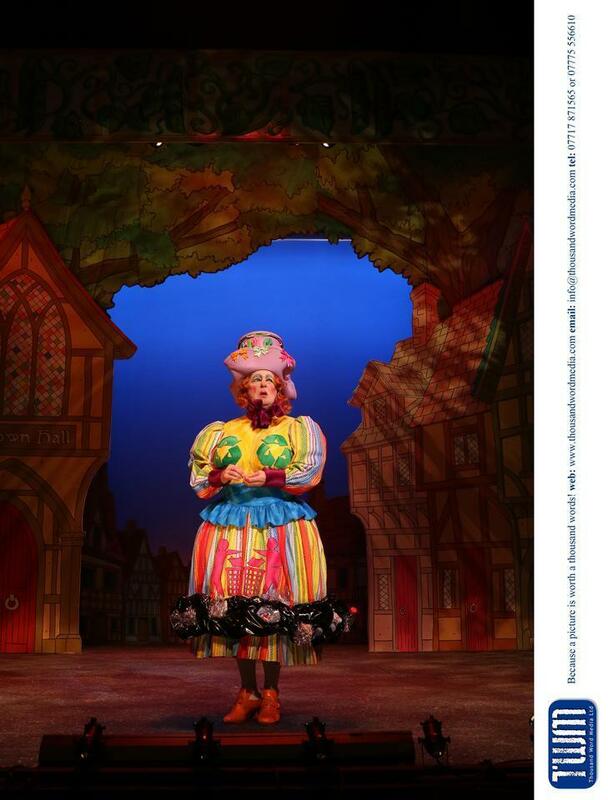 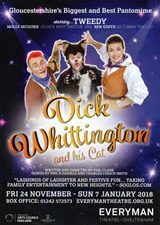 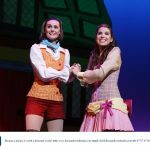 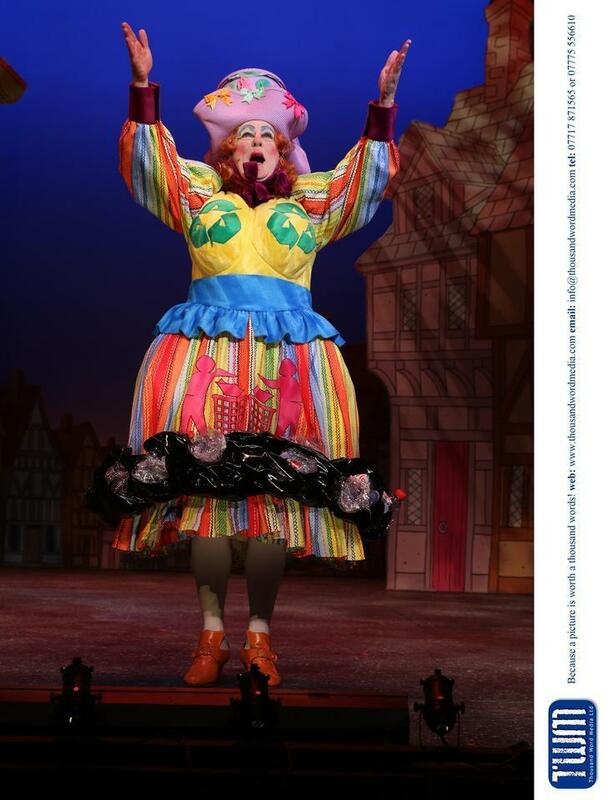 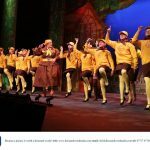 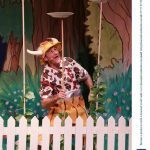 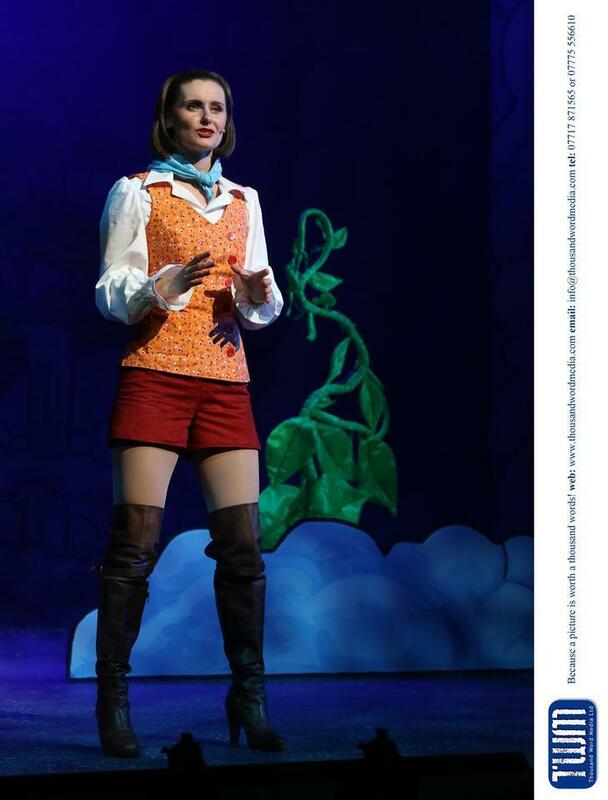 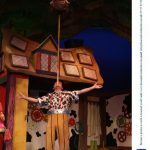 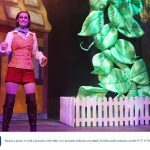 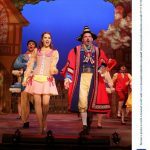 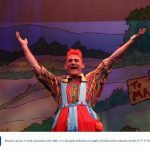 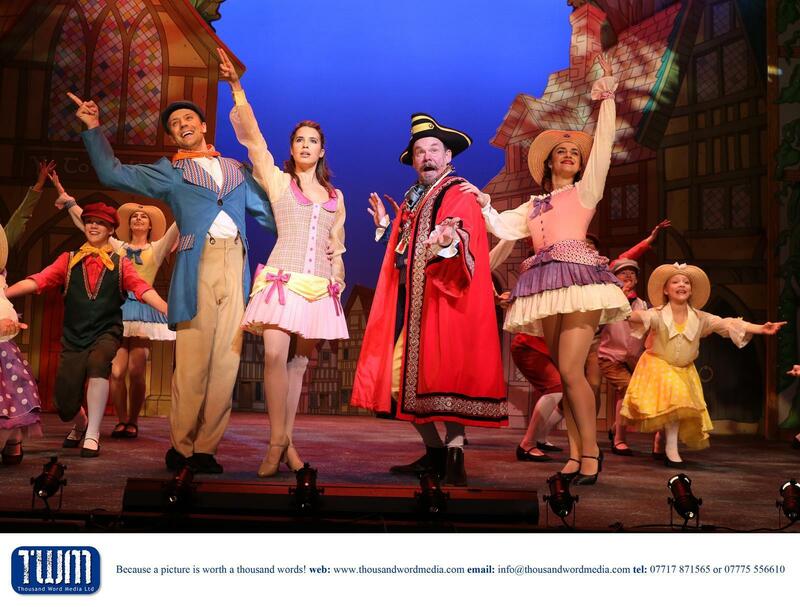 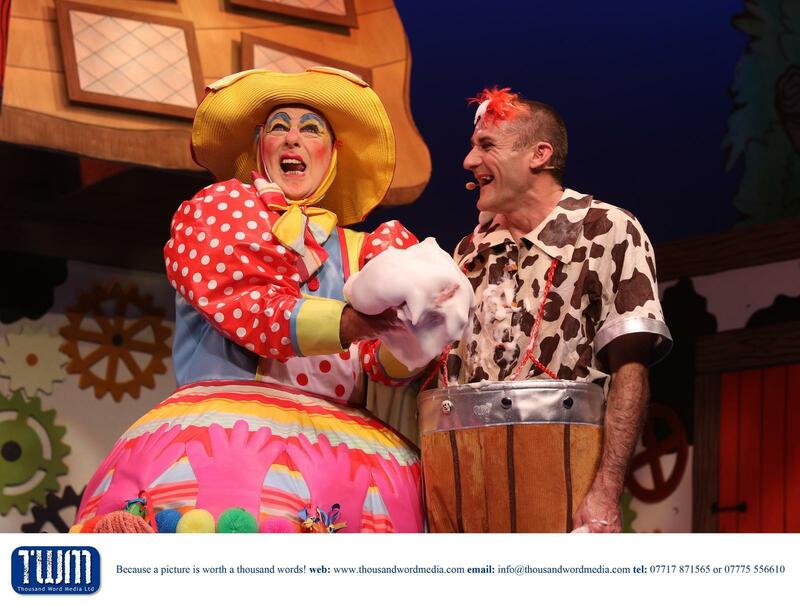 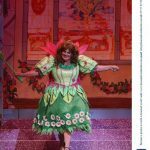 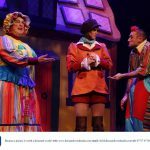 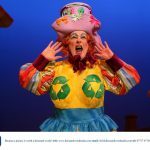 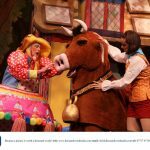 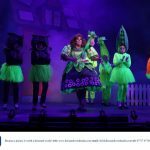 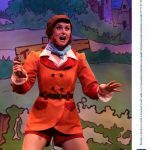 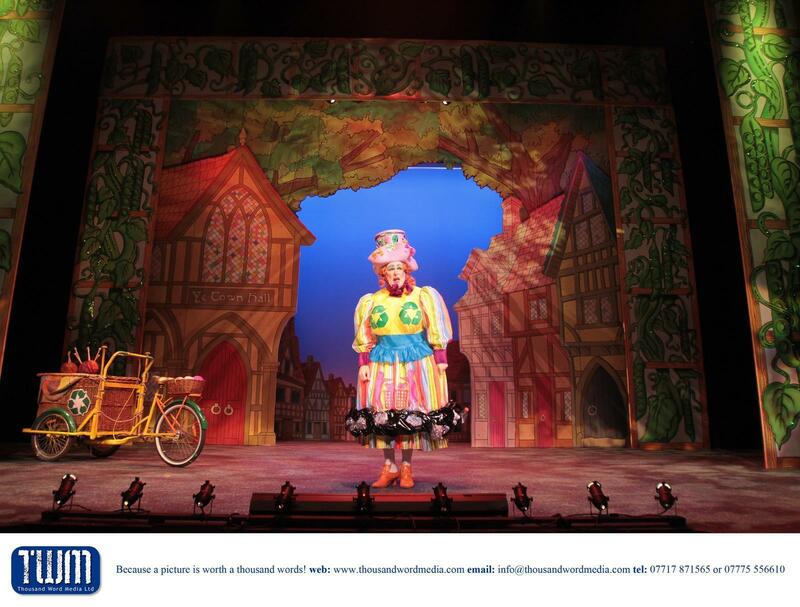 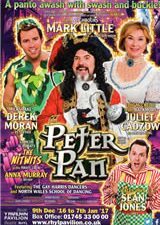 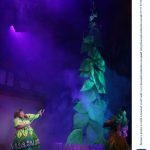 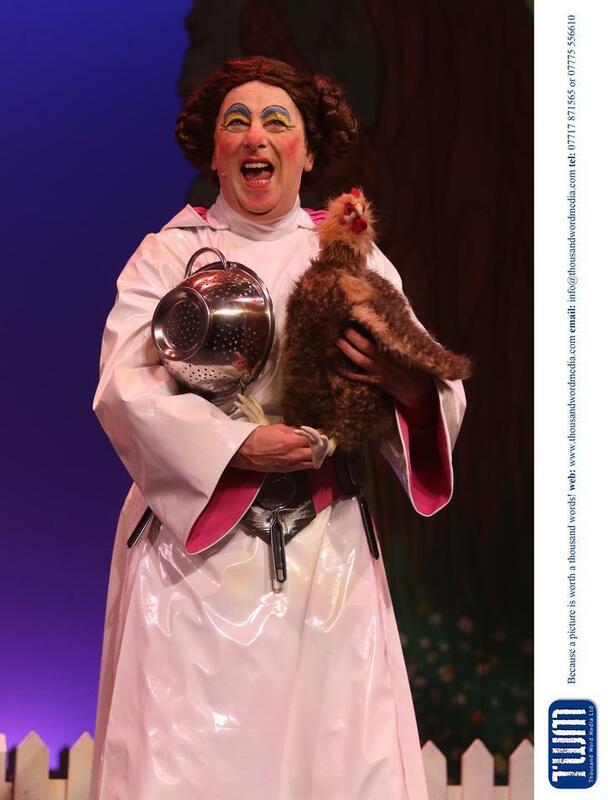 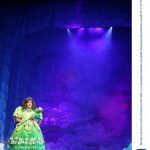 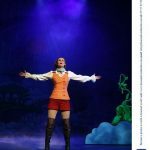 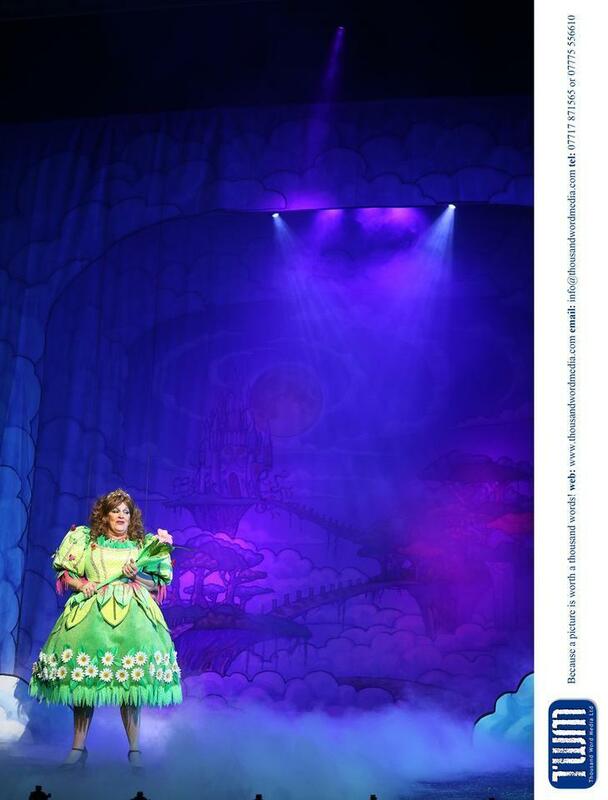 Christmas cheer was sprinkled on Cheltenham theatre-goers old and young on Friday 25 November 2016, when Everyman Theatre’s annual pantomime Jack and the Beanstalk flew onto the stage, quite literally, taking family entertainment to new heights. 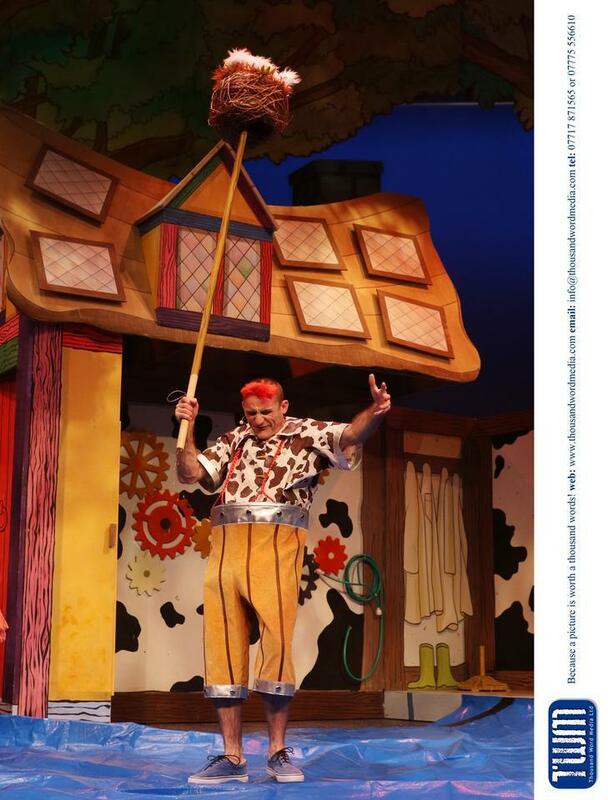 Warming up the crowds was children’s and SoGlos’s favourite, Tweedy the Clown, who got up to his usual mischief with his faithful friend Keith in tow, raising laughs, cheers, and chanting even before the curtain was raised. 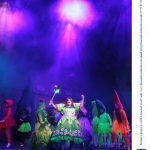 And, the excitement certainly didn’t stop there, with the Eco Fairy getting the night off to a flying start, before the stunning set was revealed in all its glittering glory, and audiences were treated to a lively rendition of ‘Good Morning’. 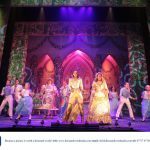 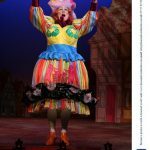 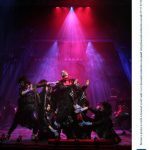 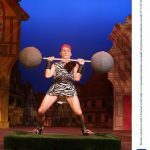 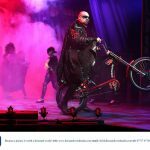 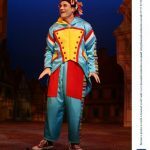 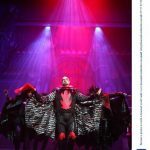 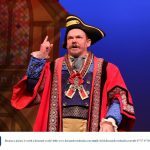 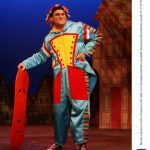 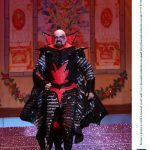 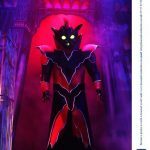 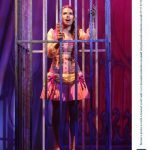 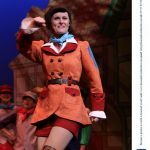 Everyman Theatre’s most gigantic pantomime yet offered larger than life sets, dazzling costumes, and sensational musical numbers. 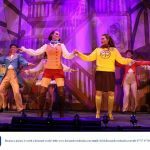 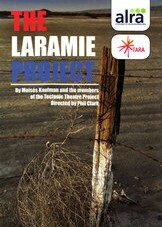 The tempo was set for a fast-paced, festive, and downright funny show, which had little and big kids giggling throughout. 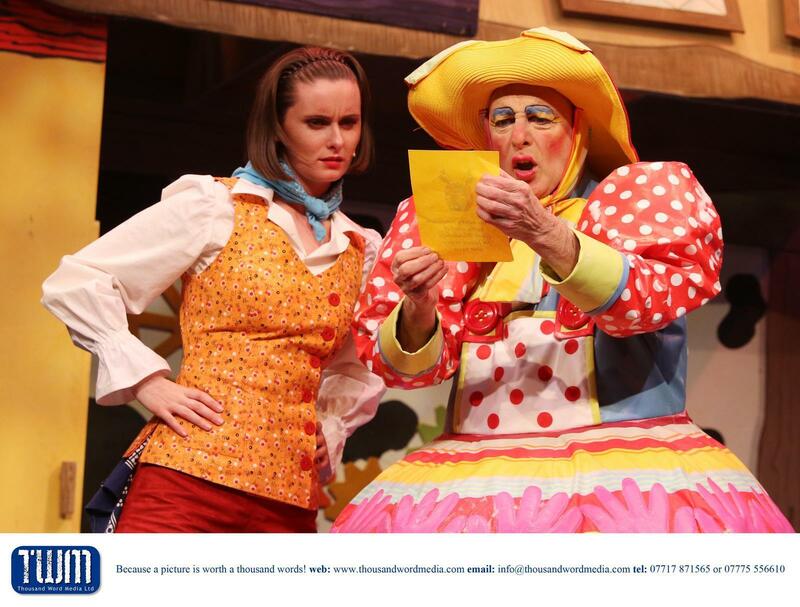 Returning as a dynamic duo for another year, Sillie Billie Tweedy and Dame Trott, played by panto veteran William Elliot, offered slapstick, silly stunts, and an endless stream of jokes. 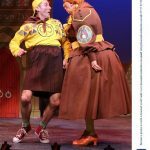 And, while it might have gone over the children’s heads, topical Brexit and Trump banter certainly got plenty of laughs from older members of the audience. 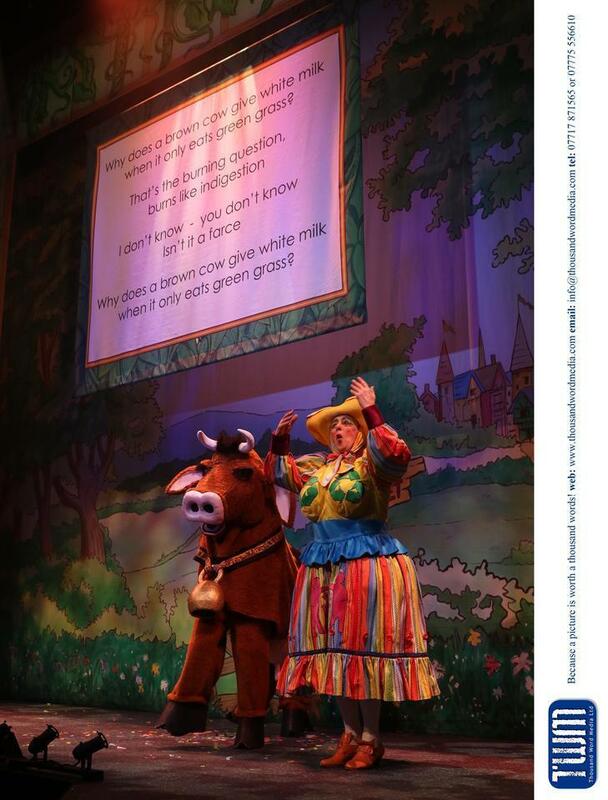 Bringing beauty and grace to the stage, and countering the chaotic tone set by Tweedy and Dame Trott, which included some very messy milking of a cow, and plate smashing to ‘Zorba the Greek’, Jack and Jill, played by Frankie Jones and Natalie Taylor Gray respectively, made a delightful pair. 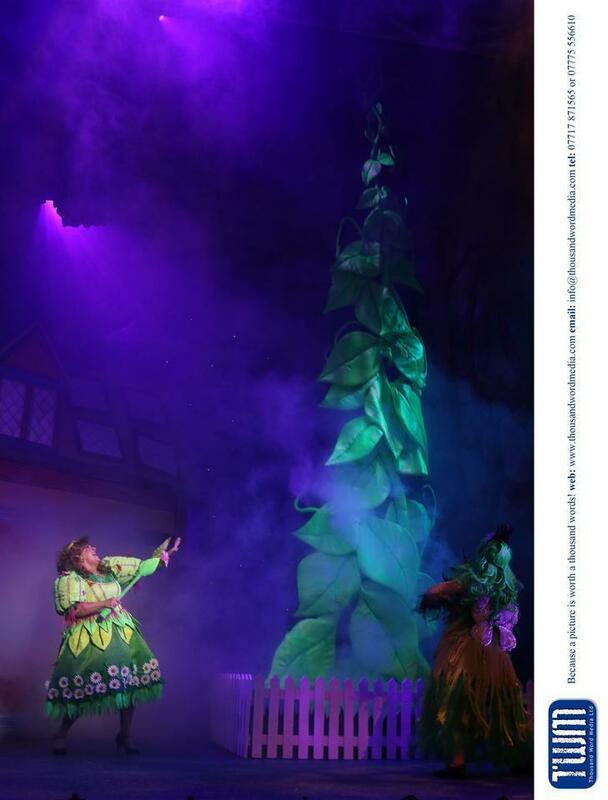 The delightful duet of ‘Can’t Stop The Feeling’ had everyone singing along, while Jack’s ‘Fight Song’ during an ascent up the towering beanstalk into Cloud Cuckoo Land finished the first half on a definite high. 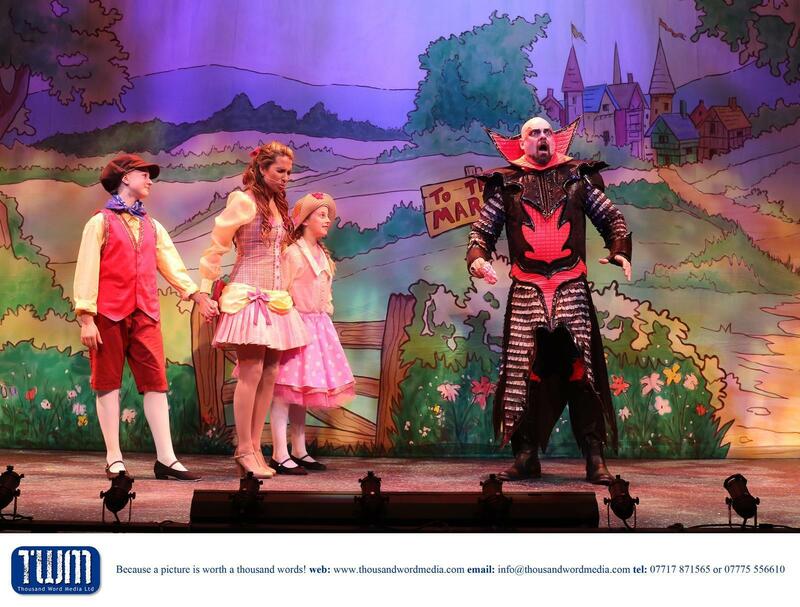 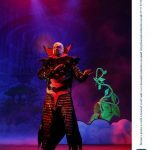 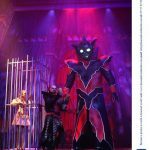 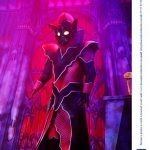 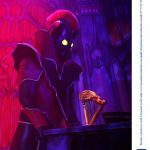 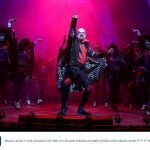 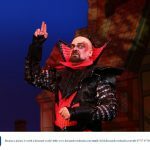 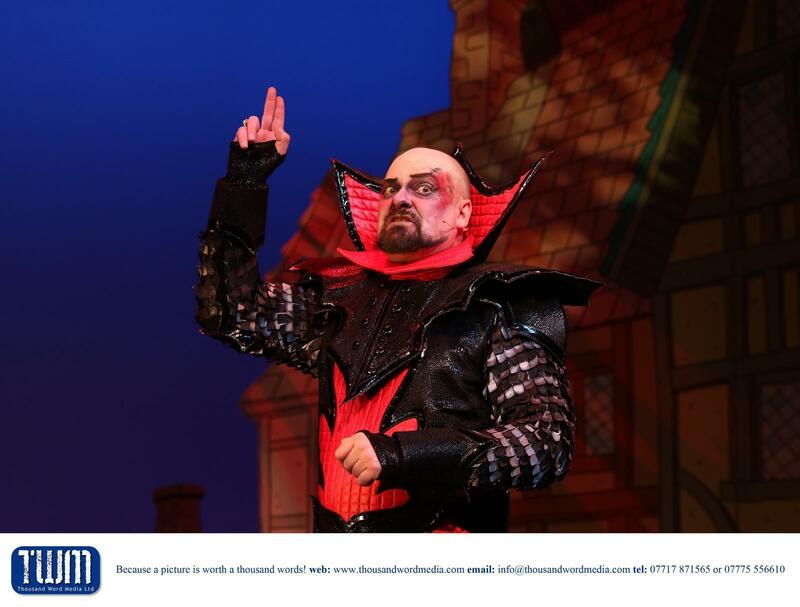 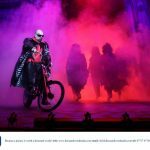 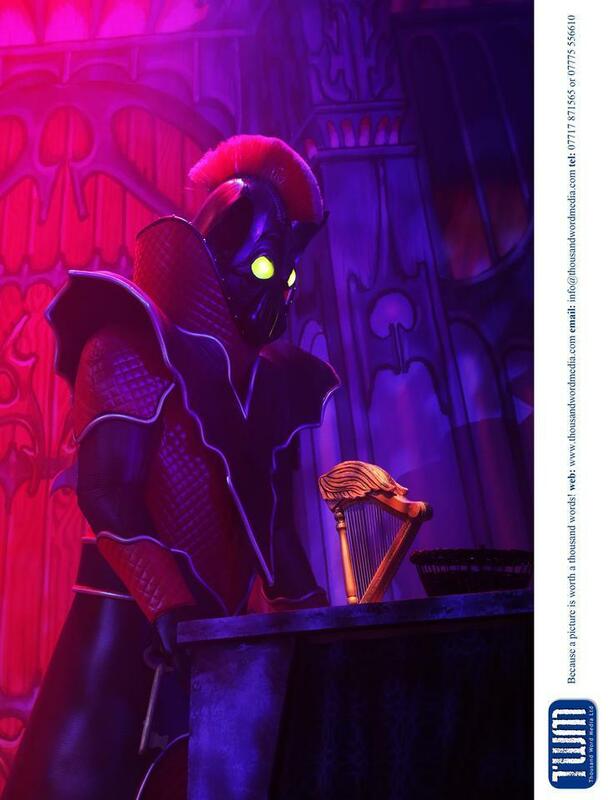 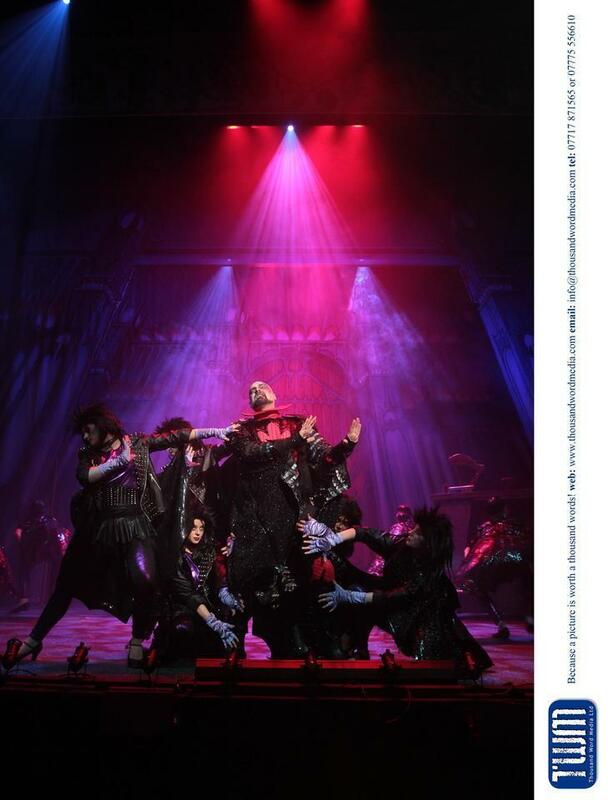 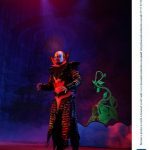 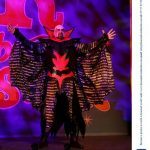 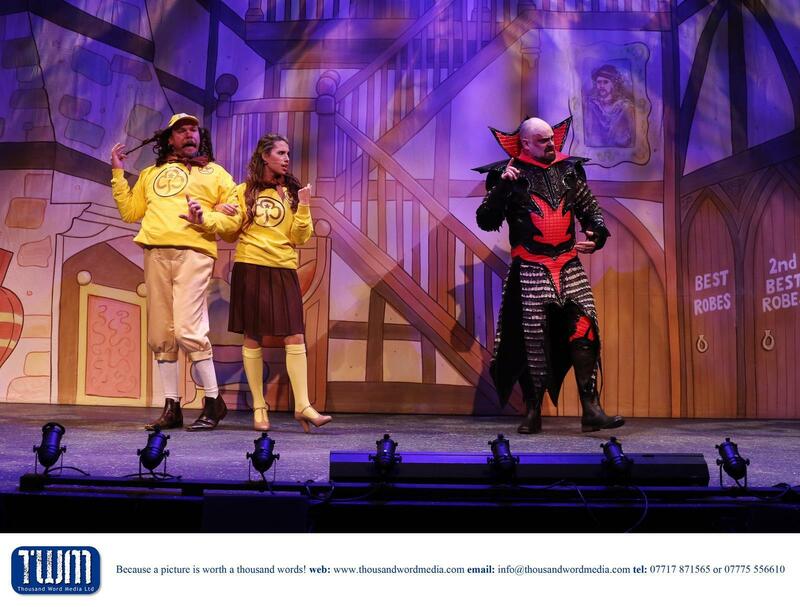 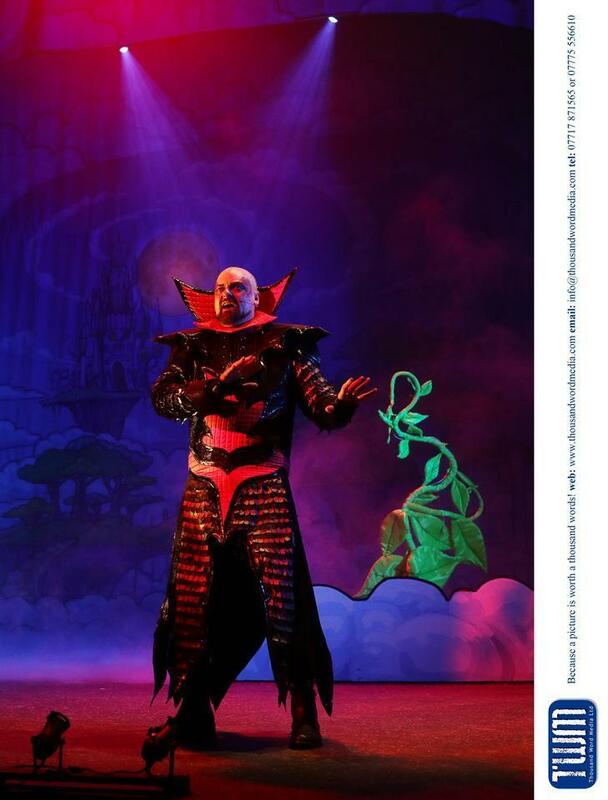 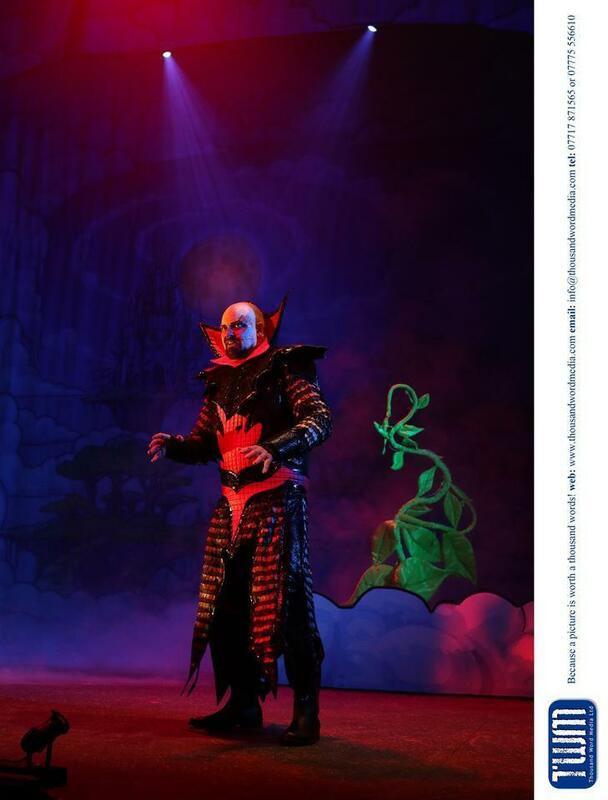 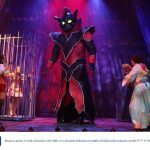 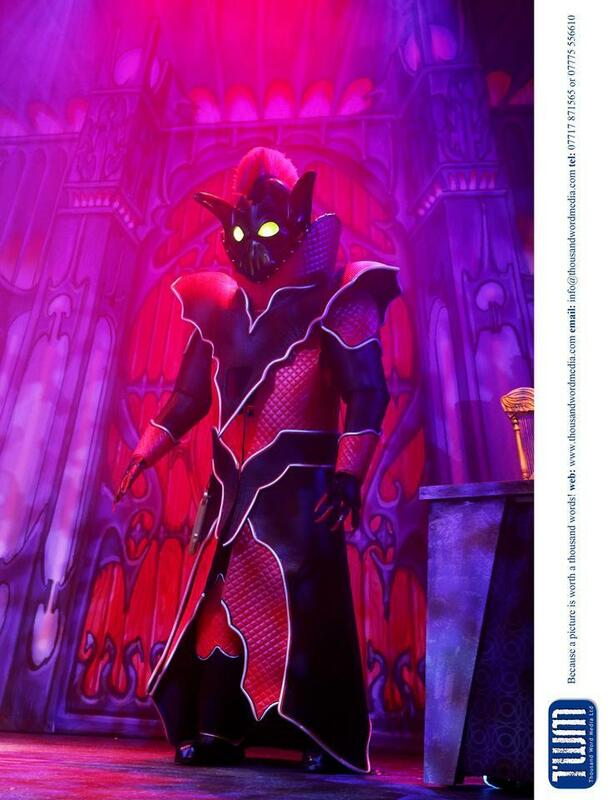 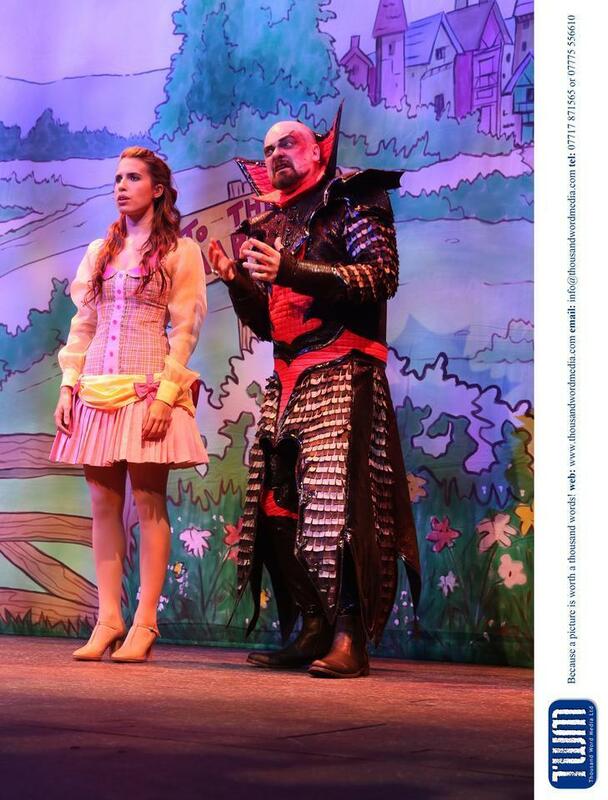 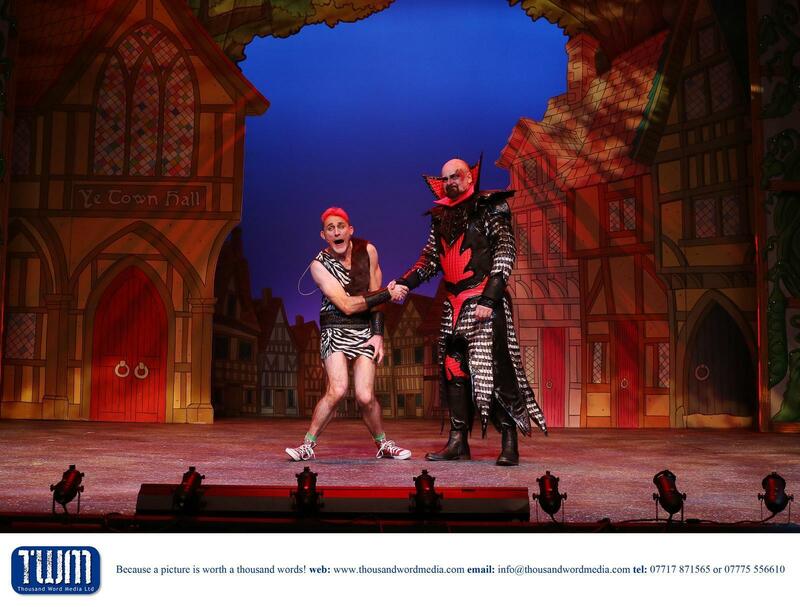 An essential ingredient for any pantomime, token villain Fleshcreep didn’t only cue boos and hisses, but had children standing up and making ‘loser’ gestures – a sign of his terrifically villainous performance. 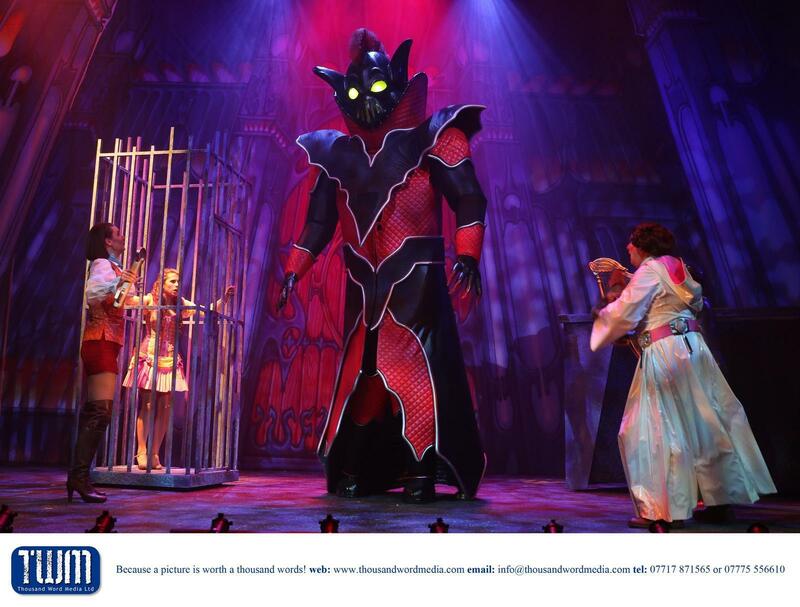 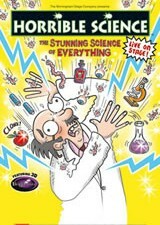 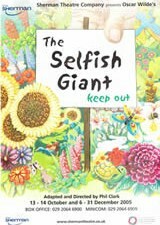 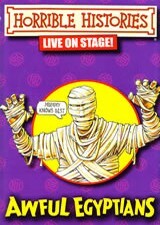 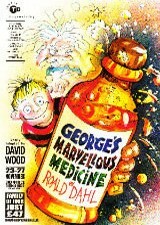 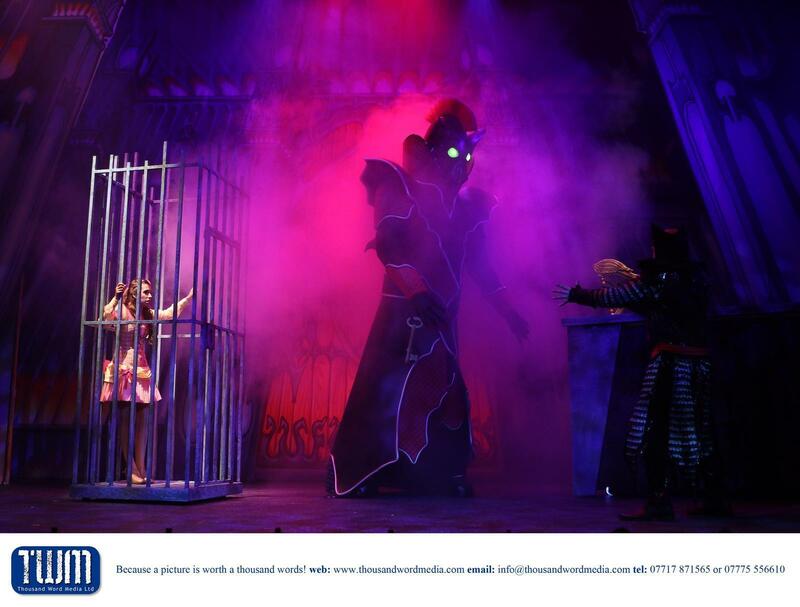 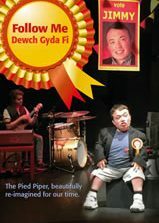 Meanwhile, the big bad, towering Giant Blunderbore, was a formidable on-stage presence. 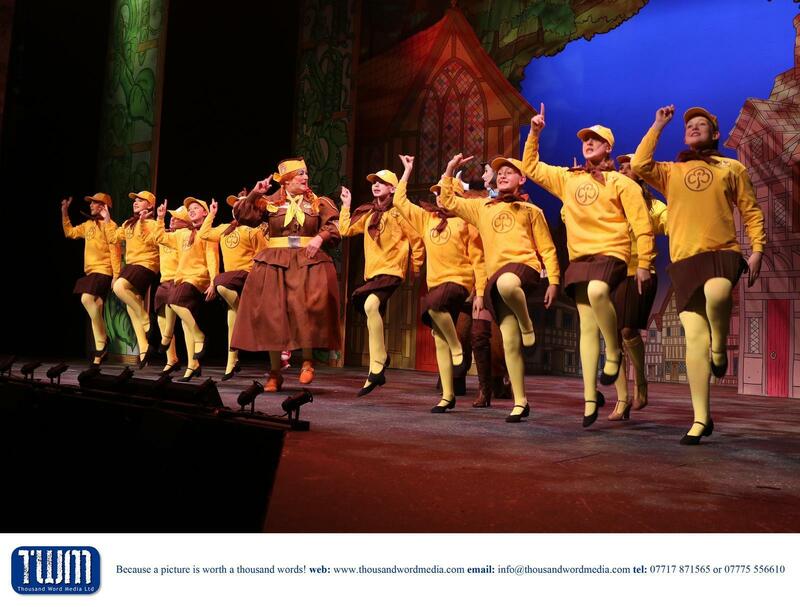 Praise also has to be given to the young team from Janet Marshall Dance Studios, who tapped up a storm during the chorus numbers, exuding charm throughout the impressive performance. 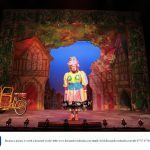 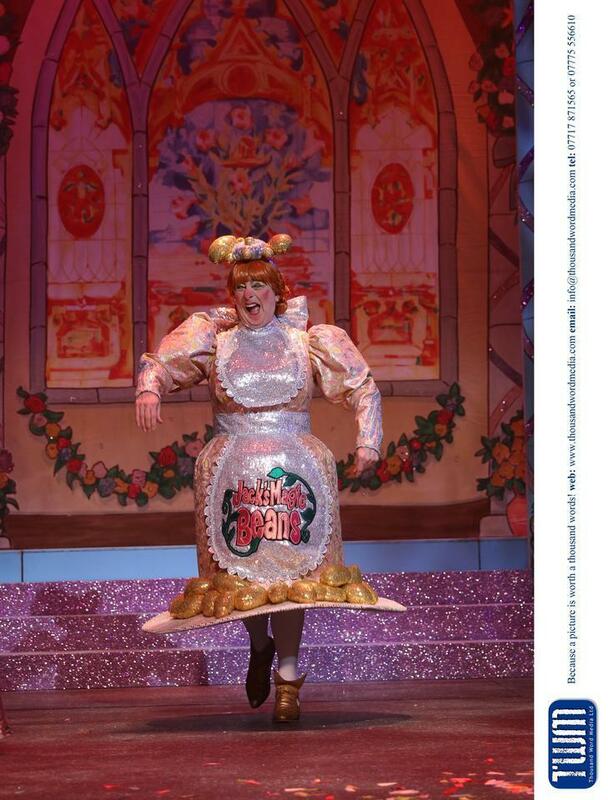 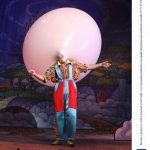 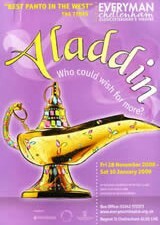 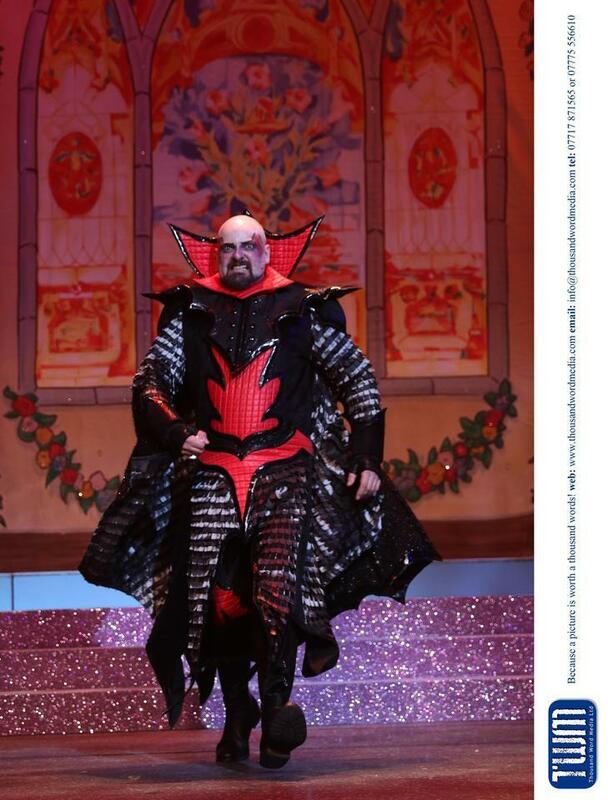 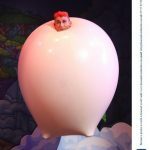 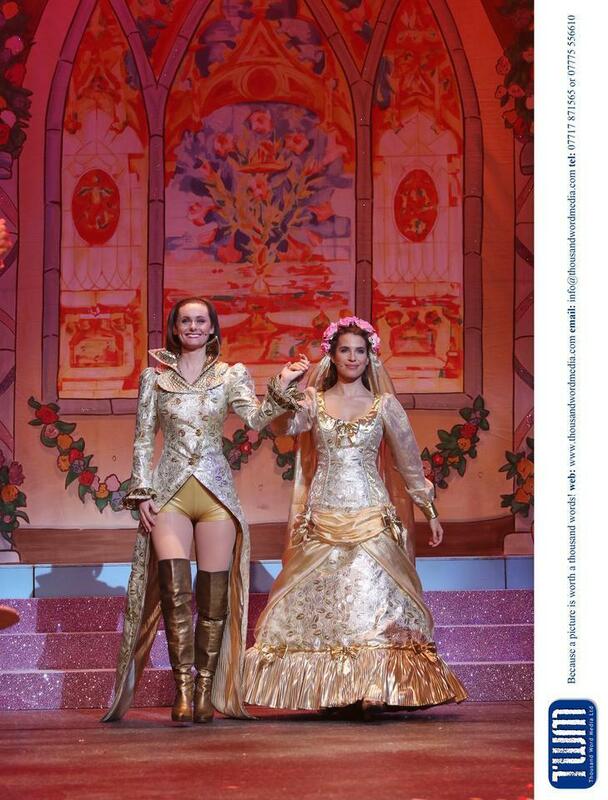 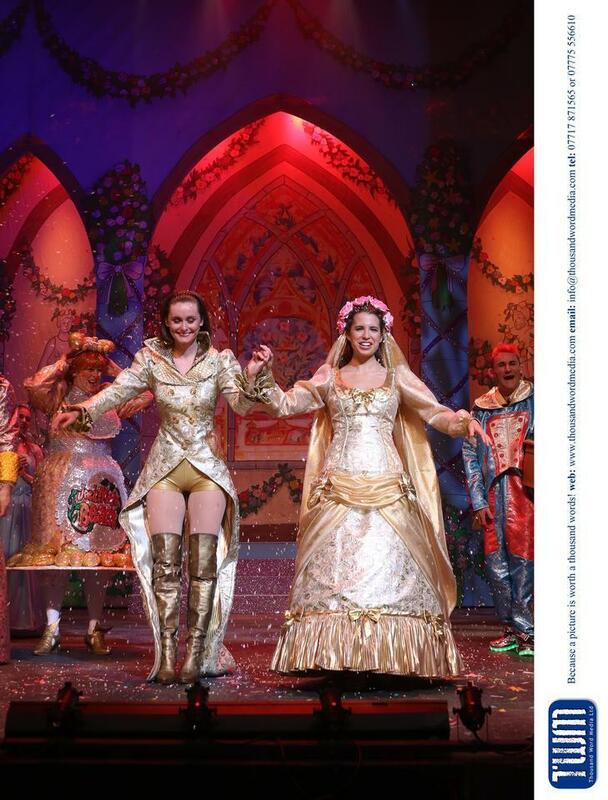 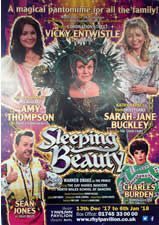 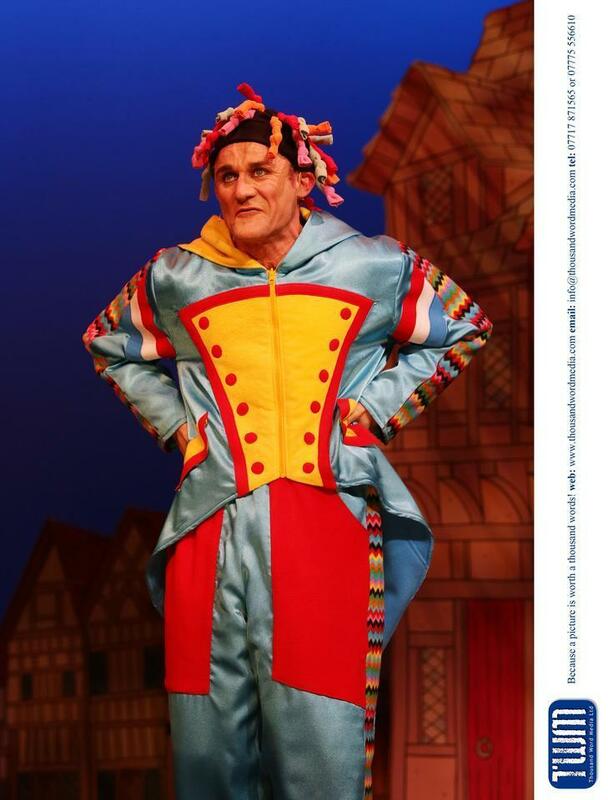 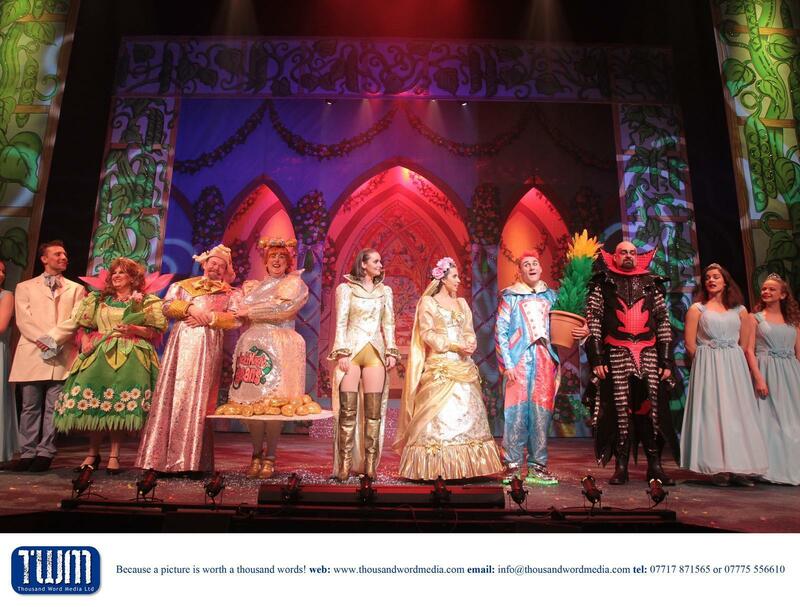 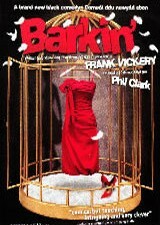 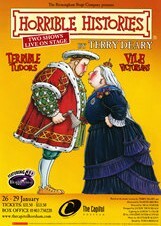 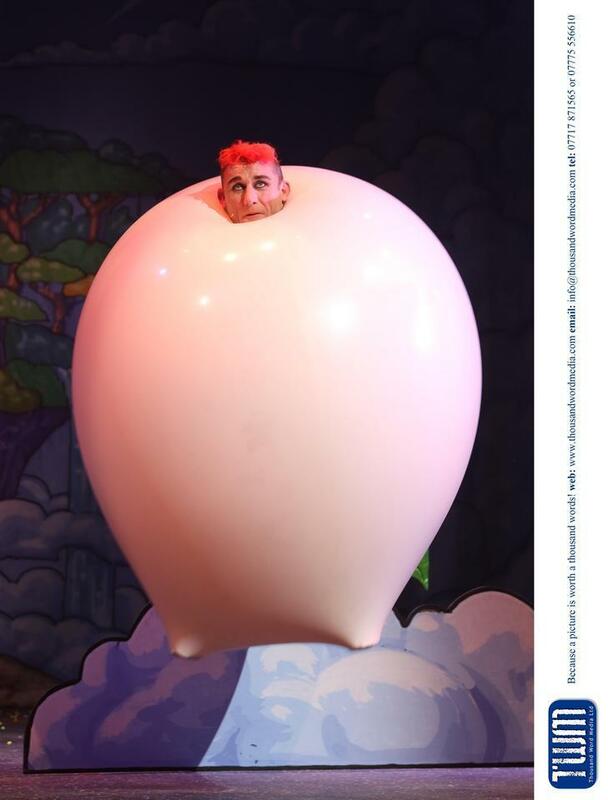 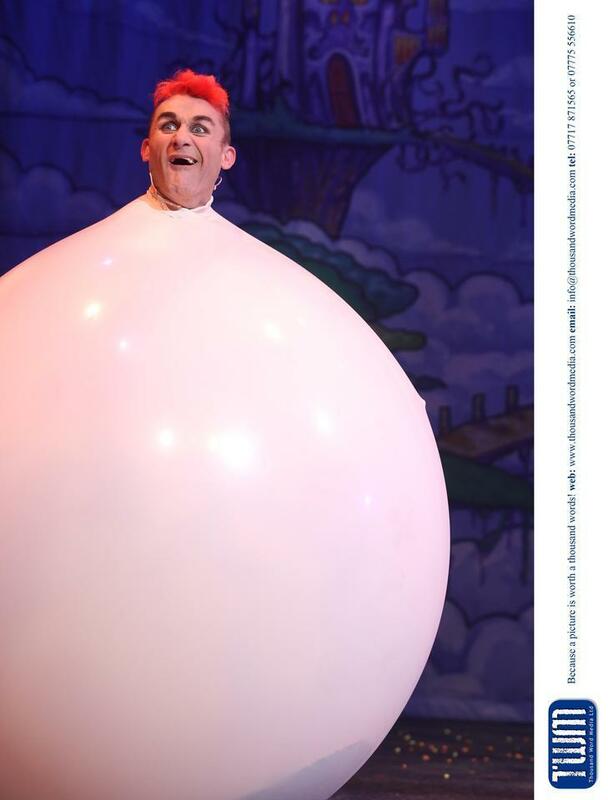 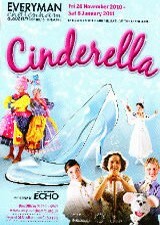 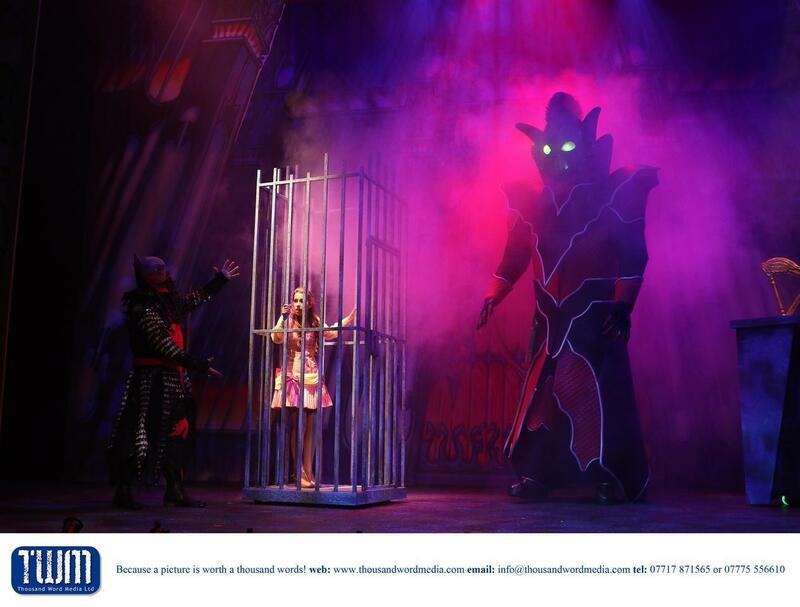 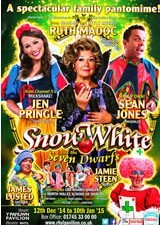 Everyman Theatre’s most gigantic pantomime yet offered larger than life sets, dazzling costumes, and sensational musical numbers, transporting audiences from the streets of Cheltenhamville to Blunderbore’s lair in the clouds, before returning to a majestic castle to finish in glittering style. 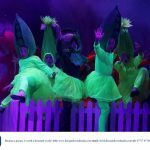 Personal highlights included a group of dancing vegetables, a mind-boggling balloon trick from Tweedy, a not-so-pretty Princess Leia, and an ‘appearance’ from One Direction – which even Zayn Malik couldn’t ruin. 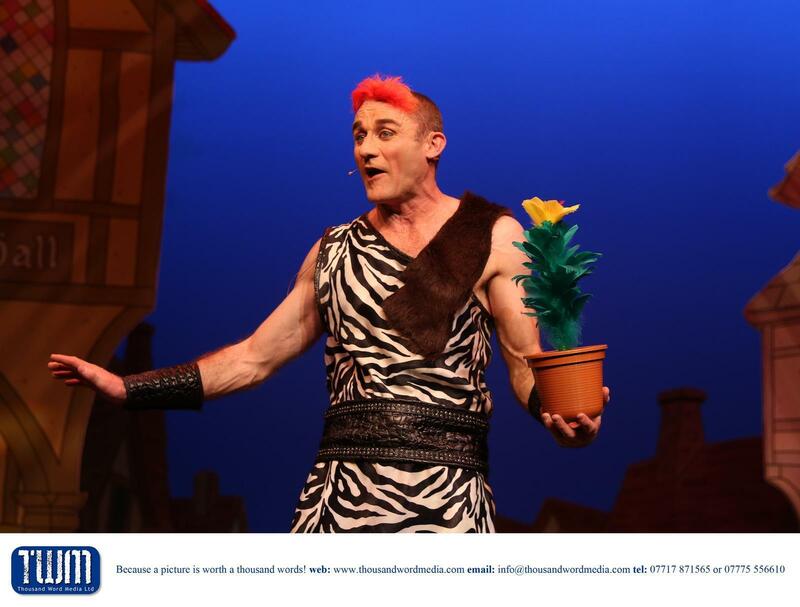 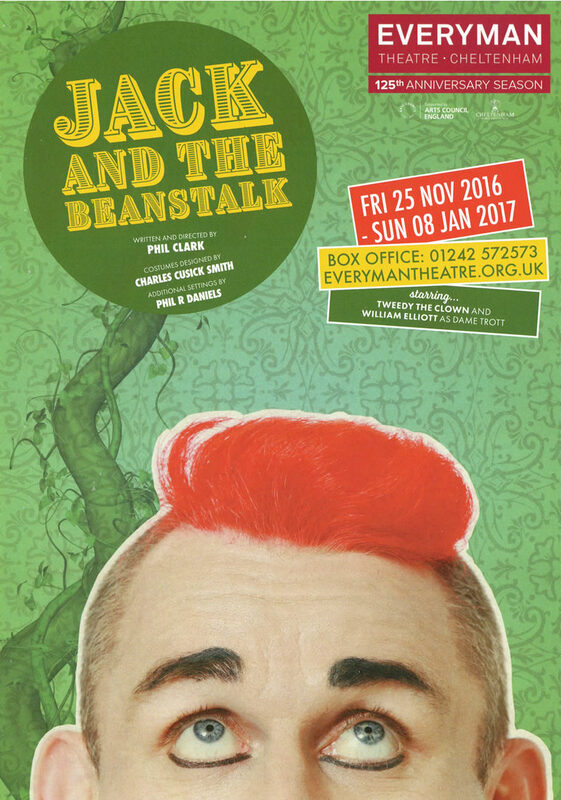 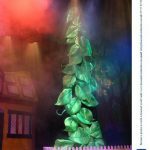 If you’re looking for lashings of laughter and festive fun, SoGlos strongly recommends planting some magic beans and taking a trip up the beanstalk to Everyman Theatre, as this year’s pantomime is a Christmas treat not to be missed.